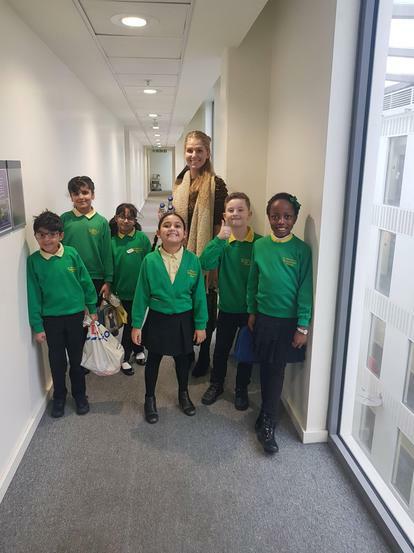 Welcome to Year 3, this year you will be working with Miss Lee, Miss Drabble, Mrs Jones, Miss Platt, Mrs Latham, Mrs Bano and Mrs Walker. 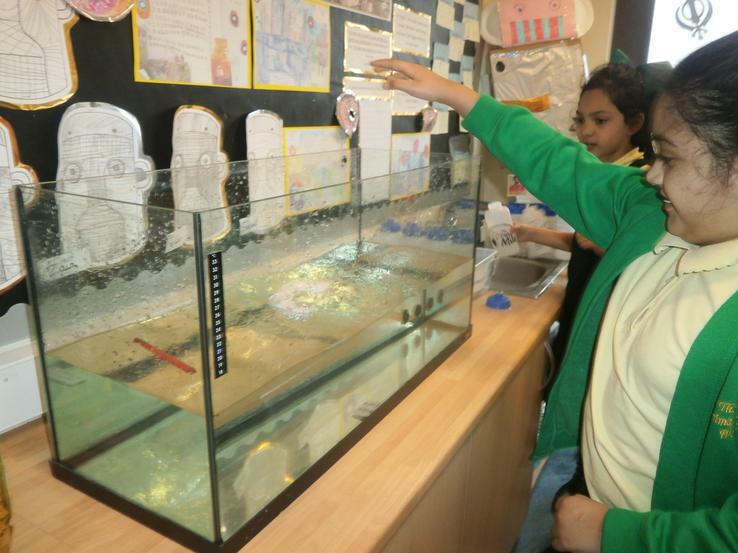 Swimming for this term is class 3RD. 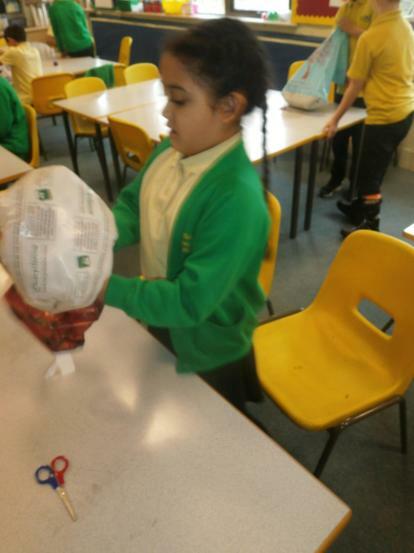 You need a swimming costume / shorts, a towel and a swimming hat if needed. 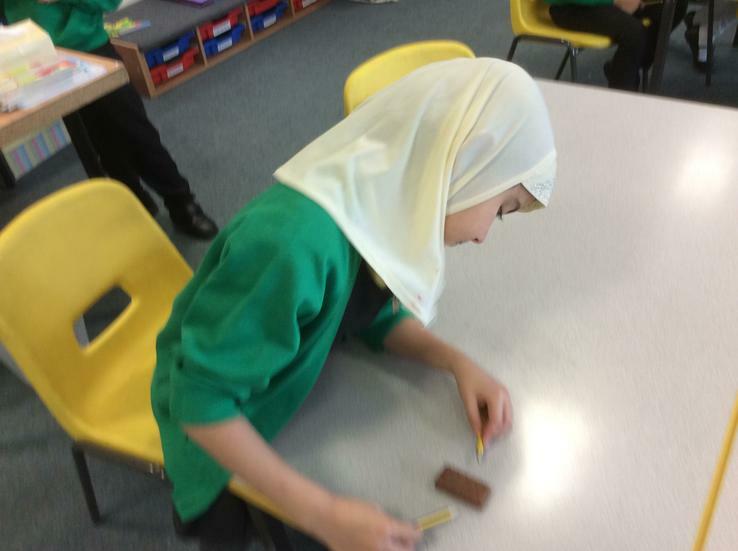 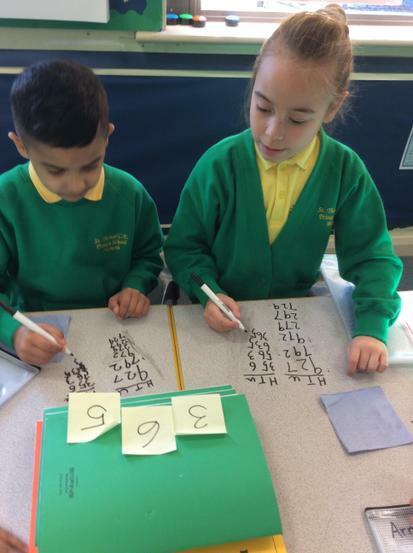 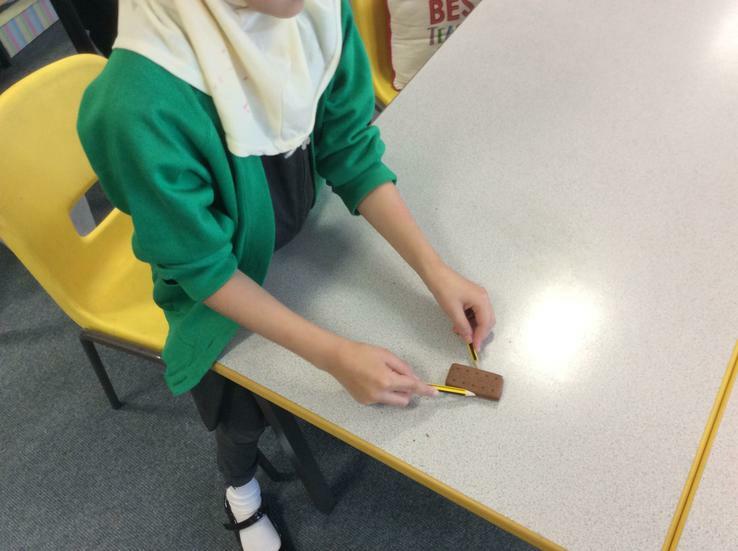 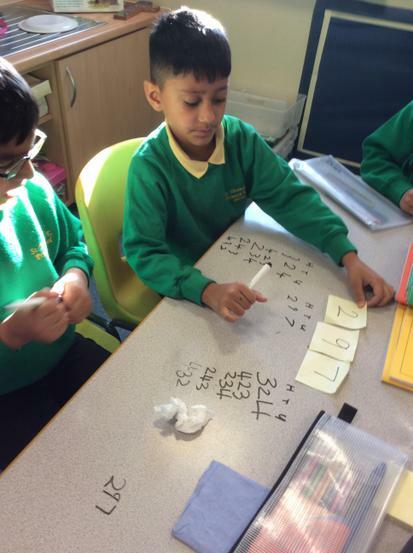 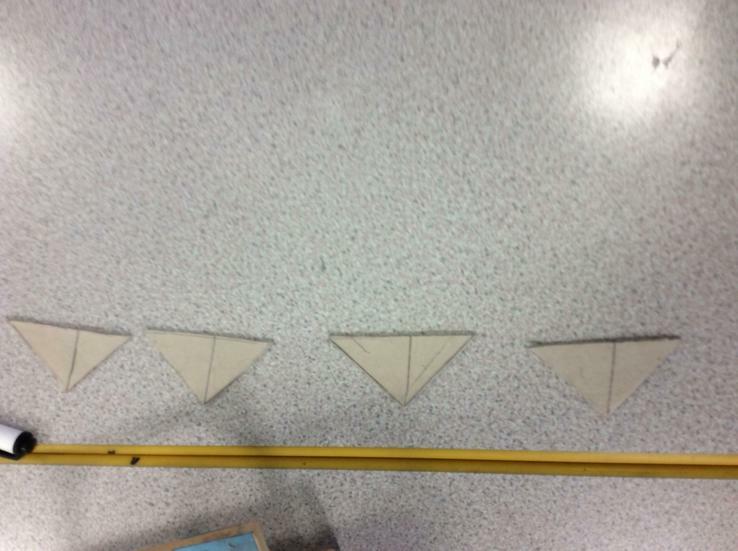 Maths - In maths our focus is Multiplication and division. 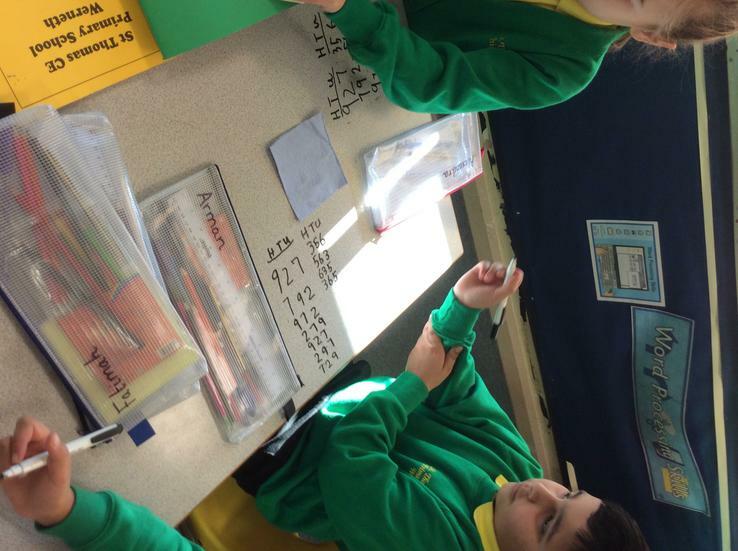 - Recall and use multiplication and division facts for the 3,4 and 8 multiplication tables. 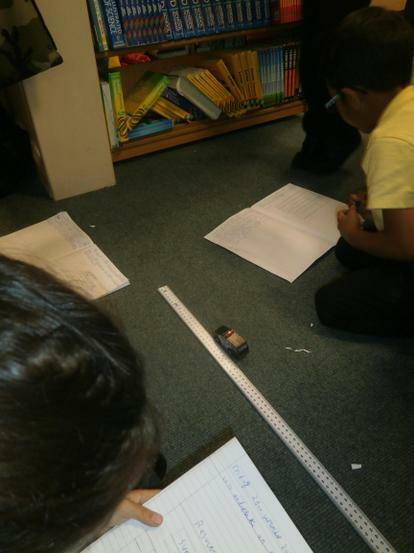 -Learn and use written methods to calculate multiplication and division calculations. 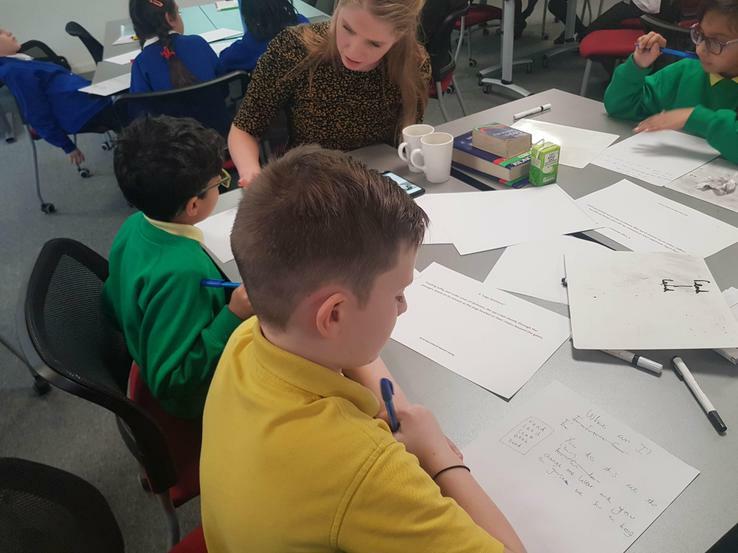 -Write and calculate mathematical statements for multiplication and division using known tables, including two digit numbers times one digit numbers, using mental and progressing to formal written methods. 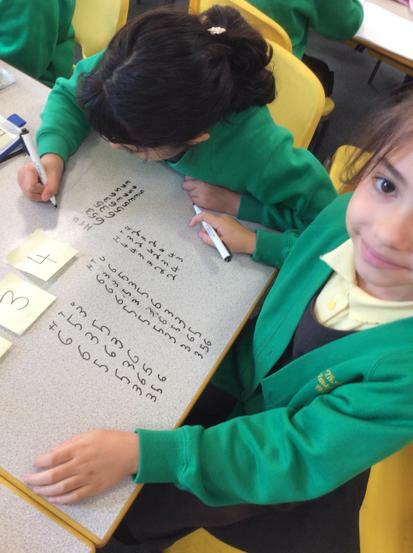 -Solve multiplication problems, including missing number problems, involving multiplication and division. 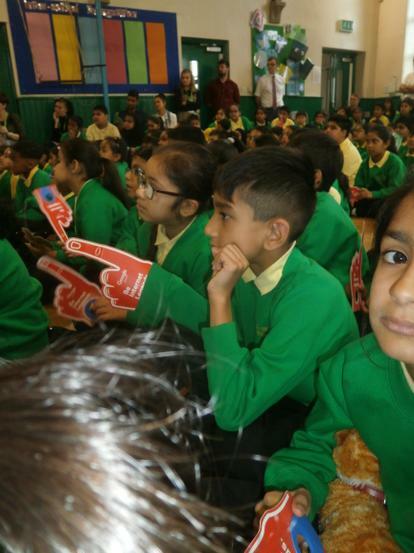 The children read their individual reading book most days during silent reading sessions. 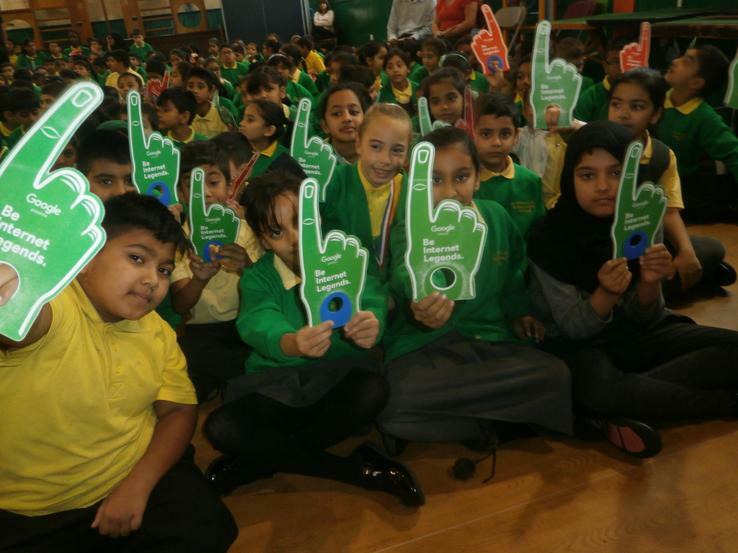 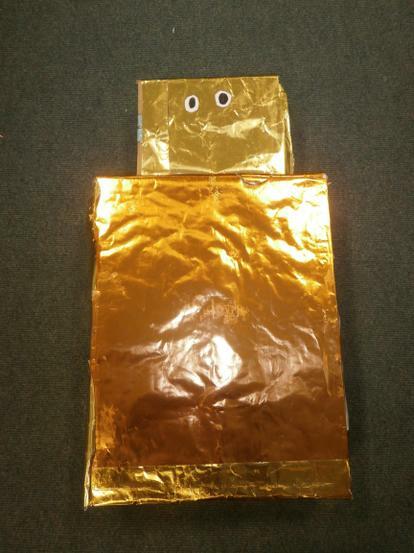 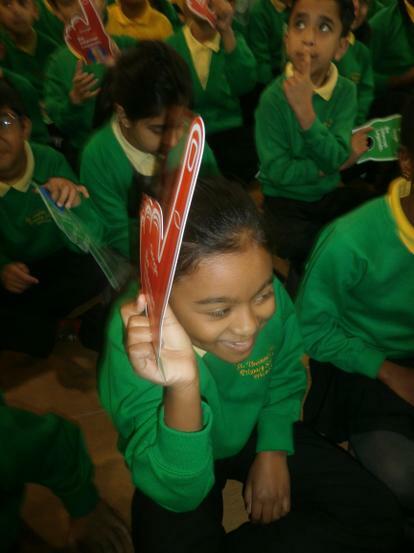 Your child will share their book with a member of staff once a week. 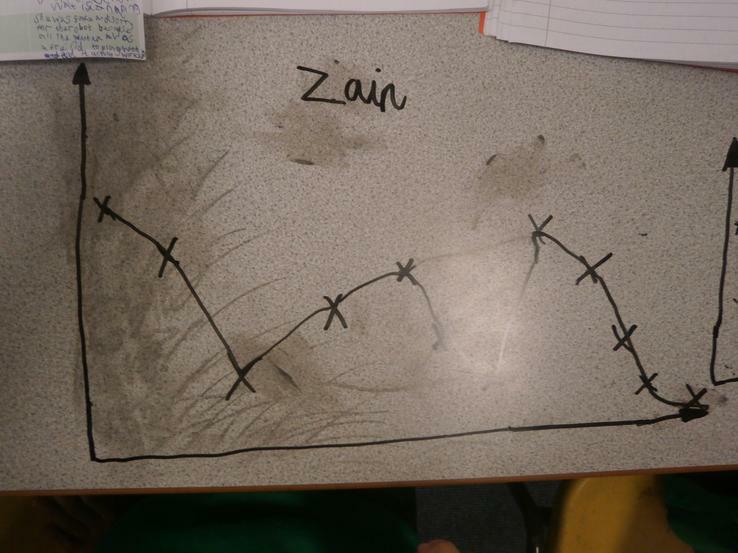 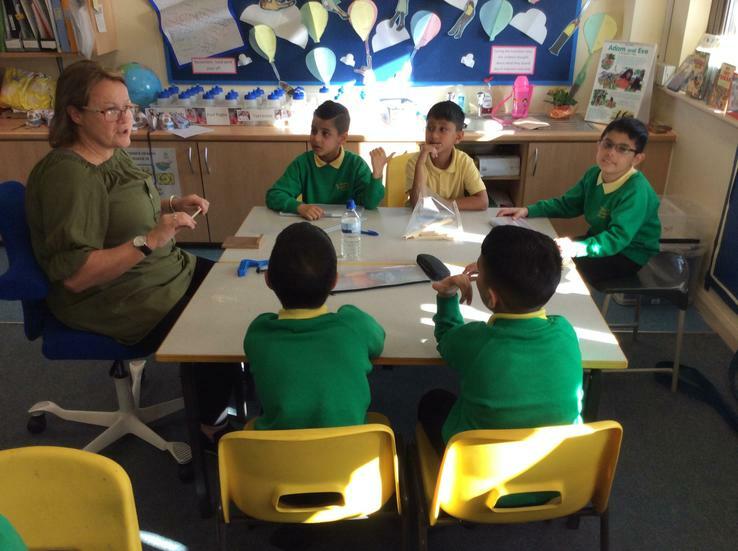 In addition to this the children take part in a guided reading session daily. 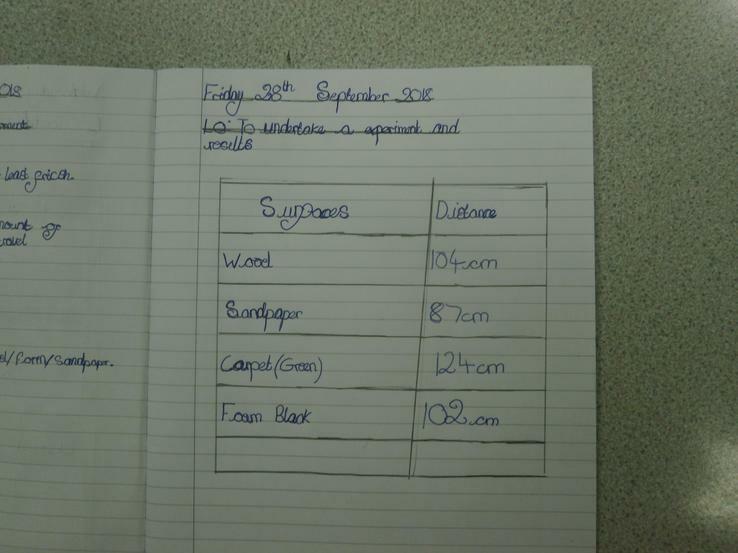 This half term the focus in reading is answering Deduction questions and summarising the events in paragraphs and whole books. 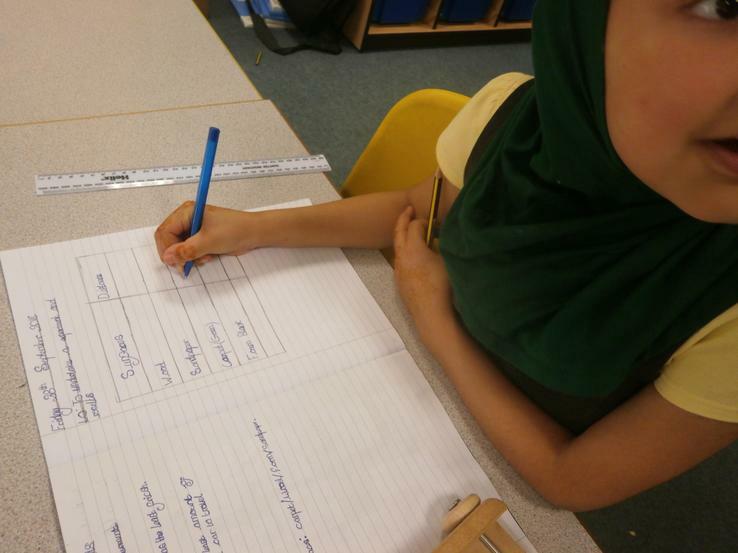 - Apply new vocabulary in written work. 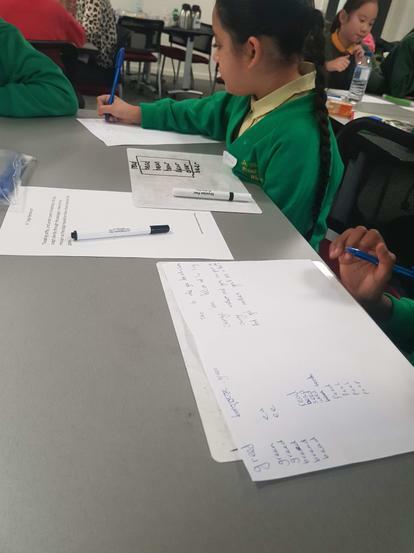 - Understand and write in formal and informal ways. 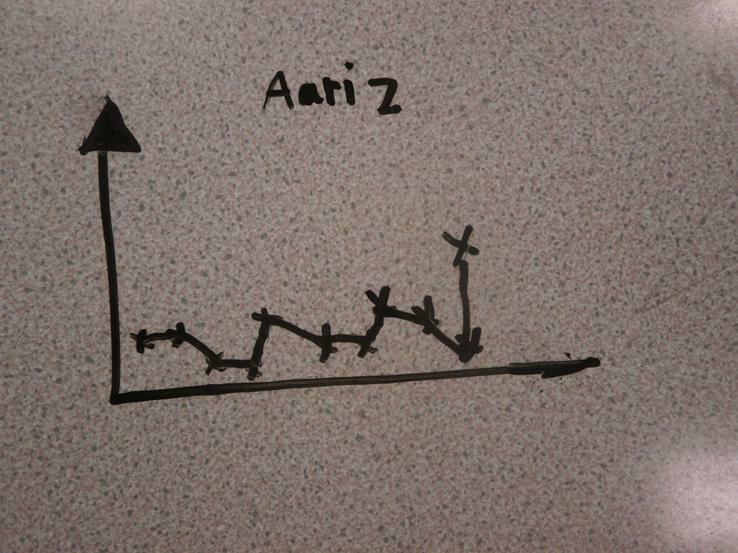 - Write a mystery story using suspense. 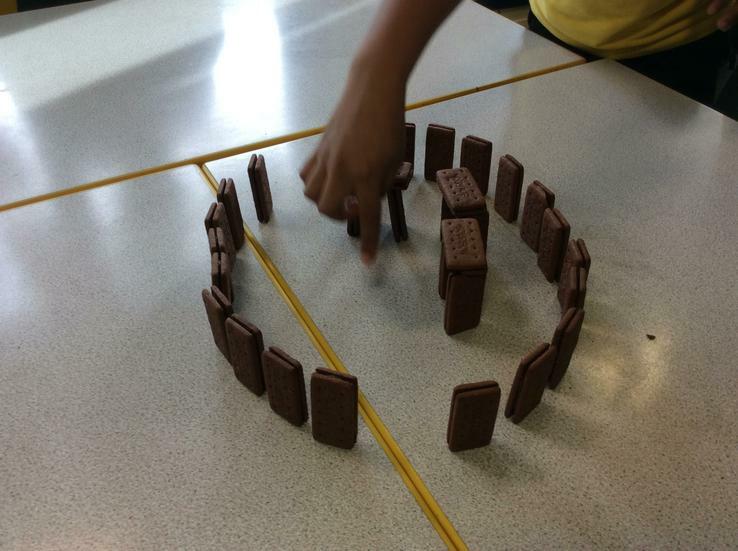 -Predict endings to stories using clues from the plot. 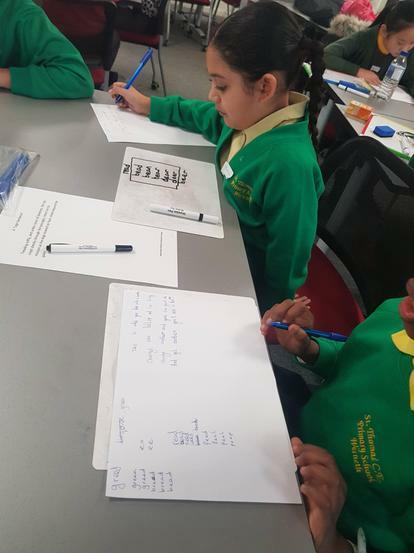 -Improve and edit their own writing. 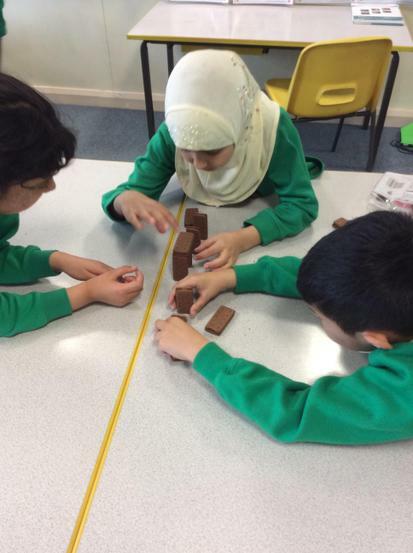 -Compare and group together different kinds of rocks on the basis of their appearance and simple physical properties. 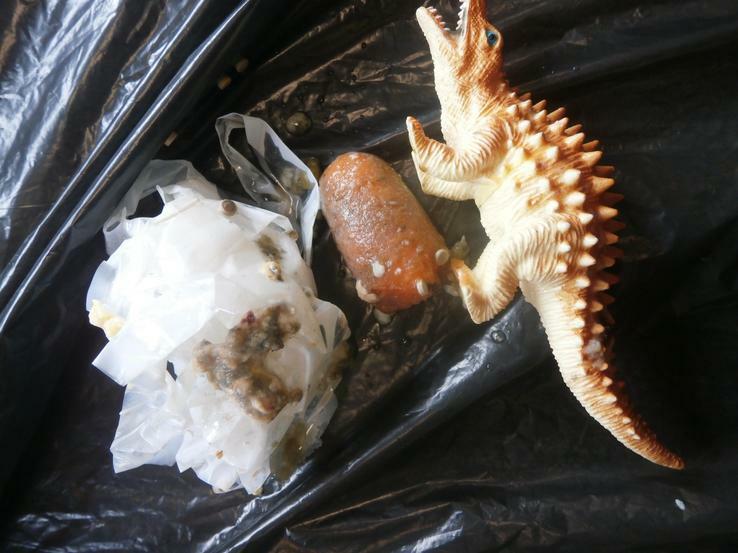 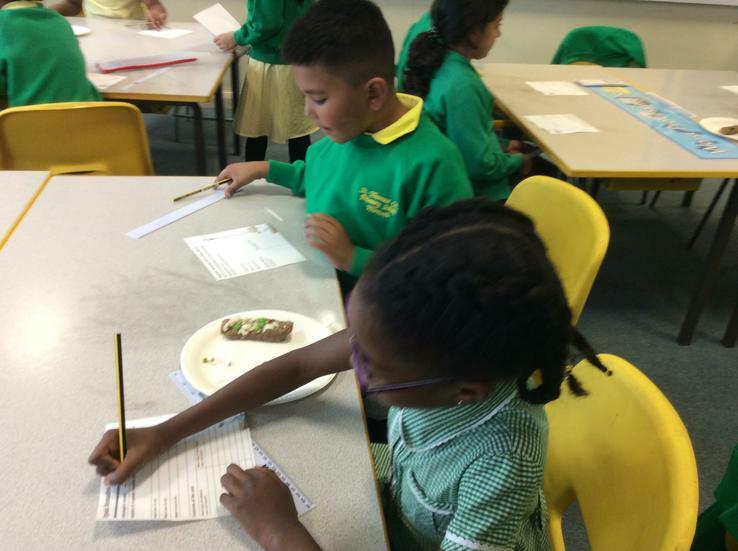 -Describe in simple terms how fossils are formed when things that have lived are trapped within rock. 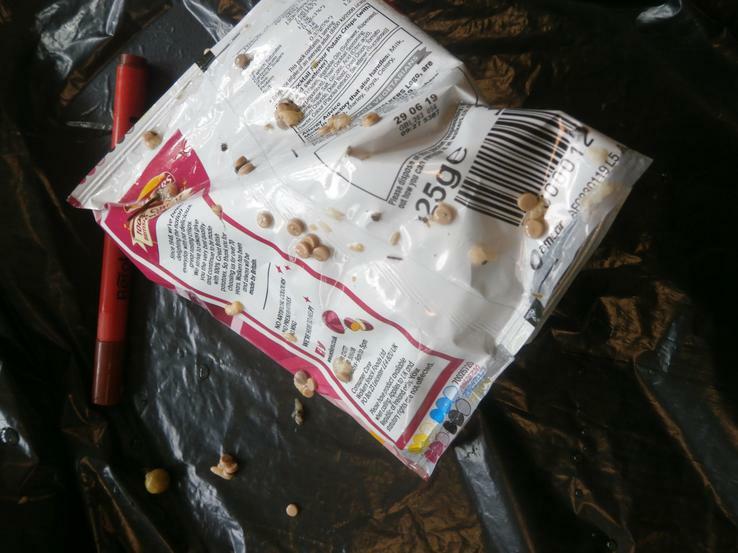 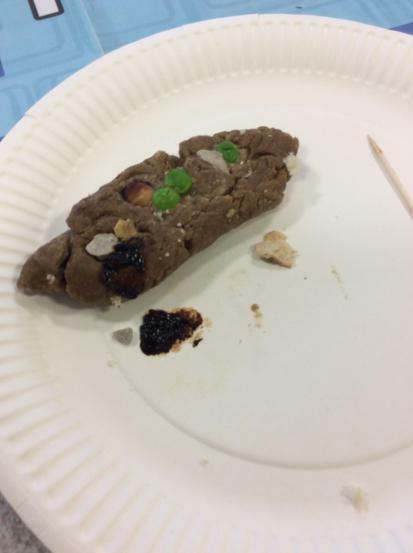 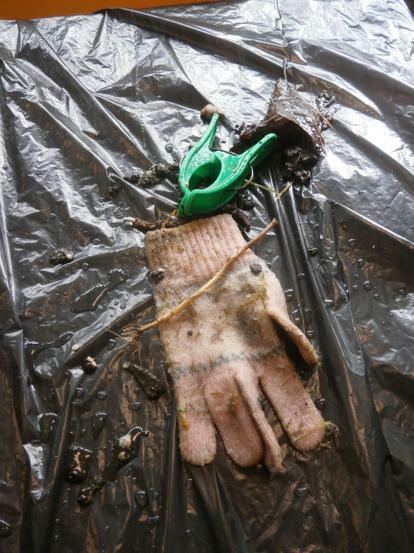 -Recognise that soils are made from rocks and organic matter. 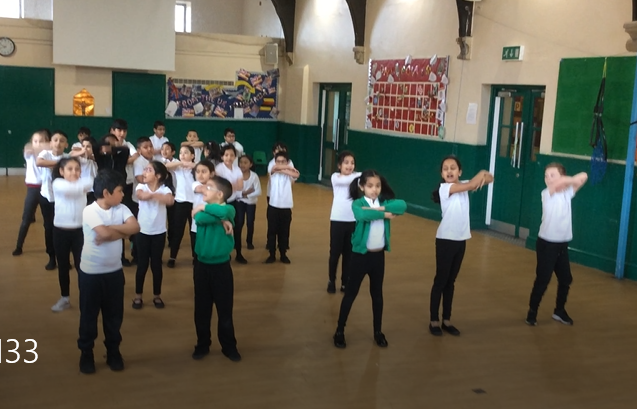 Linking to the book Leon and the Place Between, (a story we studied in English lessons) the children got into character through Dance. 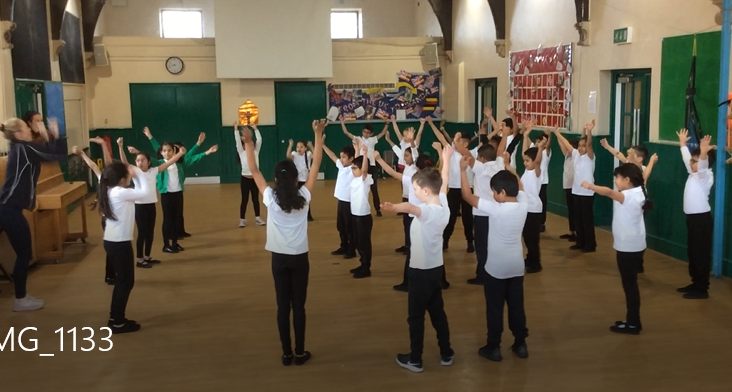 All the pupils put in an amazing amount of effort in and have worked so hard as a team! 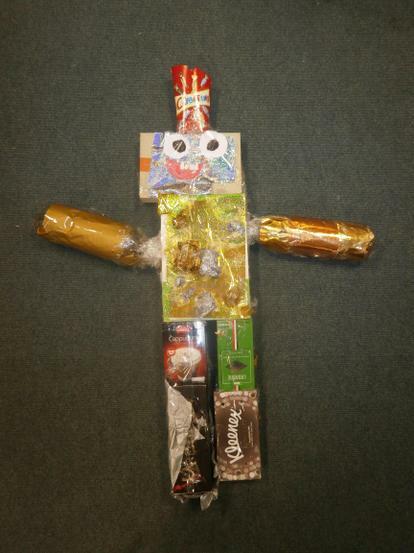 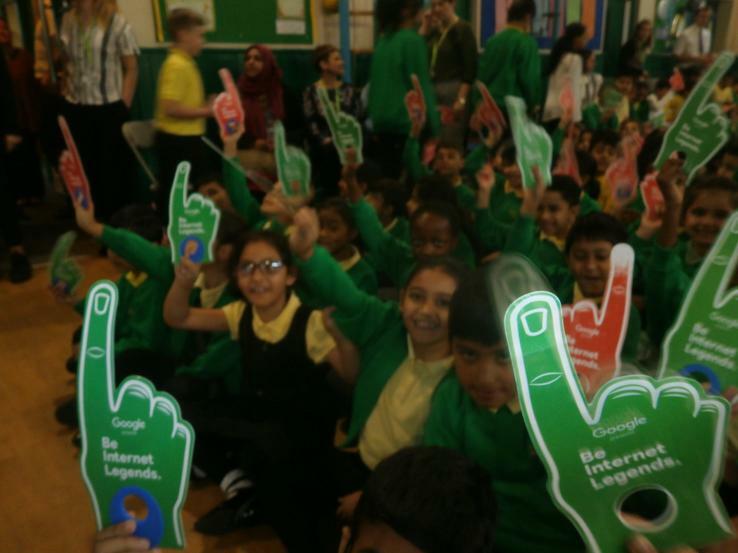 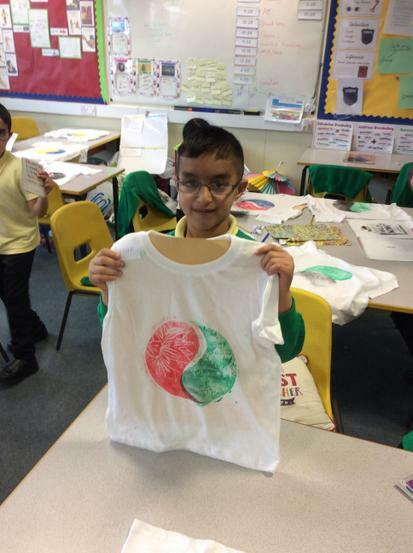 Well done 3ML, you shine with pride! 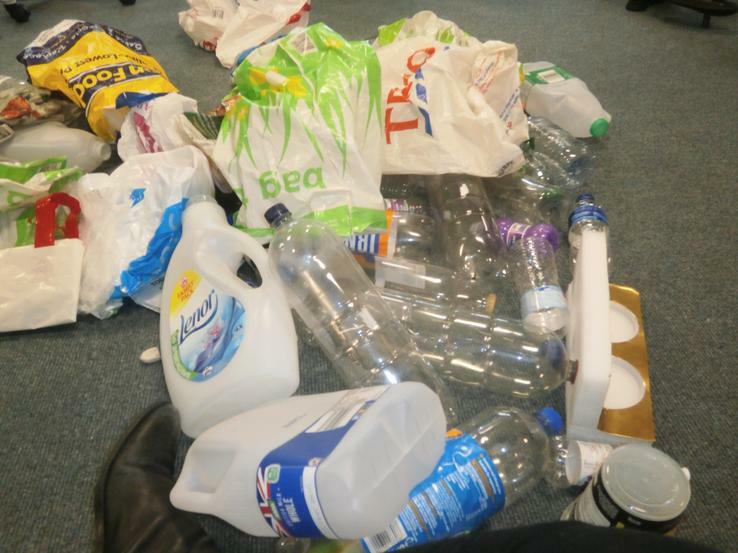 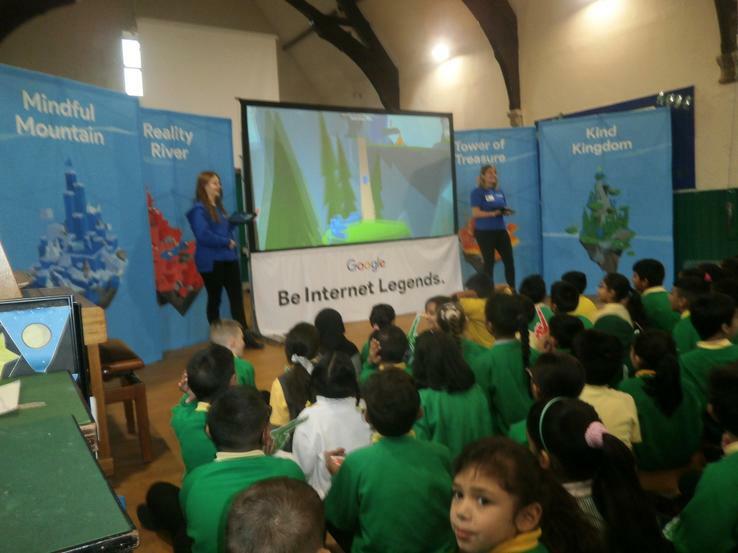 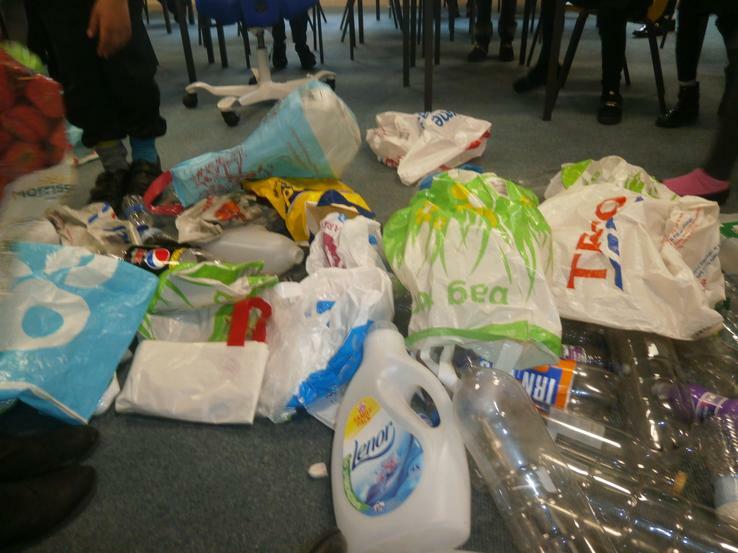 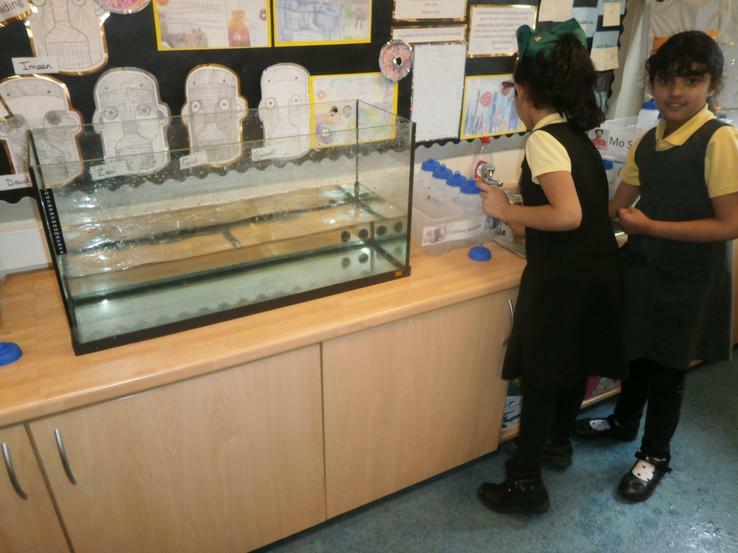 Science Week, was a huge success, the pupils began by looking at shocking imagery of today's oceans and the vast amounts of pollution. 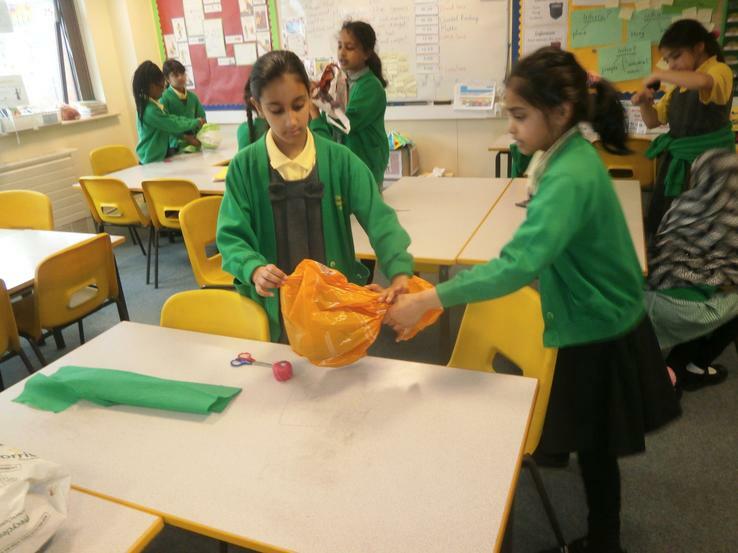 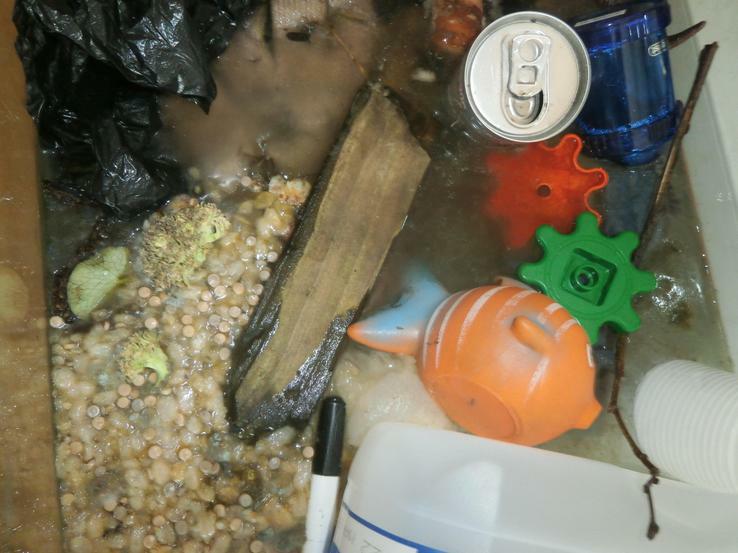 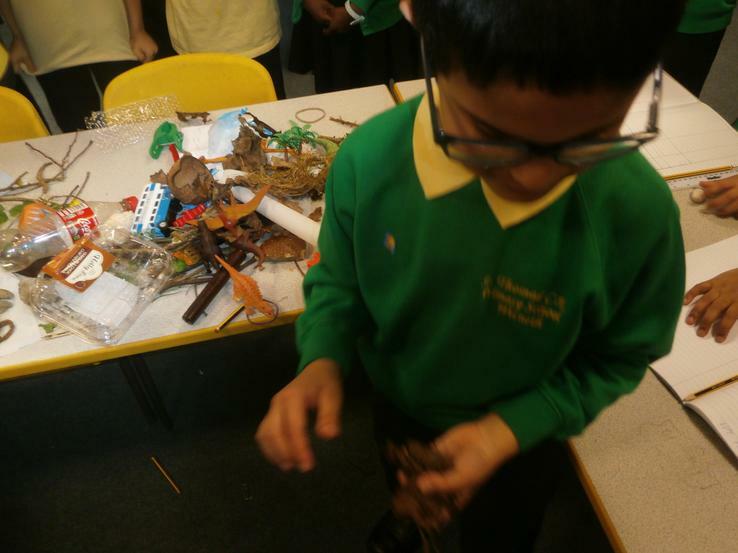 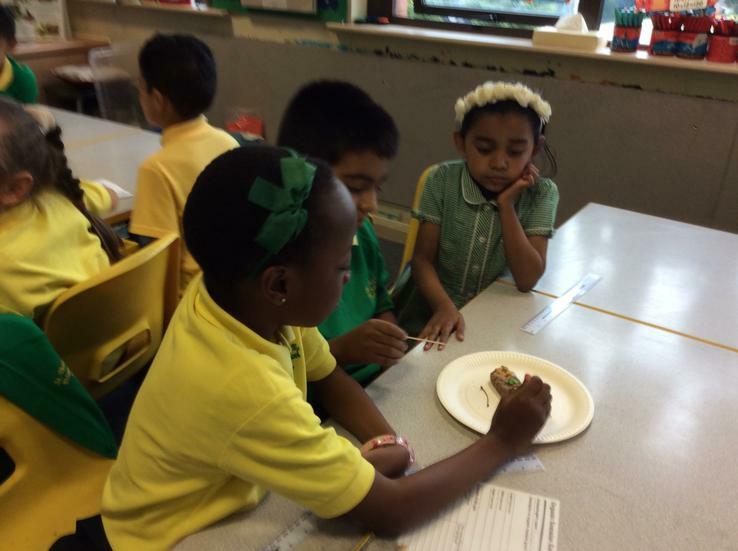 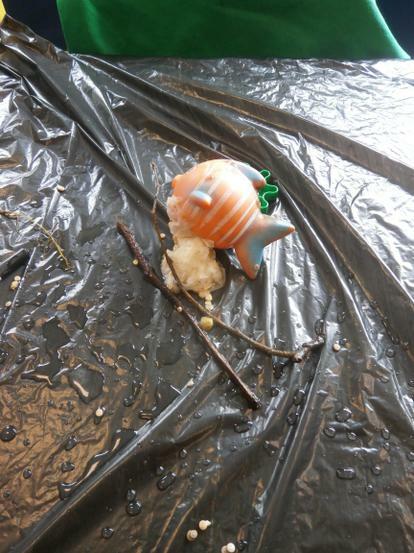 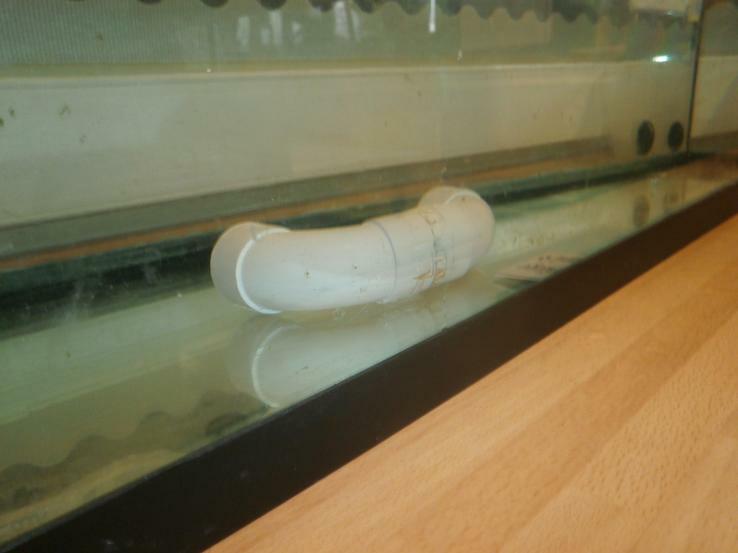 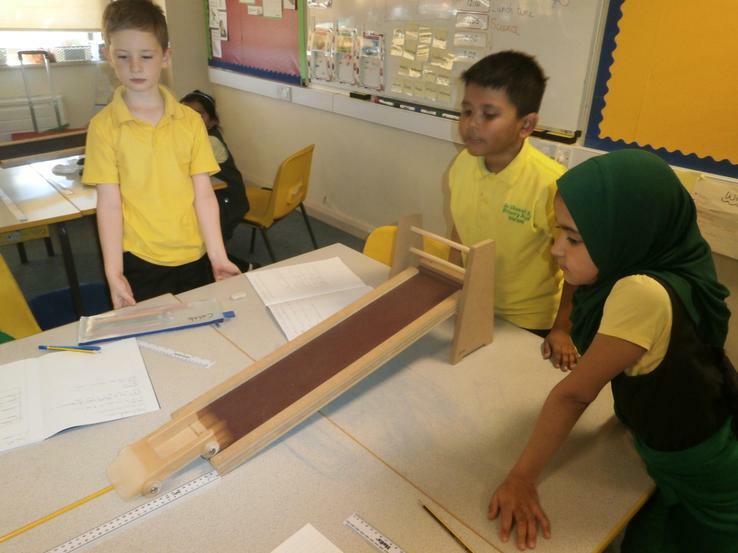 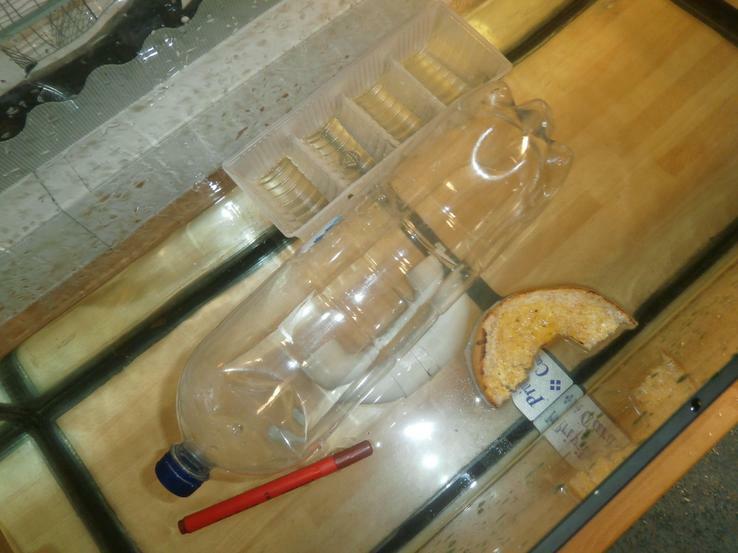 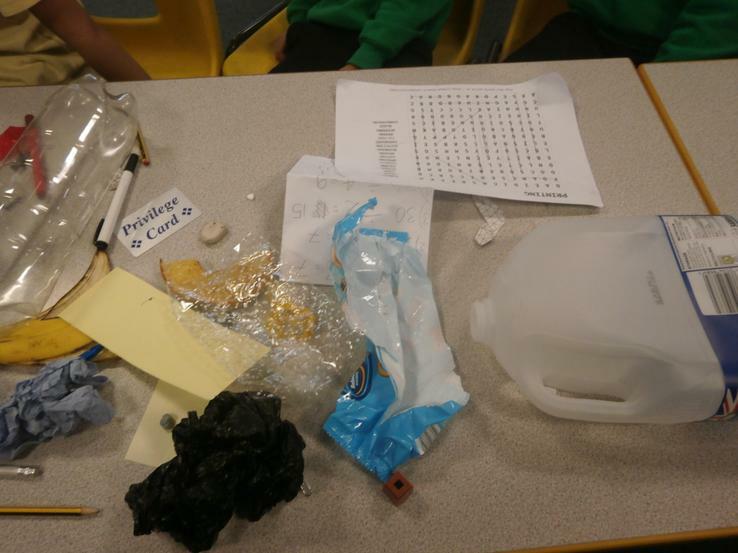 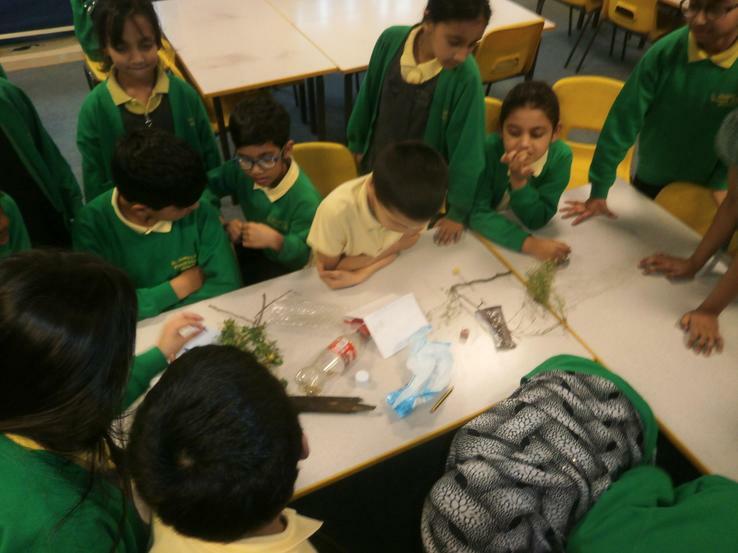 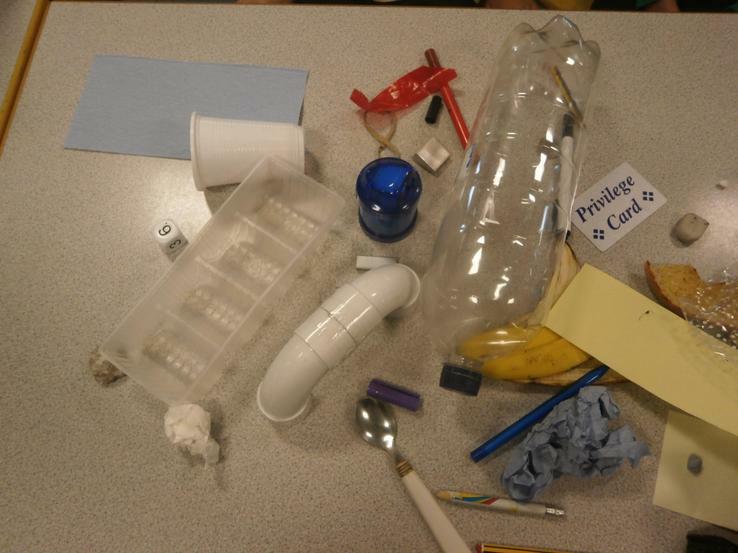 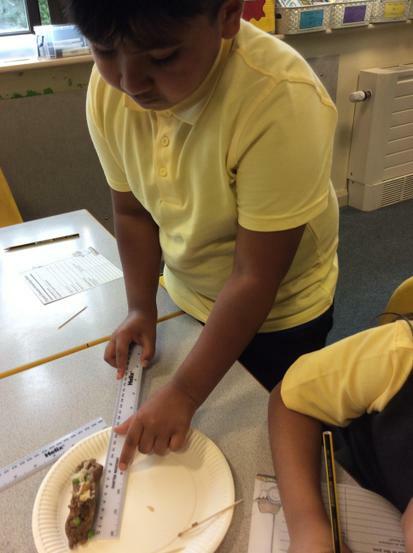 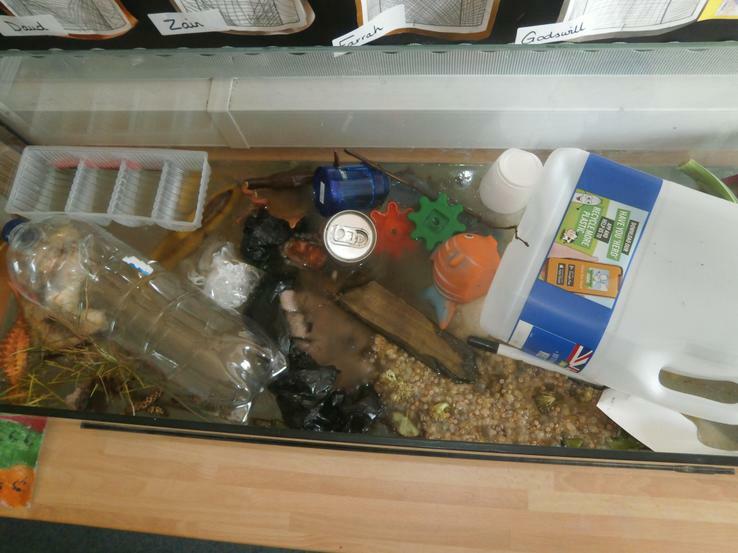 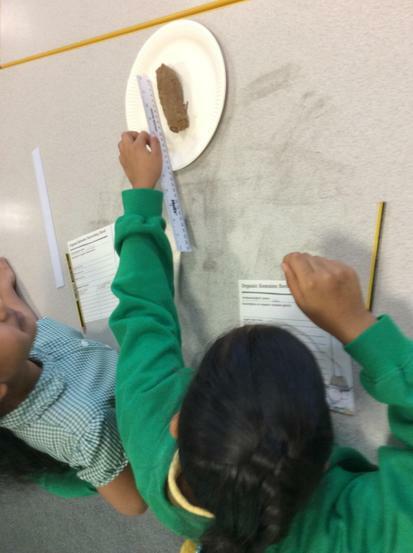 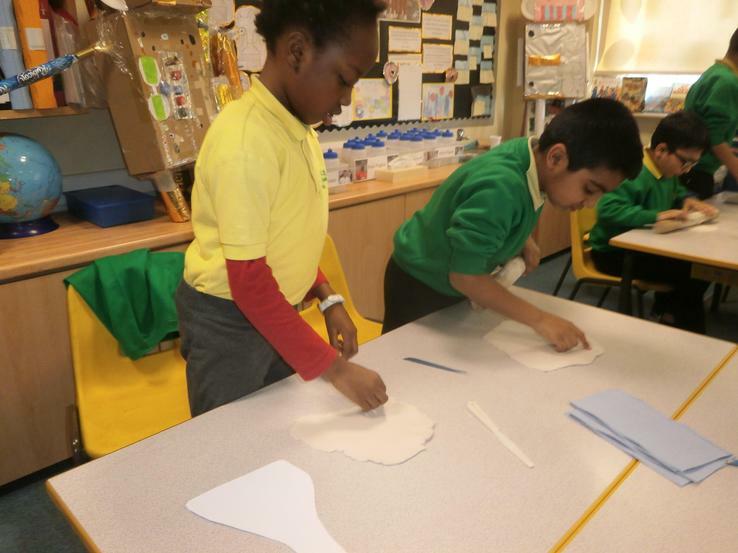 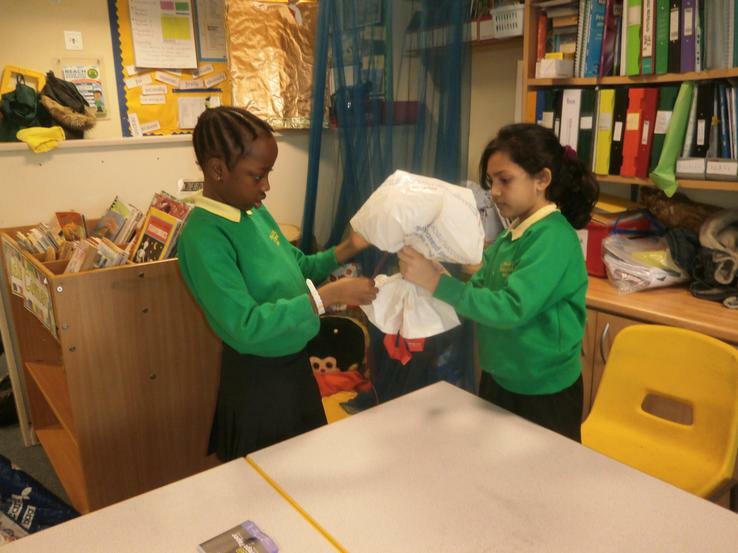 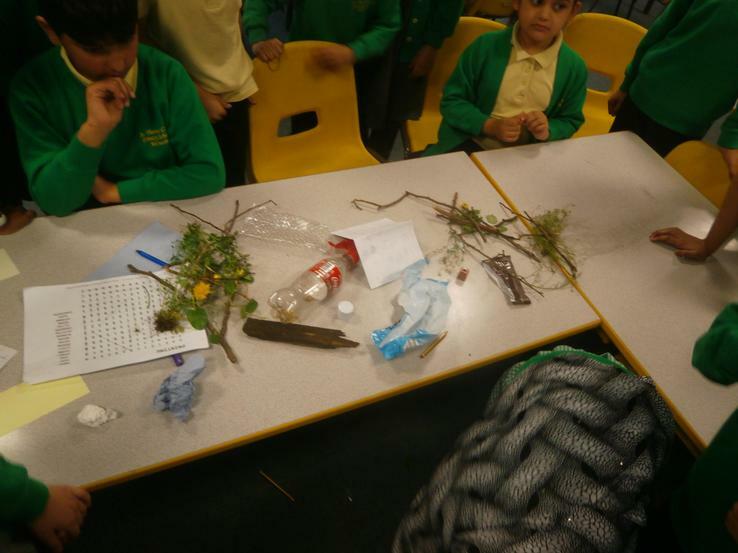 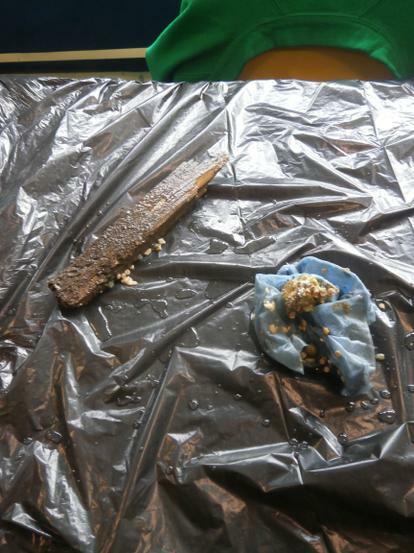 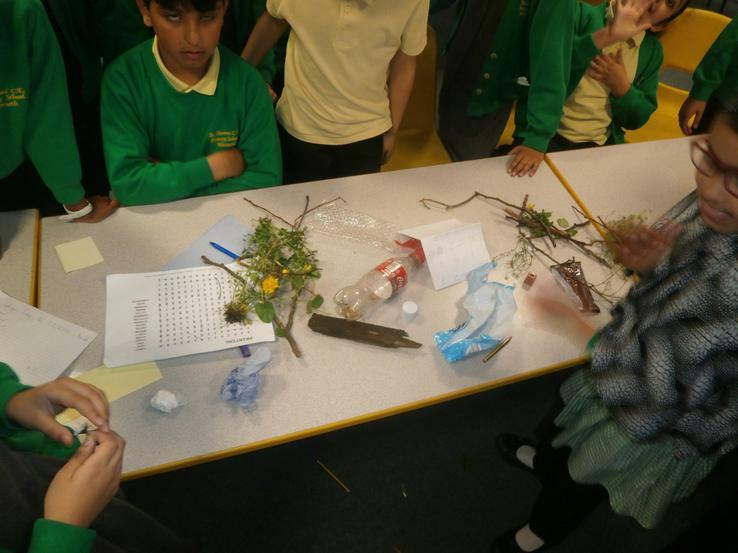 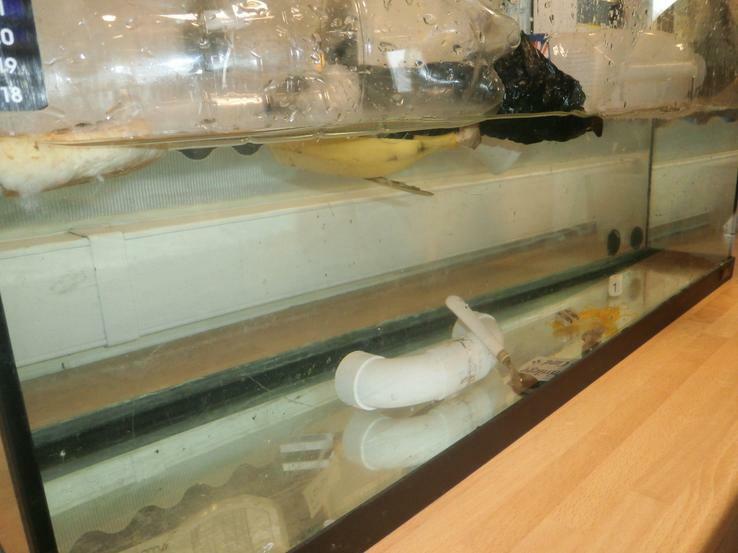 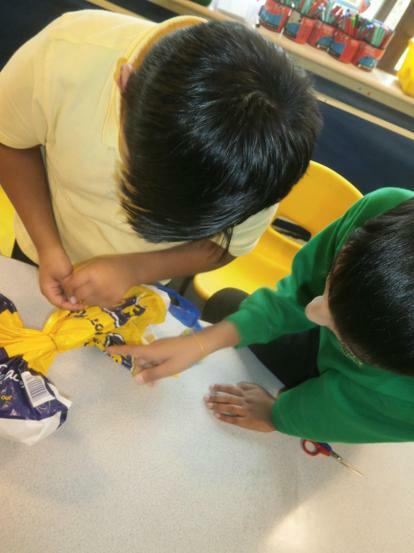 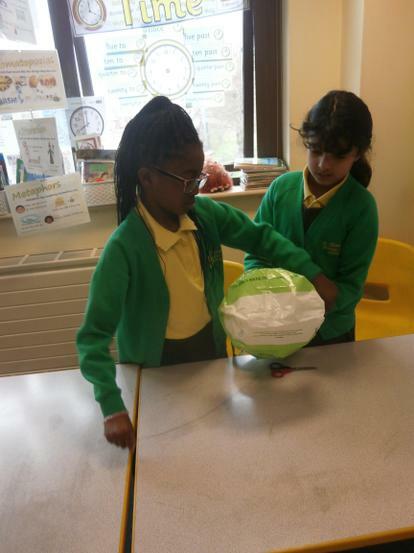 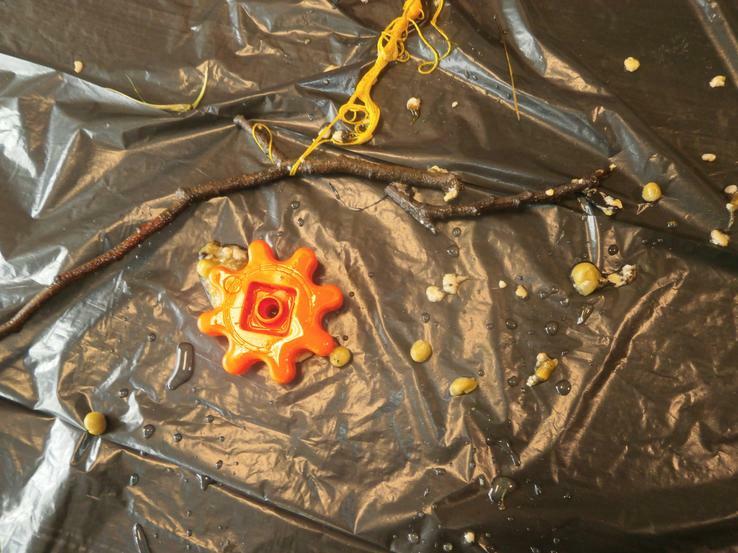 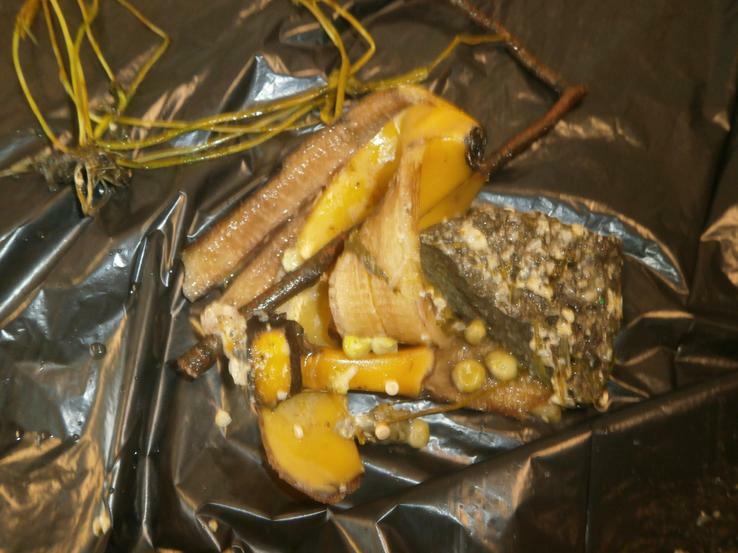 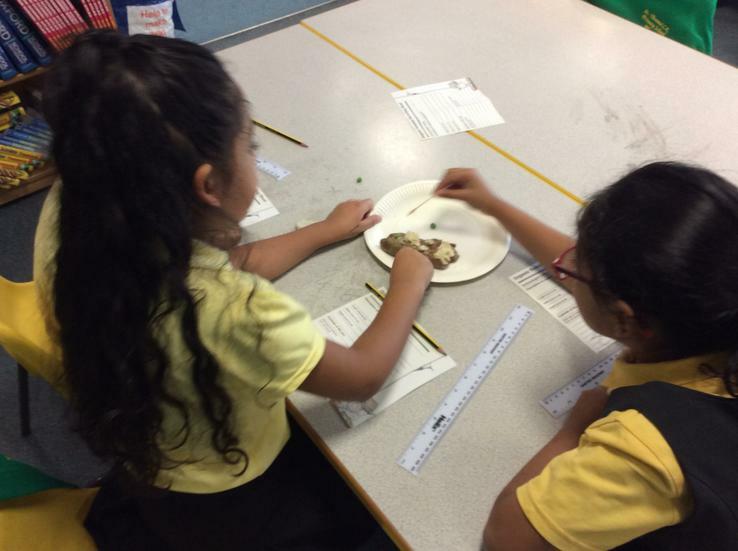 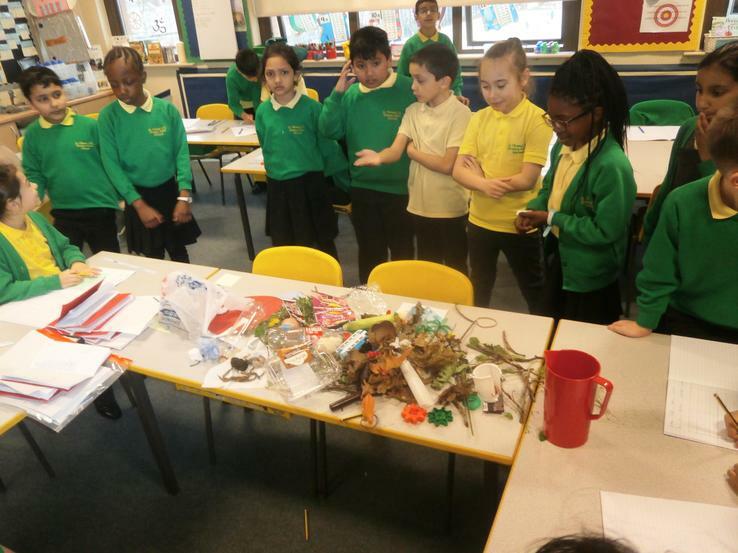 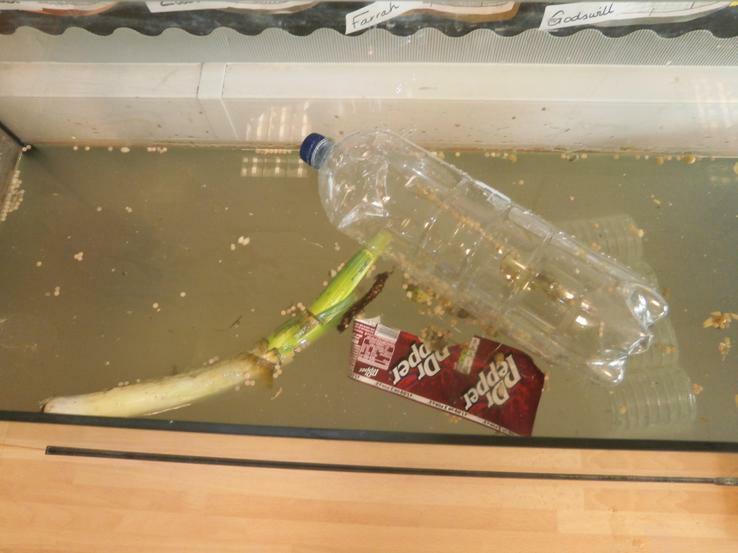 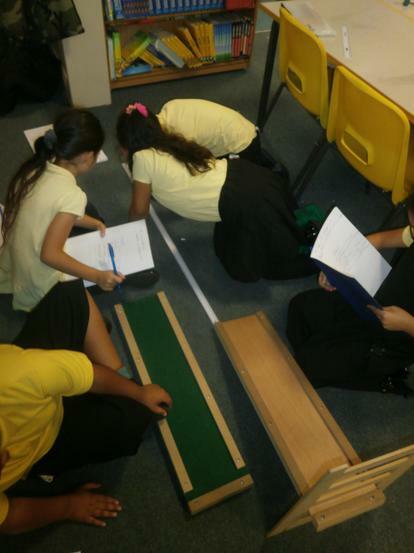 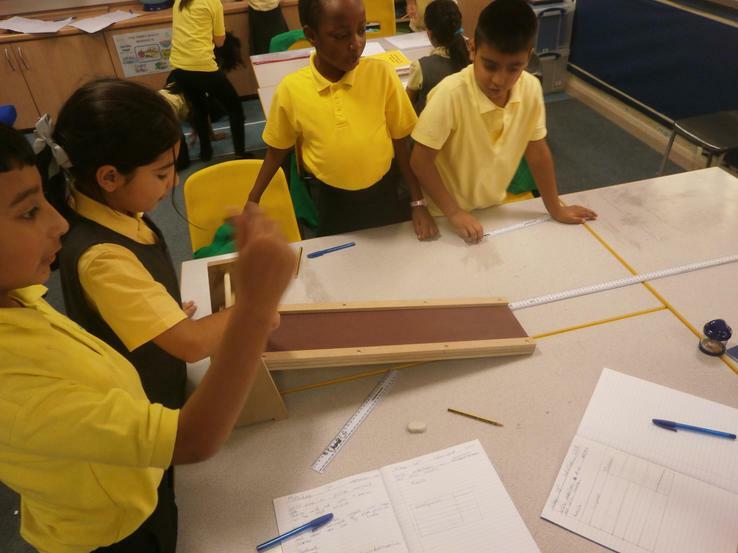 The children set up there own experiment, an observational experiment looking at the changes of a wide variety of materials that could be in finding their way into the rivers and oceans. 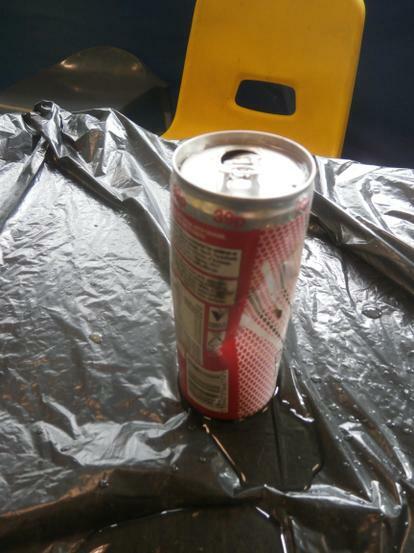 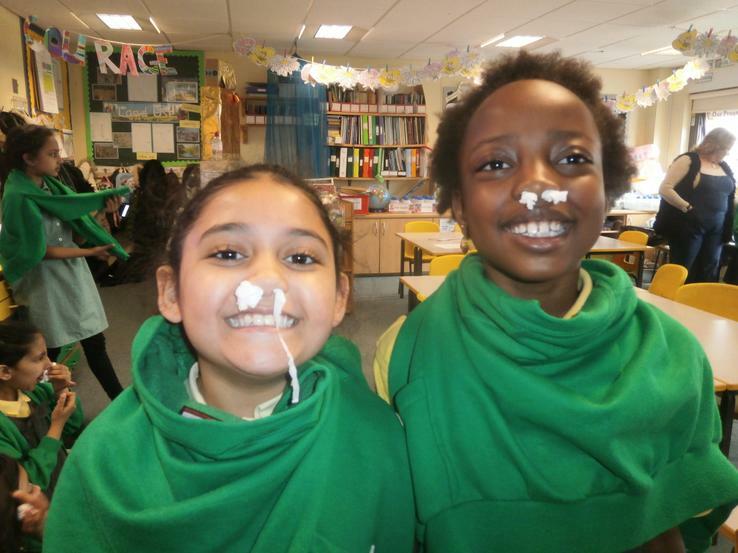 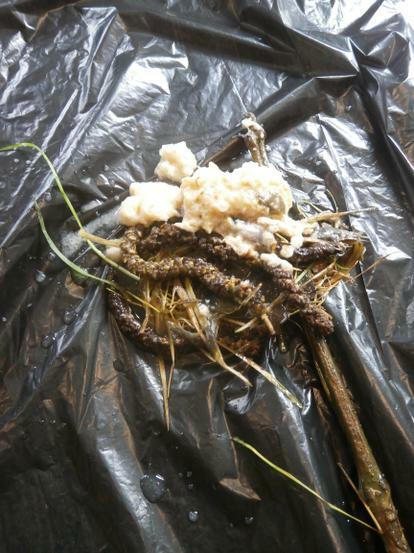 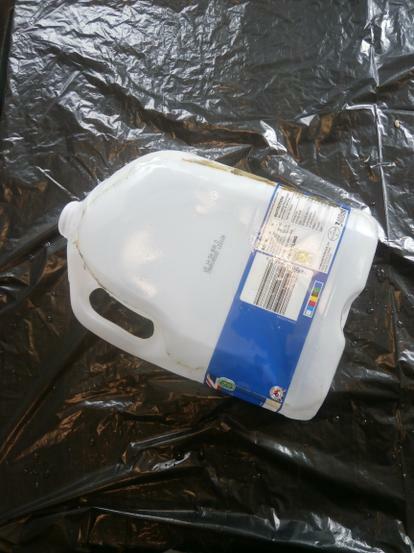 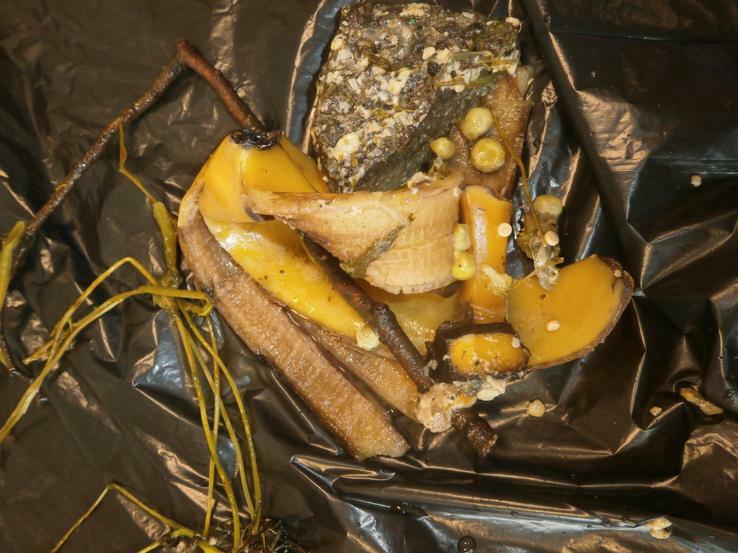 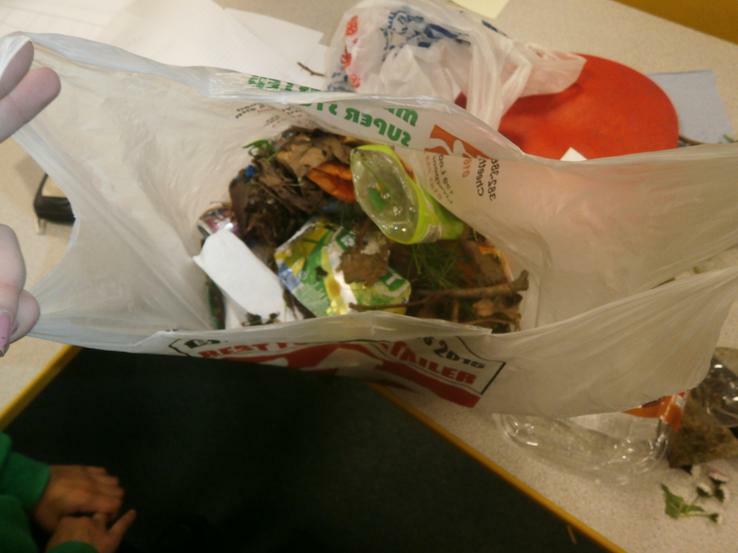 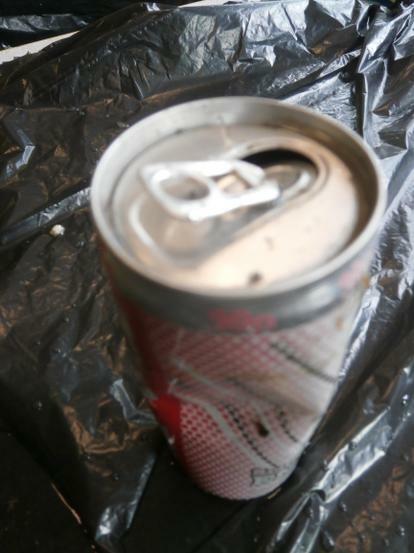 The smell after a week was terrible - as you can see we had to find inventive ways to not smell! 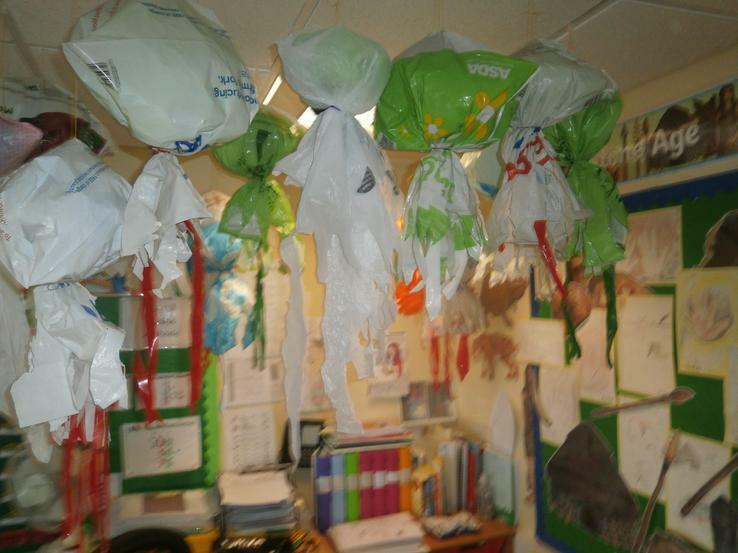 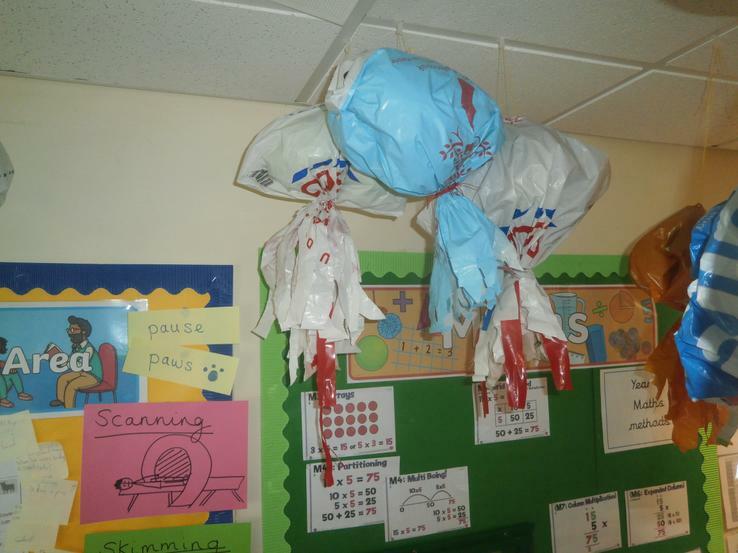 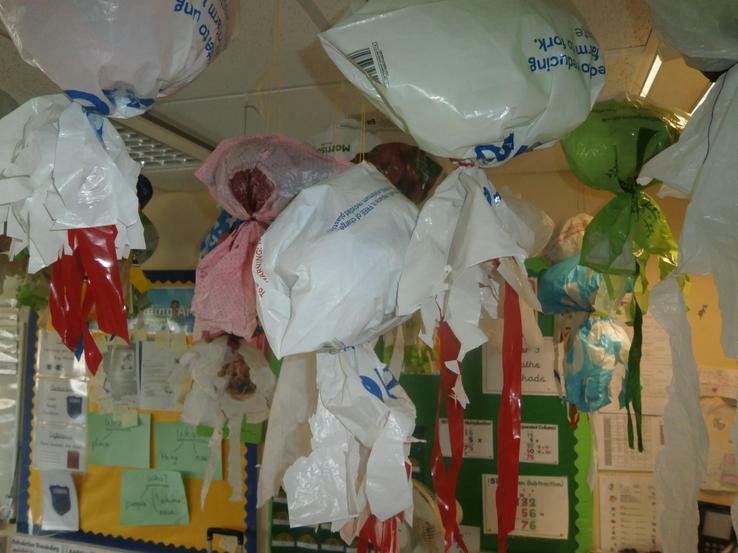 We would like to thank the parents for all the plastic donations - we made a plastic jellyfish installation hanging from our classroom ceiling! 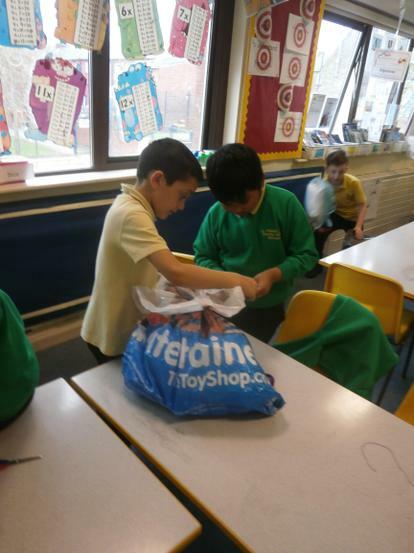 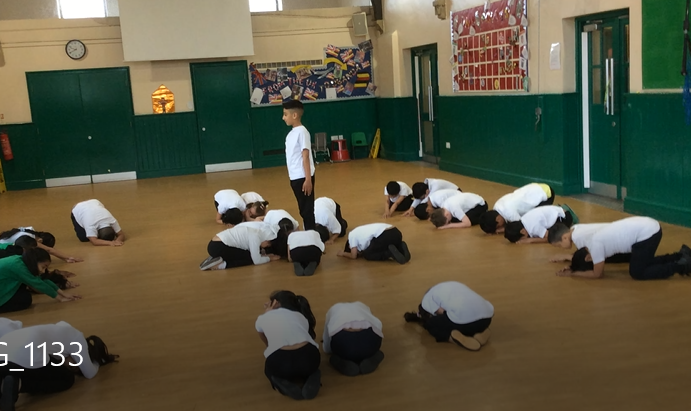 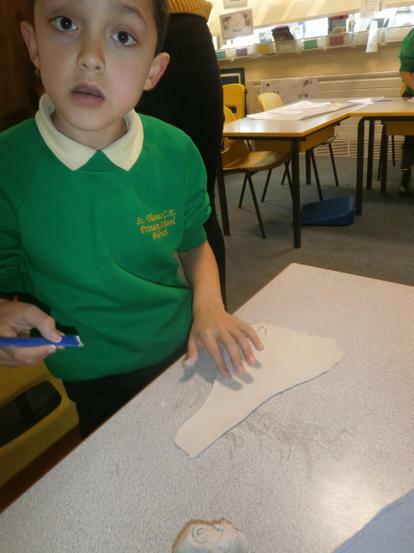 In History lessons, the pupils learnt all about the Shang Dynasty. 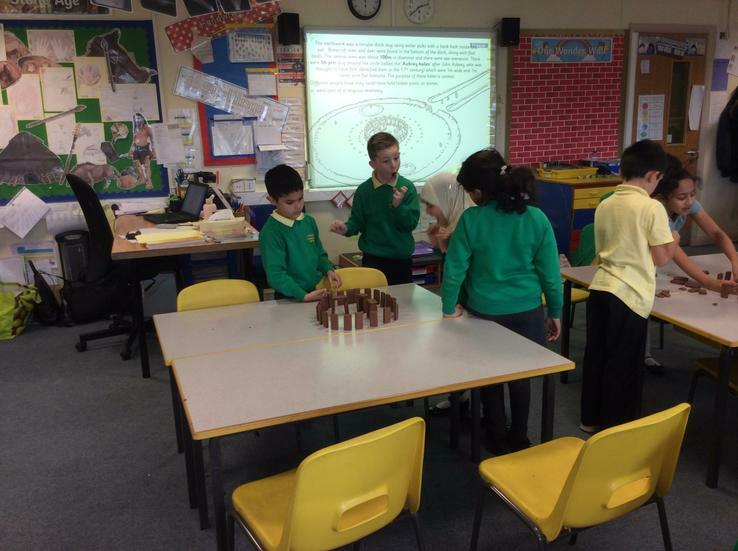 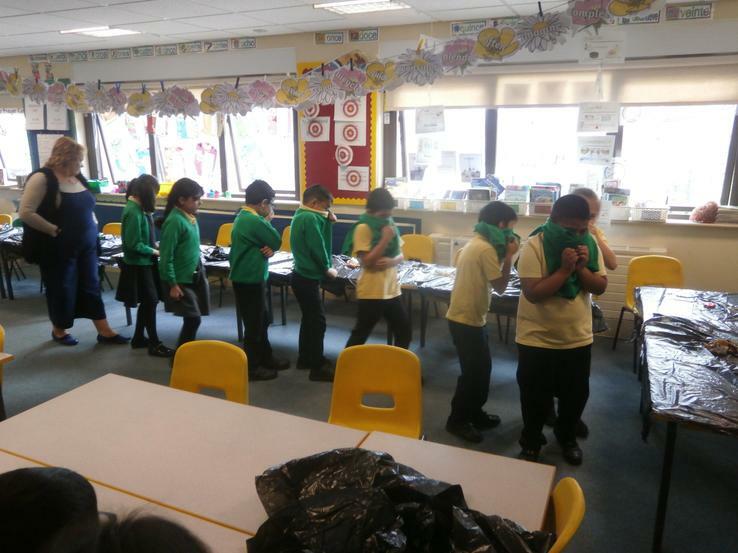 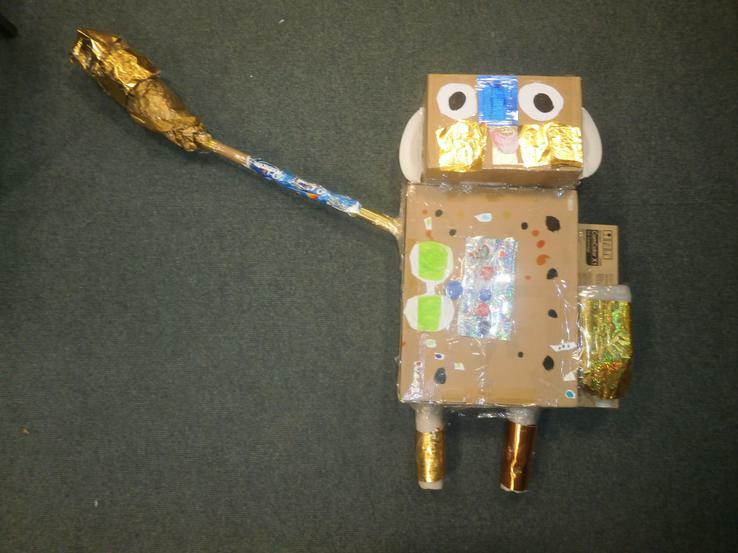 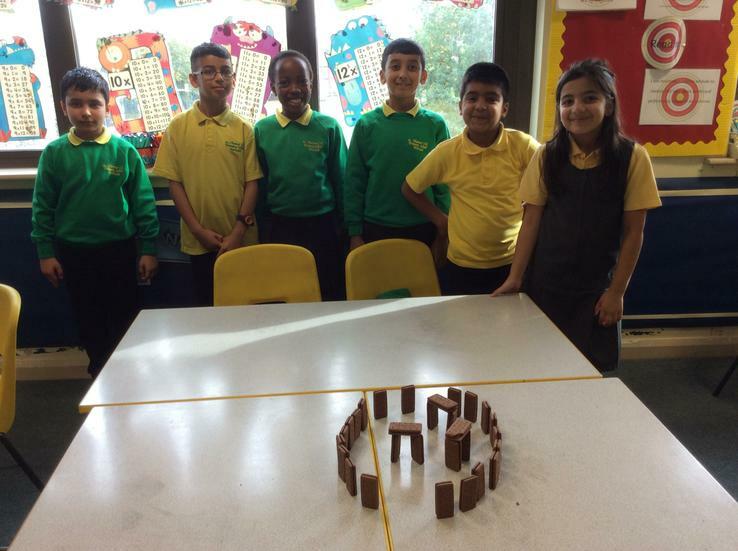 They learnt about roles, responsibilities and Oracle Ceremonies. 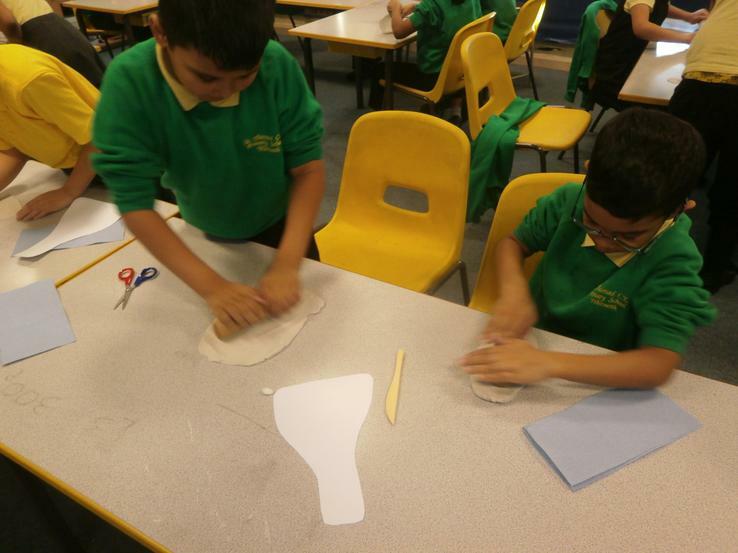 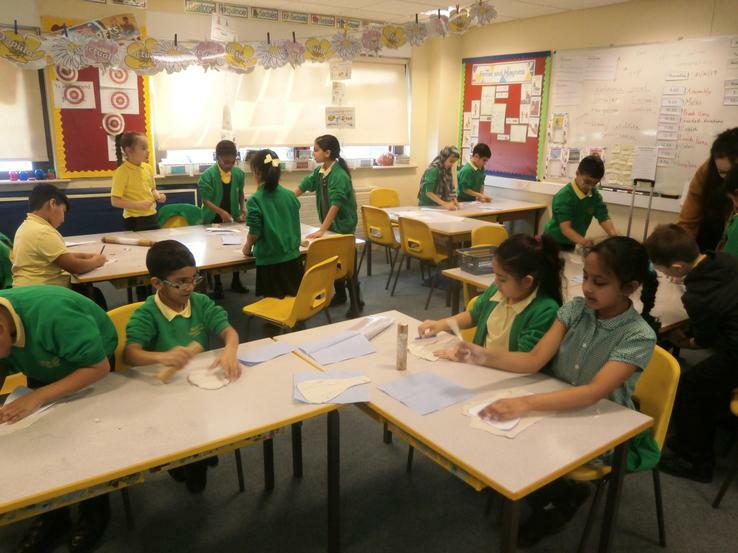 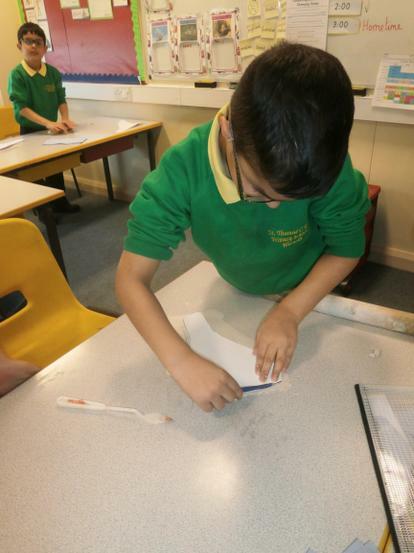 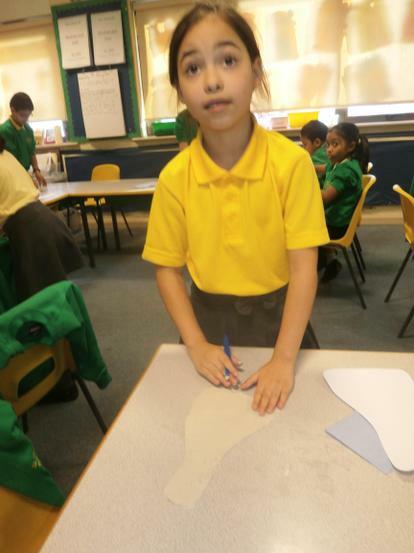 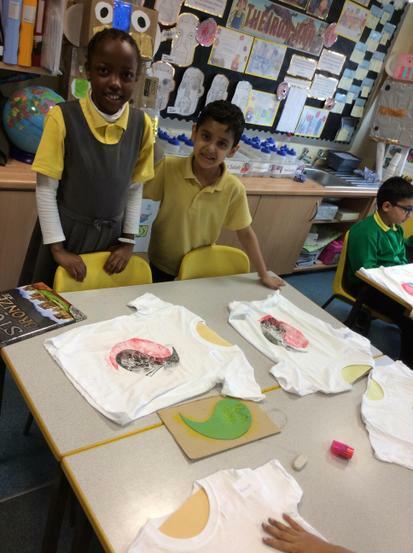 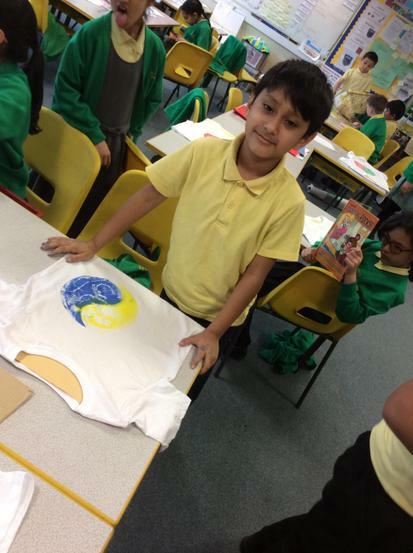 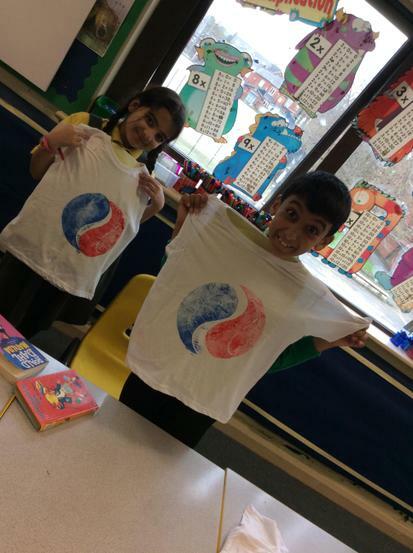 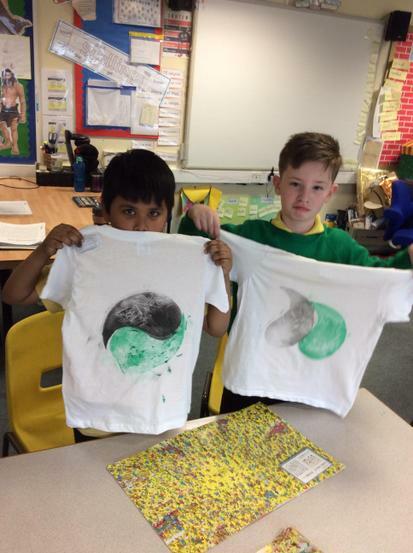 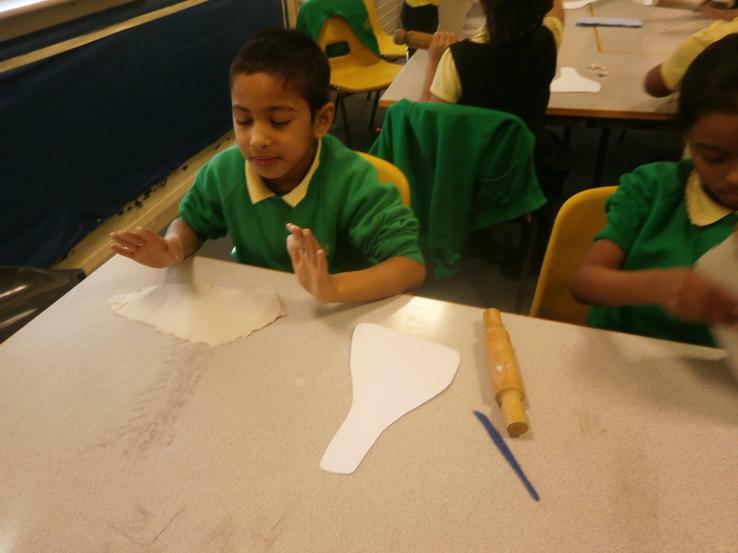 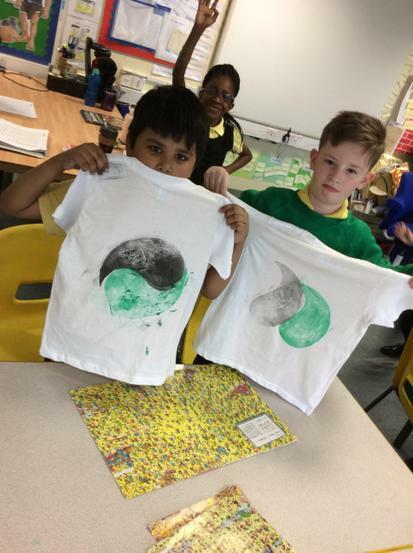 To celebrate the work, the children printed their own t-shirt with a Ying and Yang design. 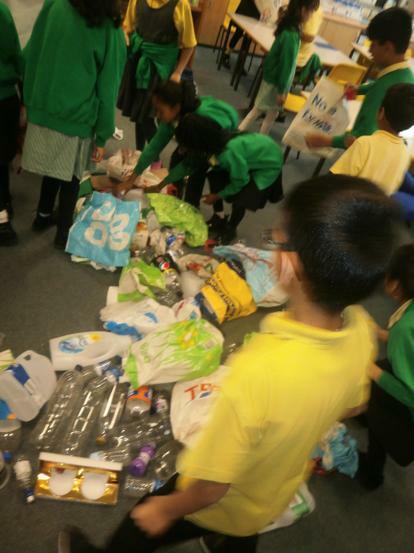 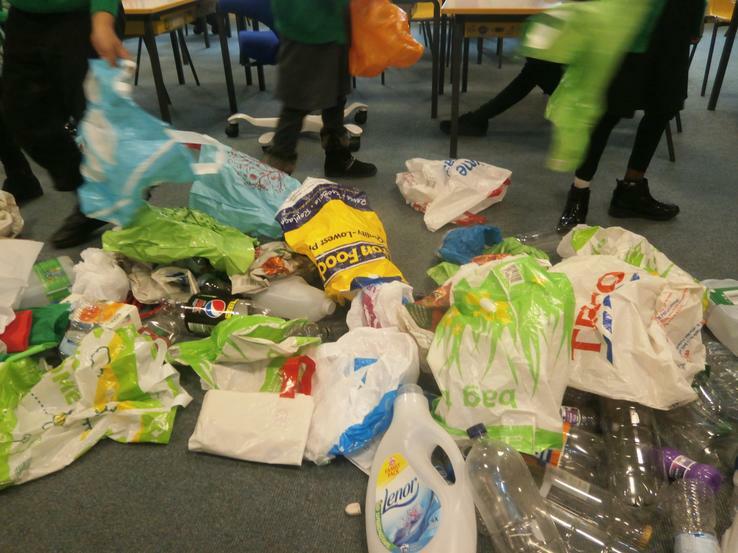 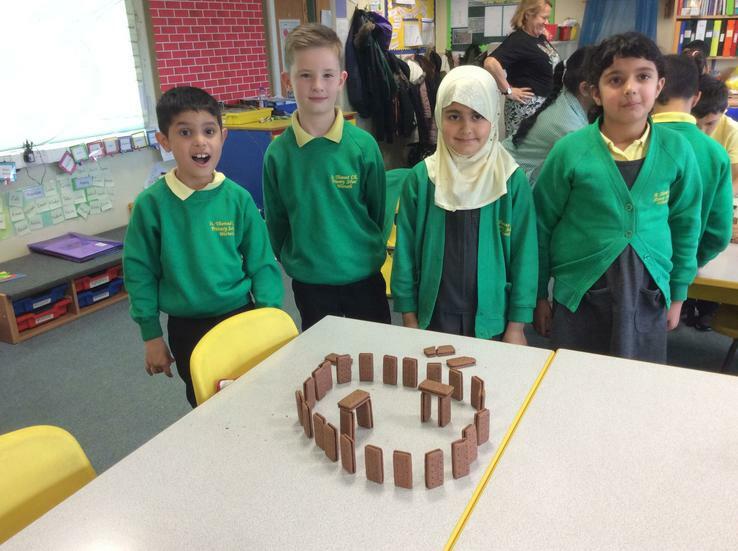 Very impressive Year 3! 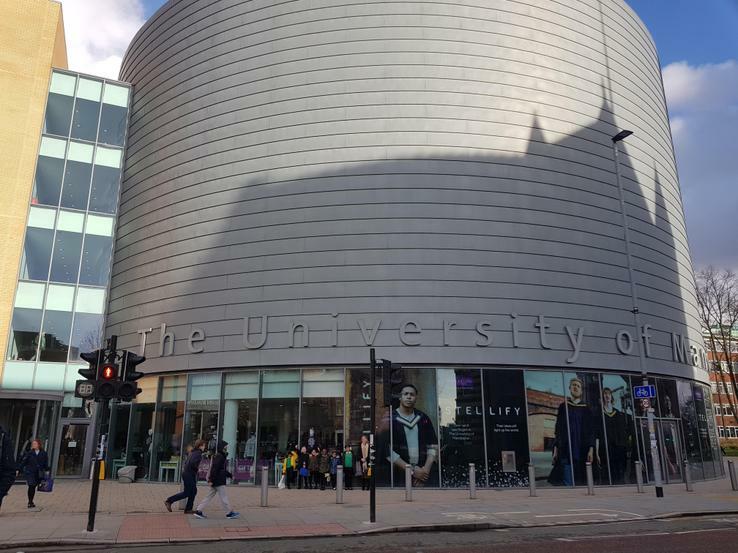 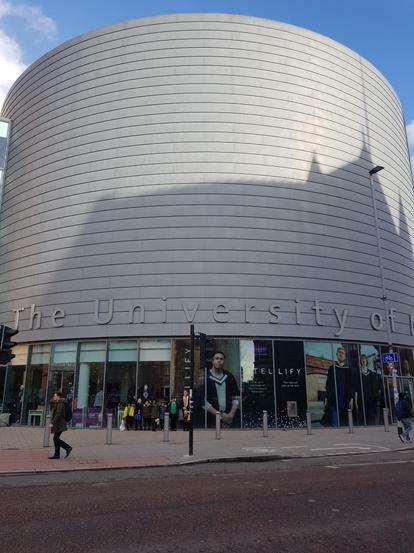 Manchester University. 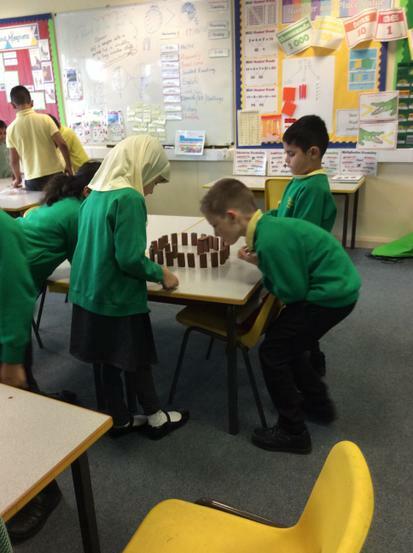 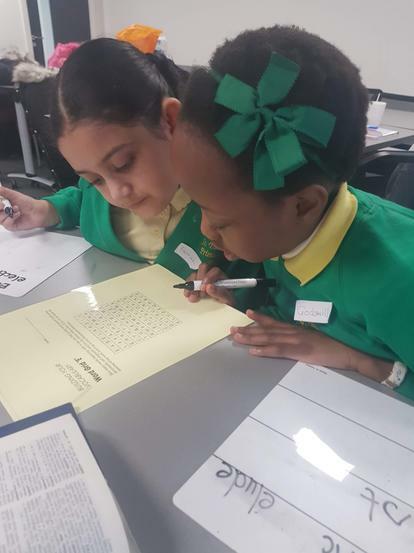 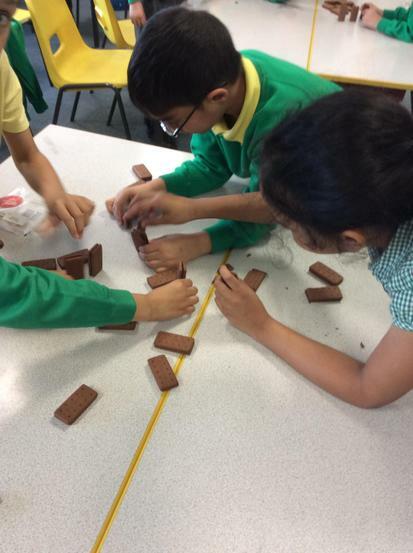 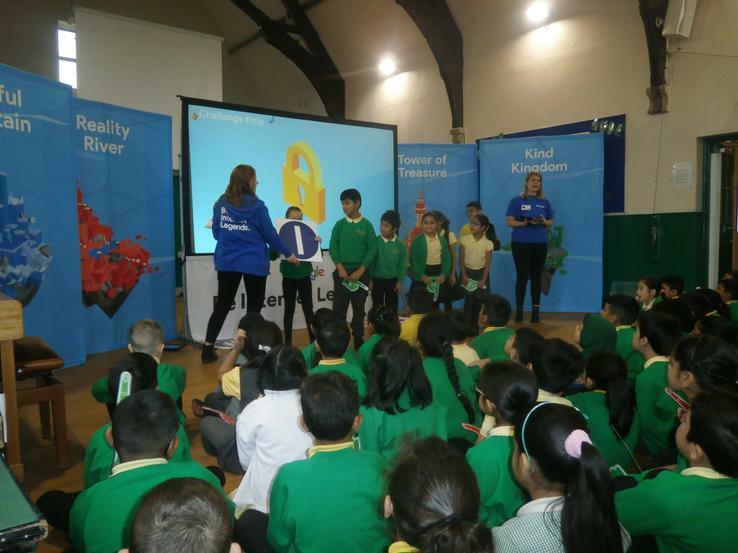 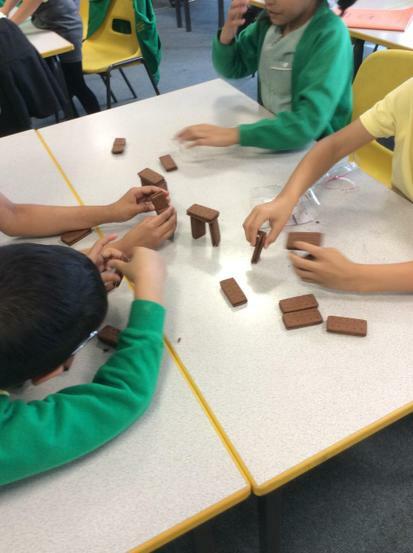 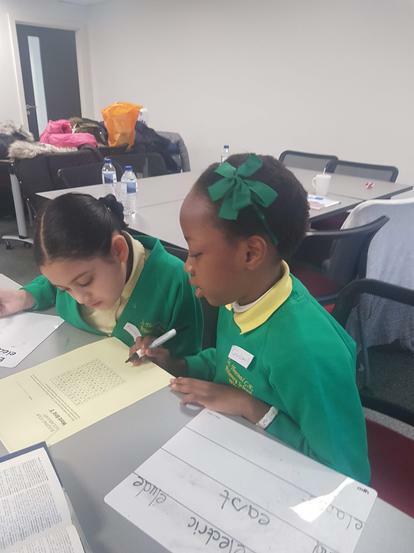 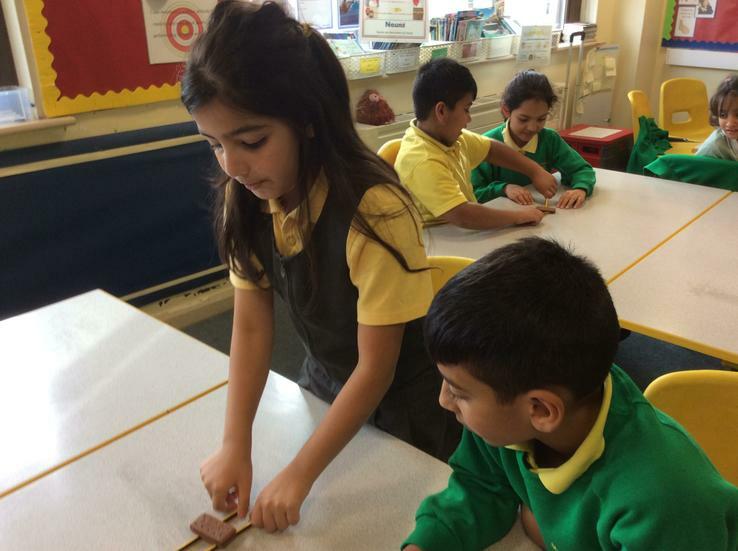 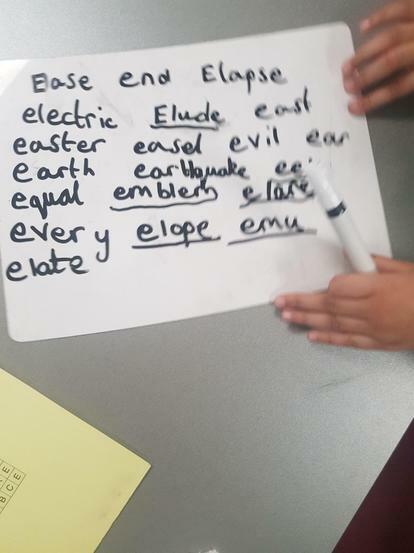 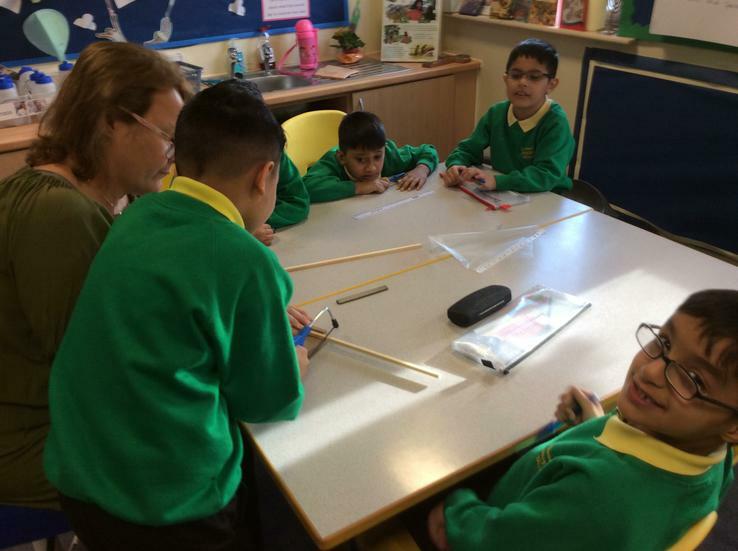 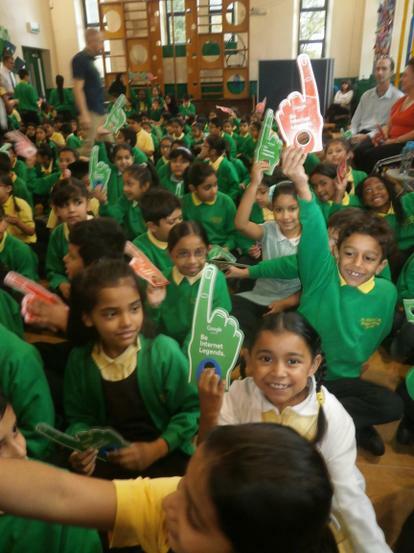 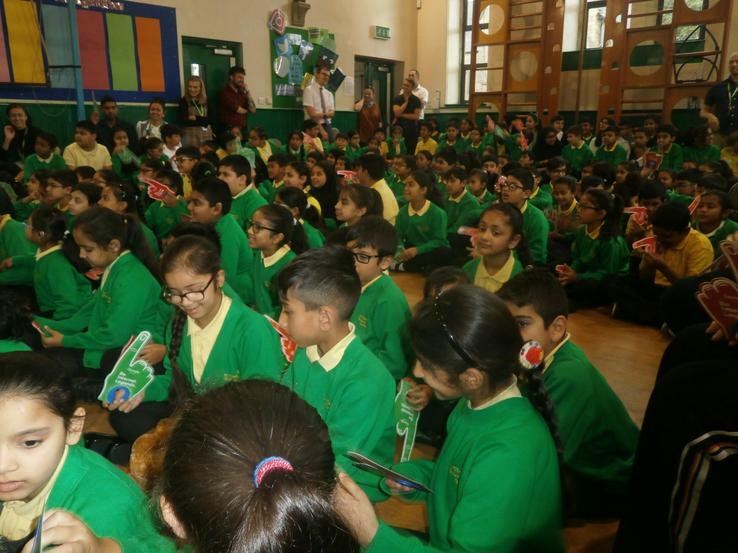 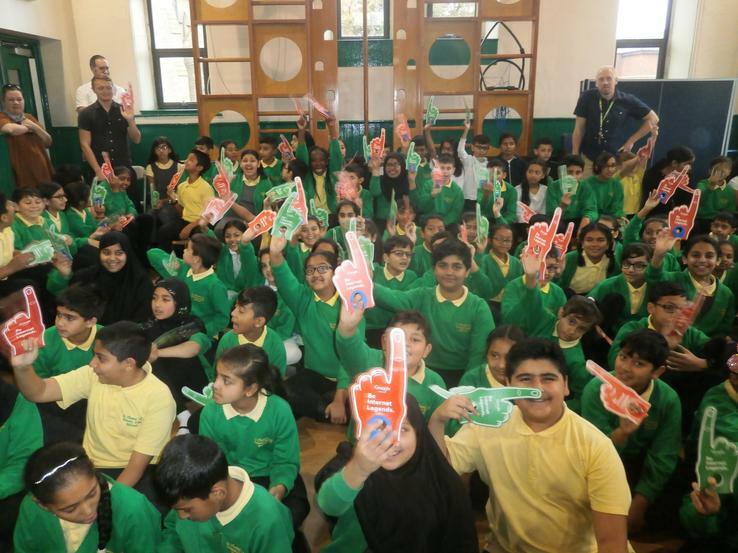 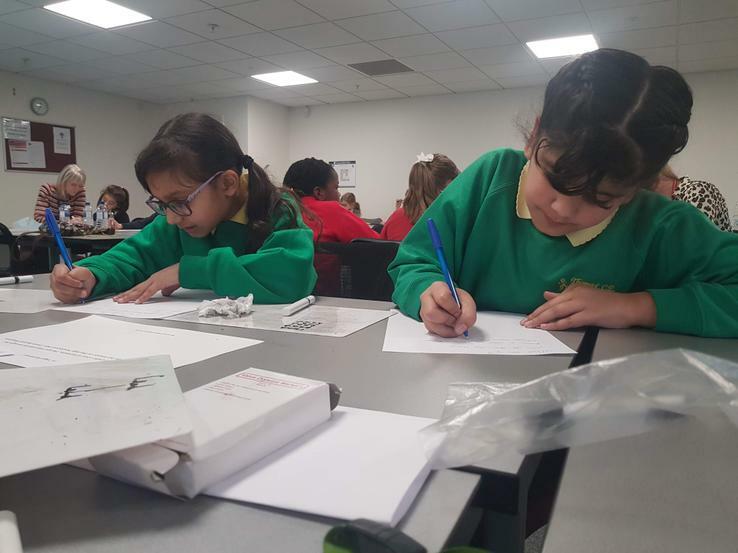 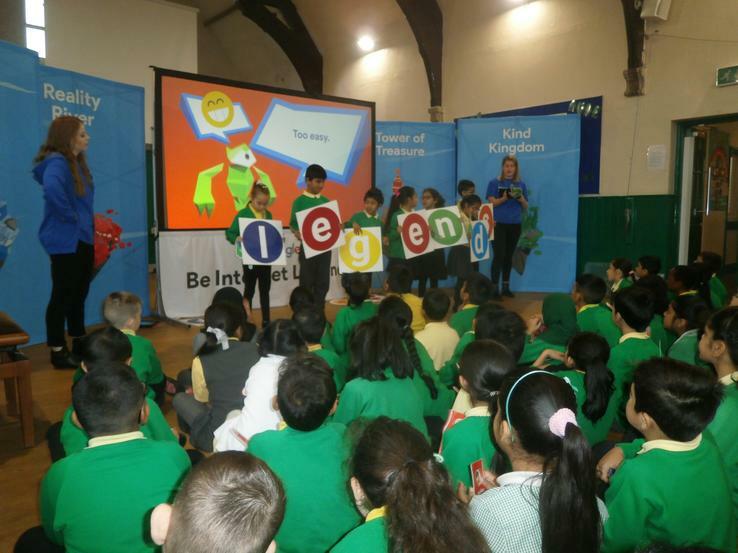 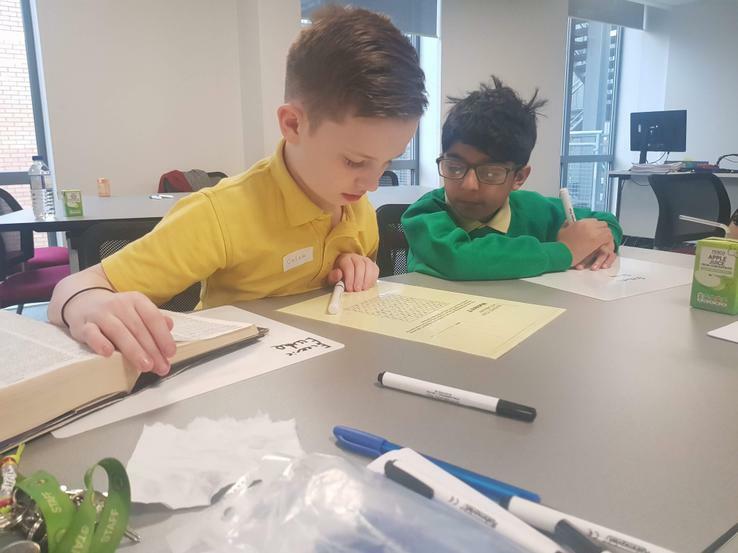 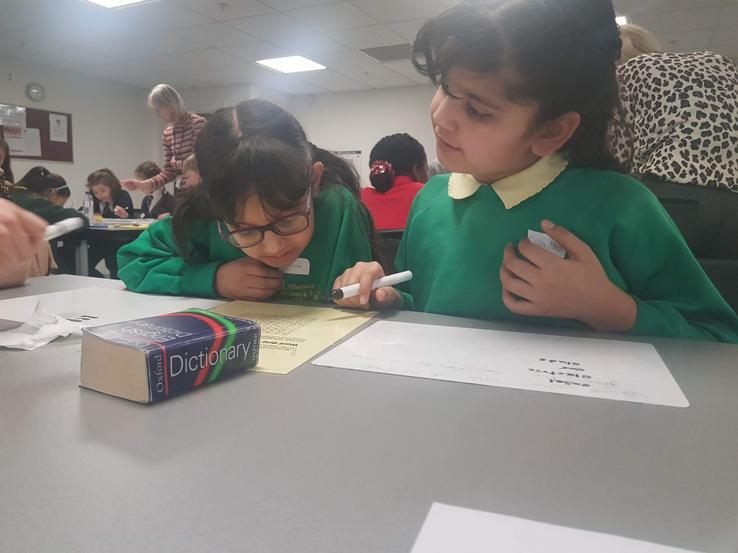 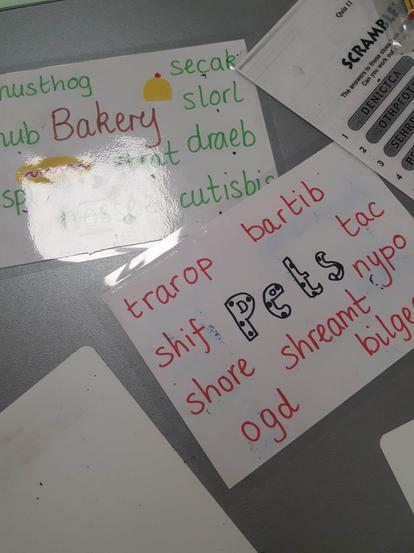 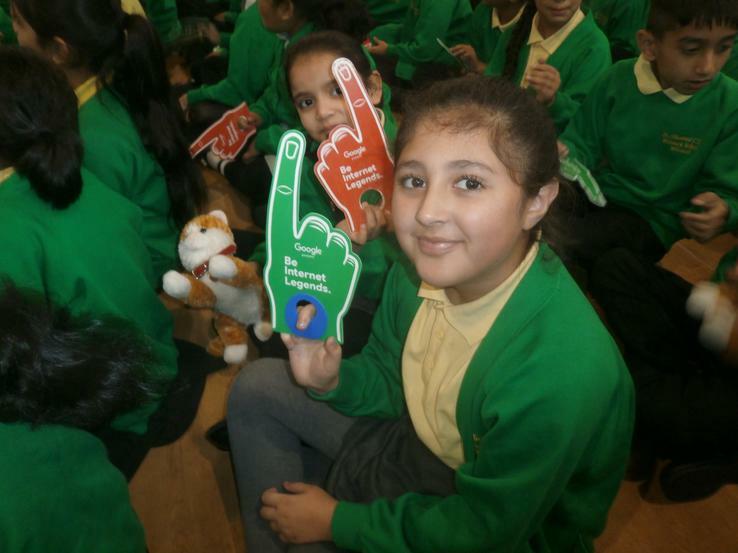 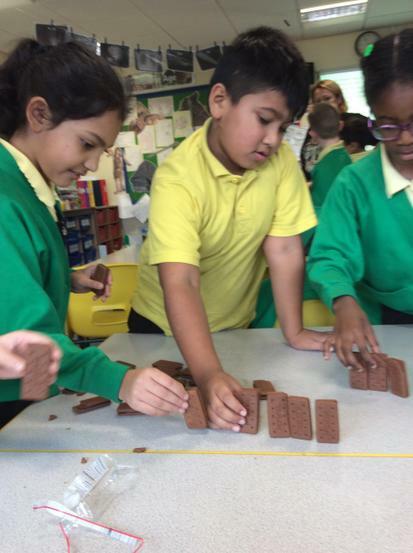 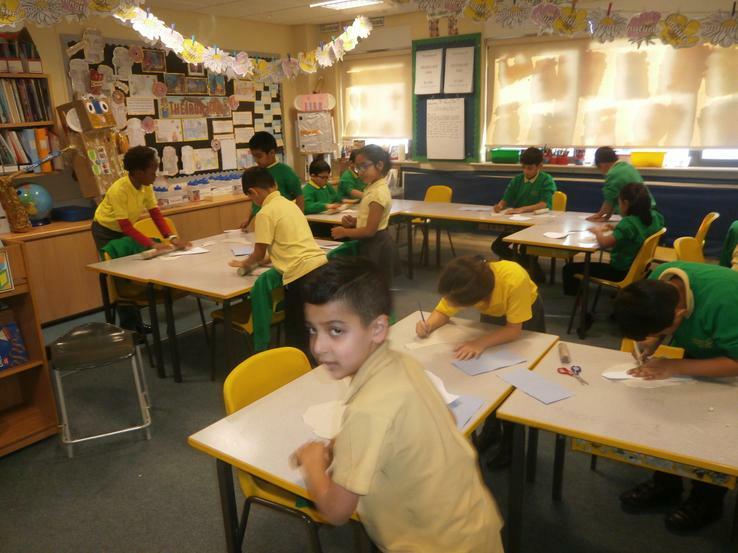 A small selection of year 3 pupils had the opportunity to participate in an English Masterclass session at Manchester University. 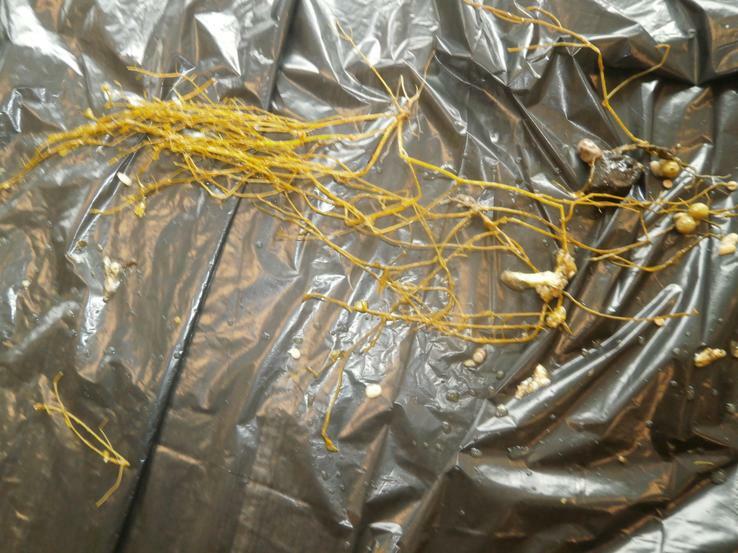 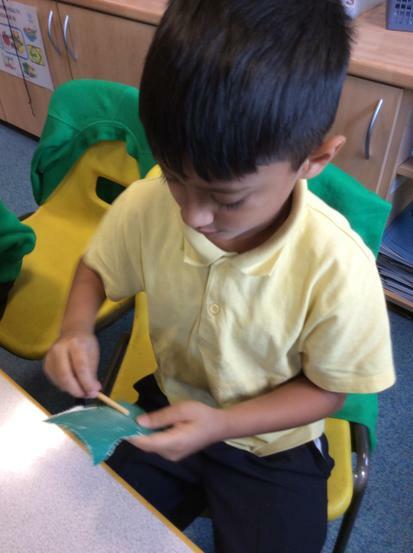 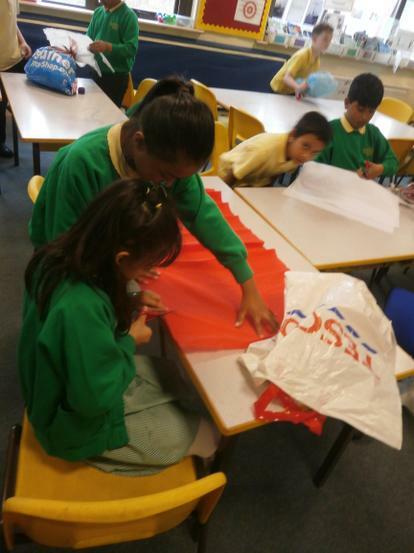 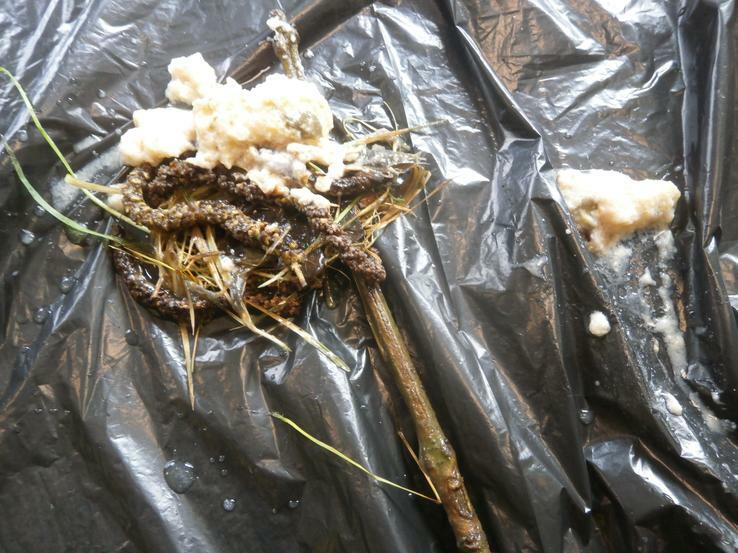 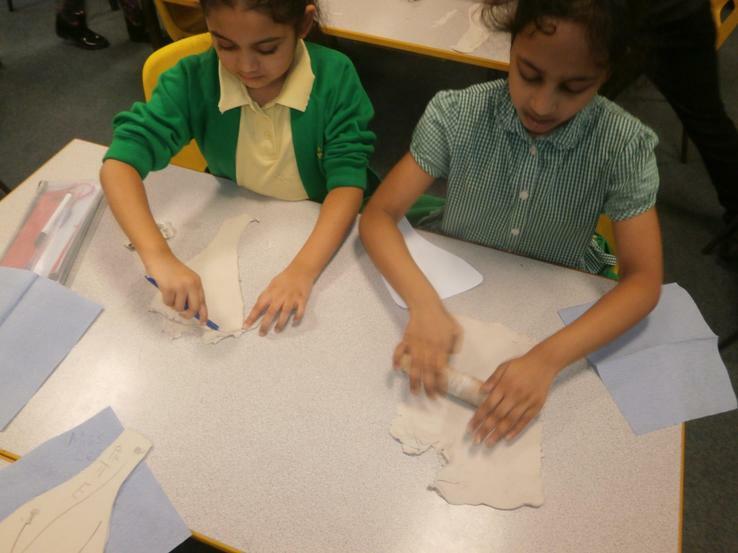 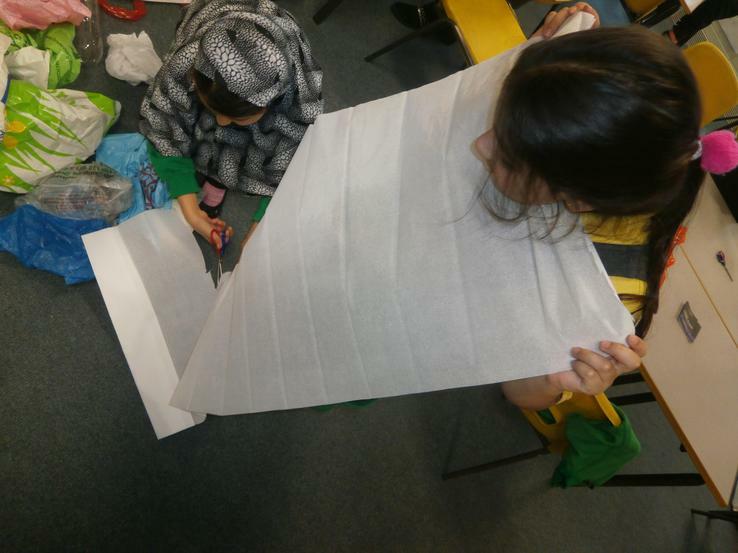 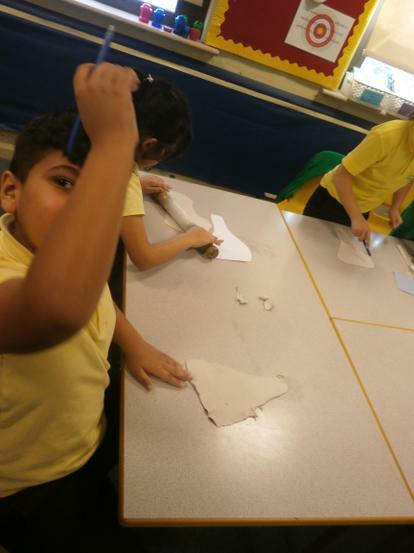 For our Shang Dynasty' topic in Histroy, the children learnt all about the 'Dragon Bones' and then had a chance to make their very own. 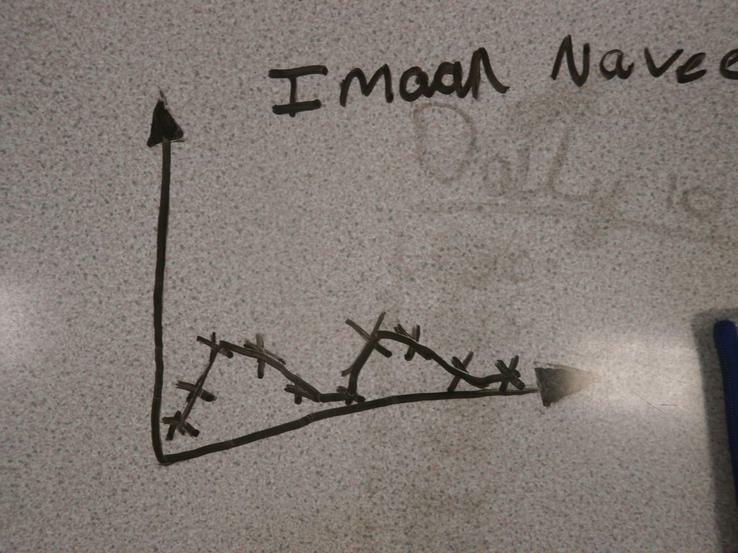 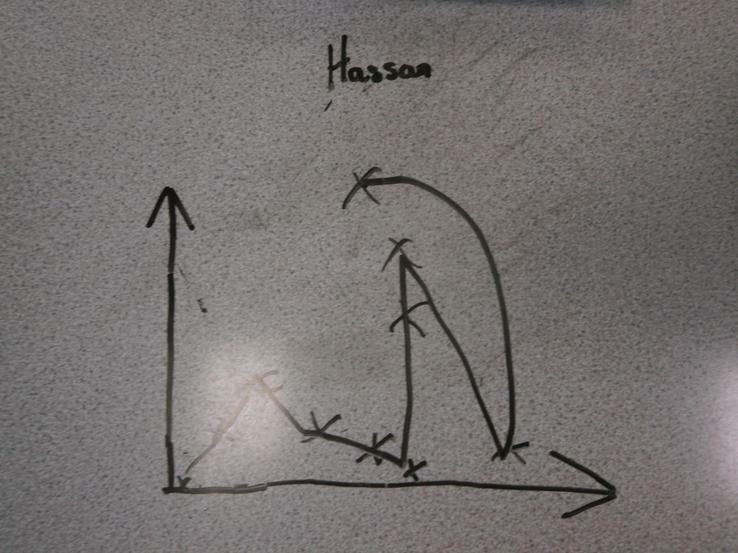 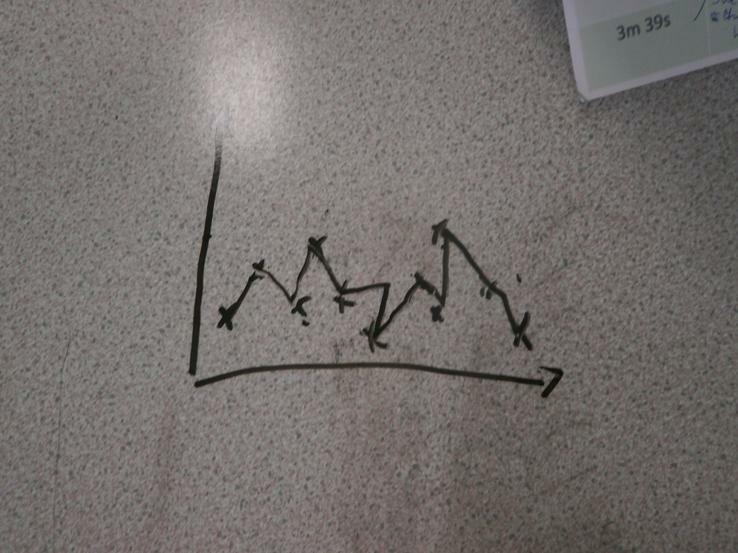 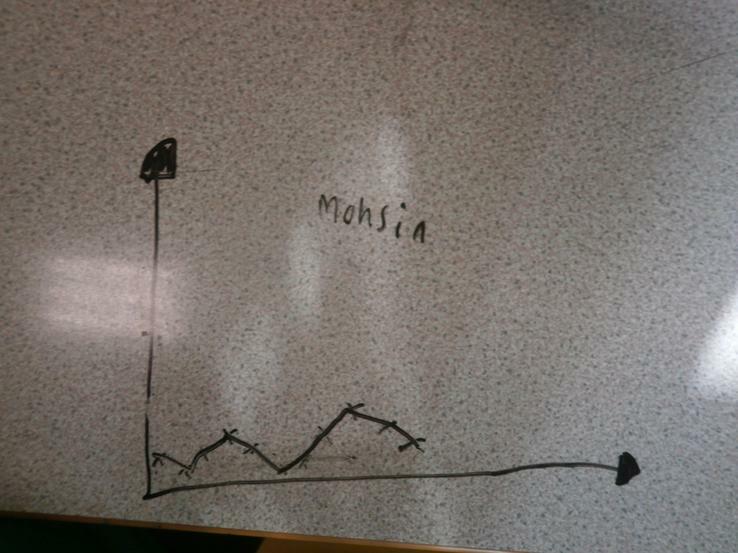 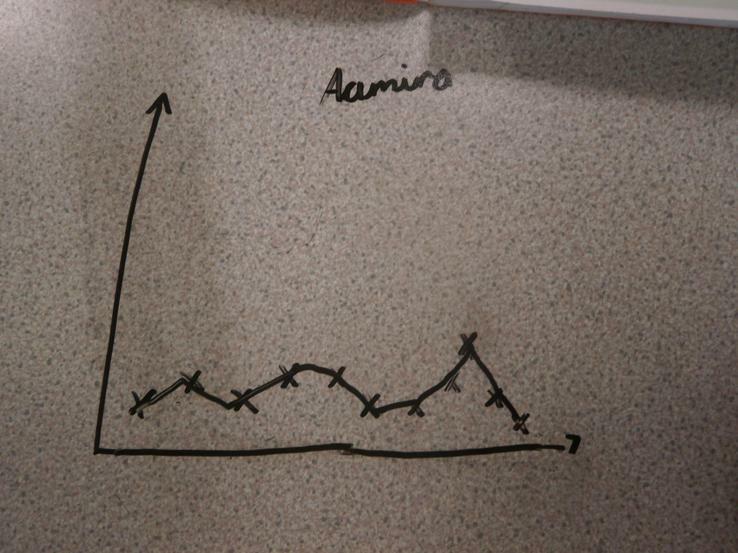 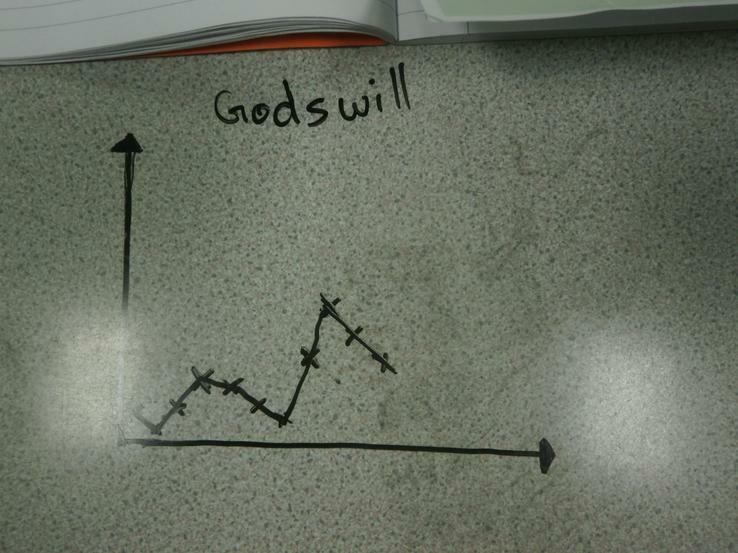 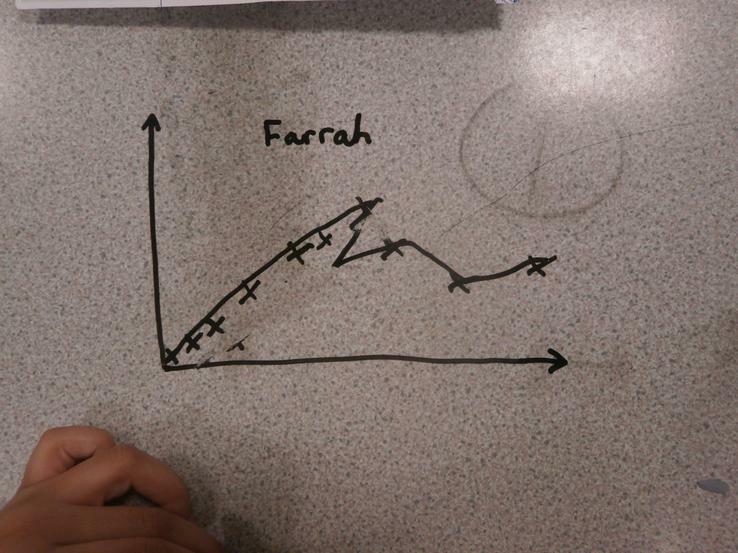 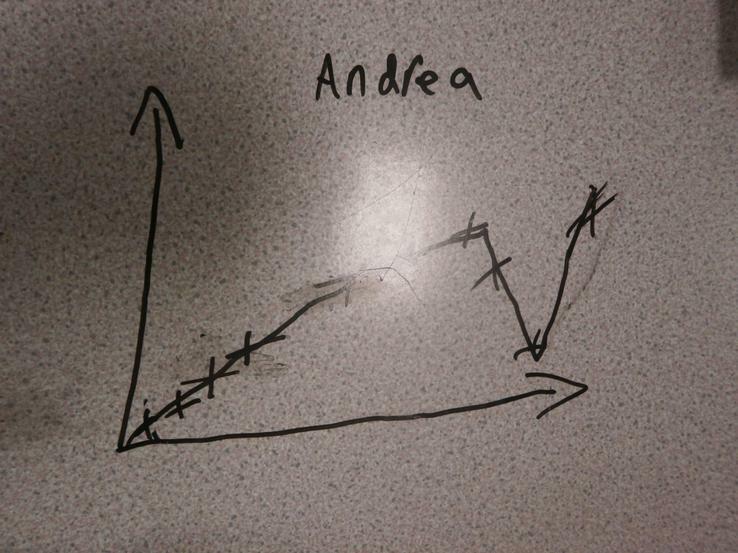 Creating an 'Emotion Graph' for a character in a short film. 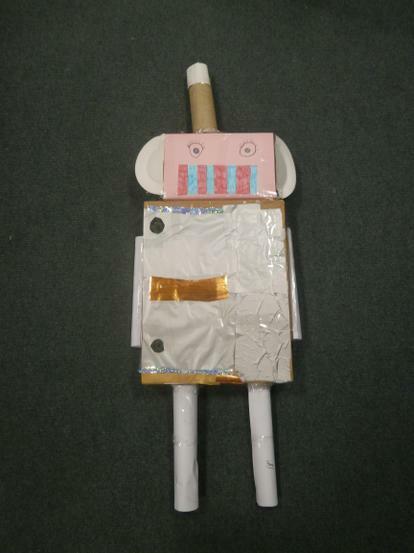 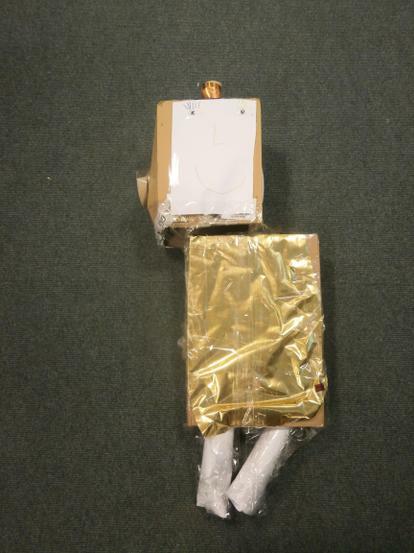 'Girl and Robot'. 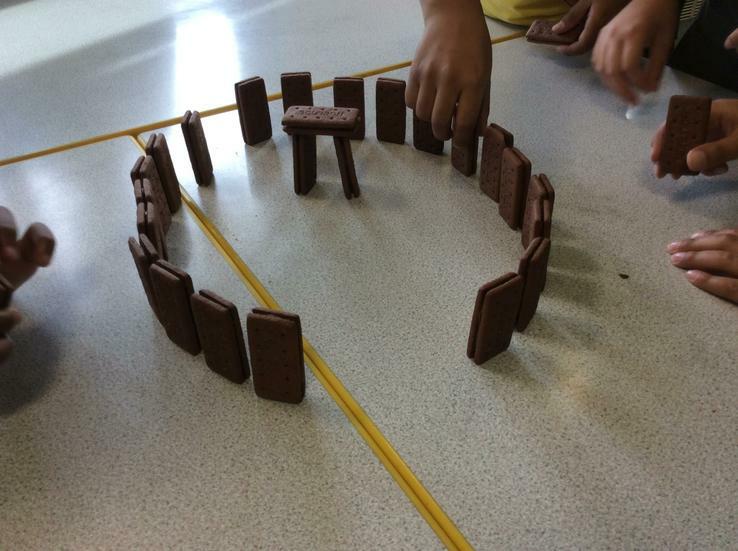 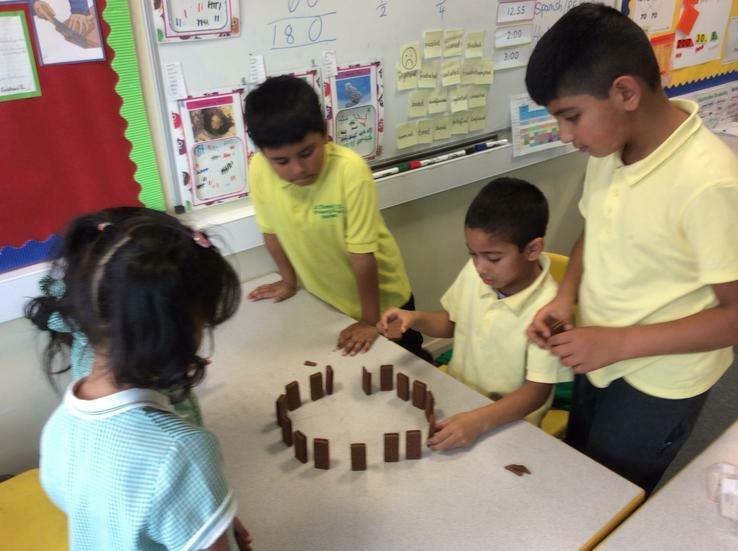 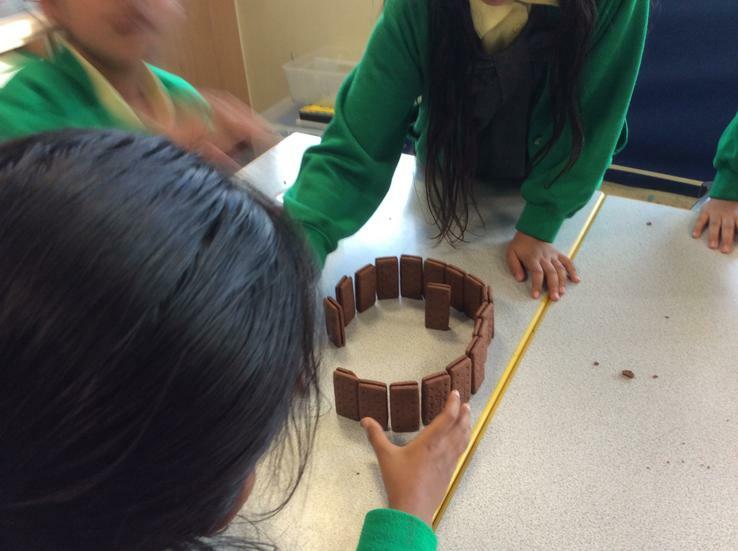 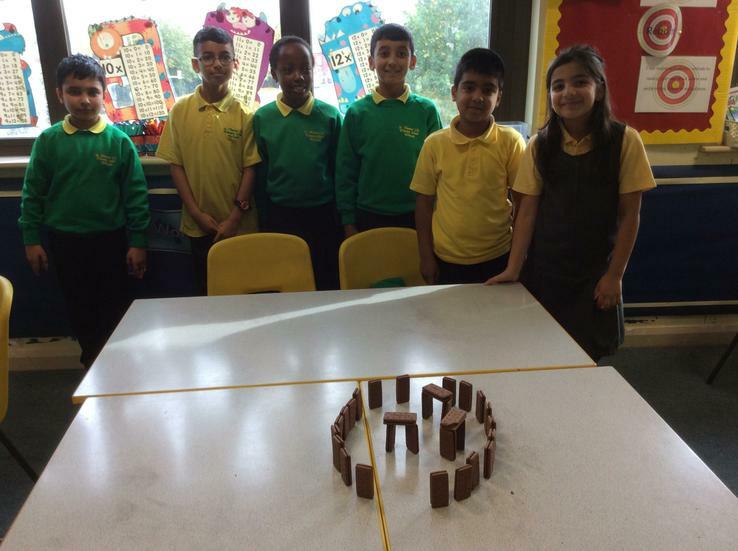 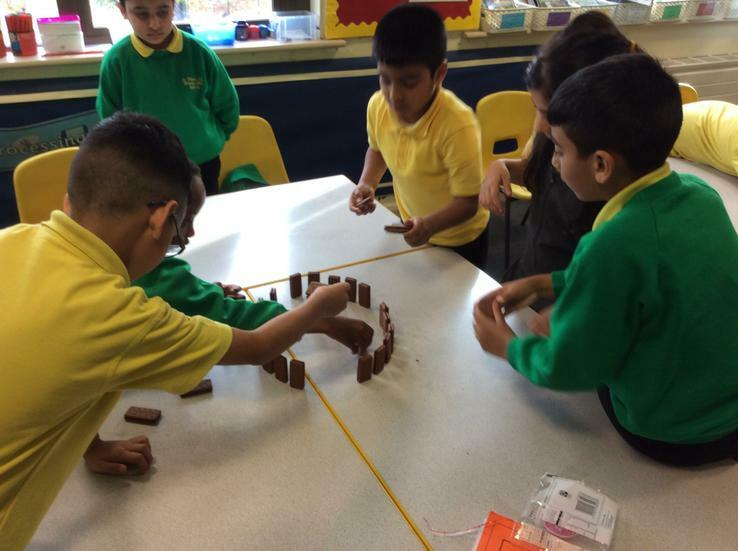 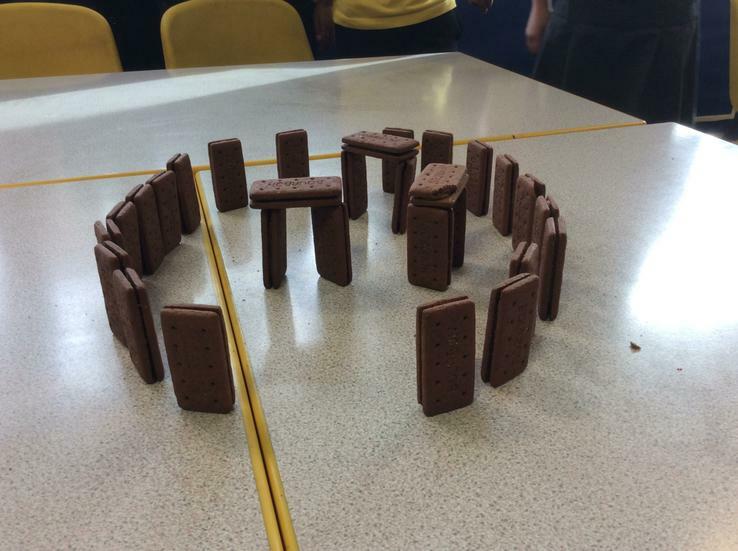 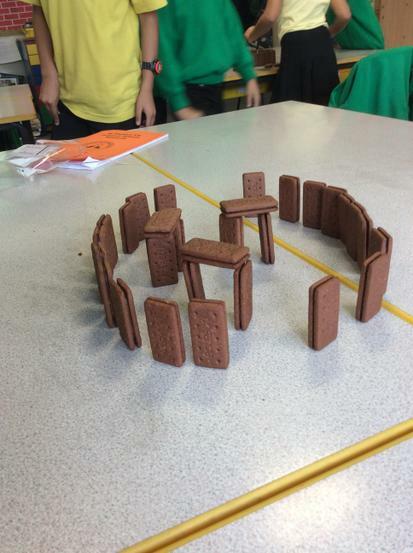 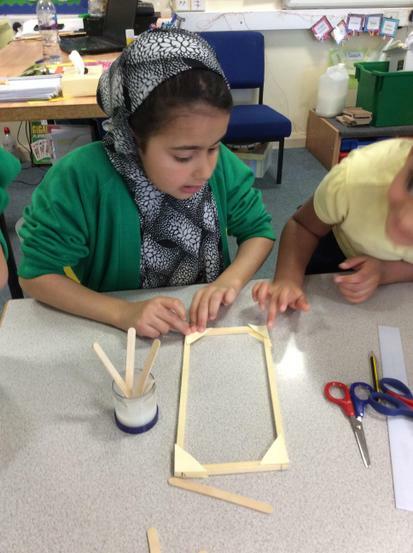 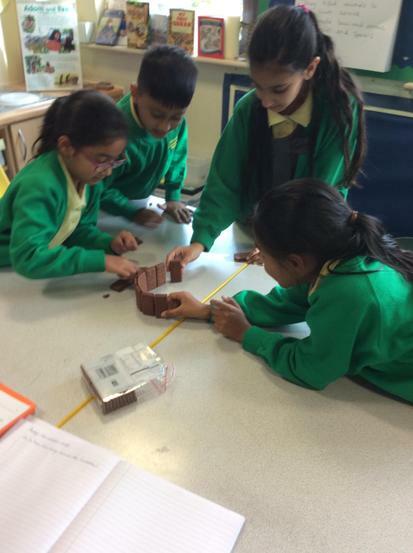 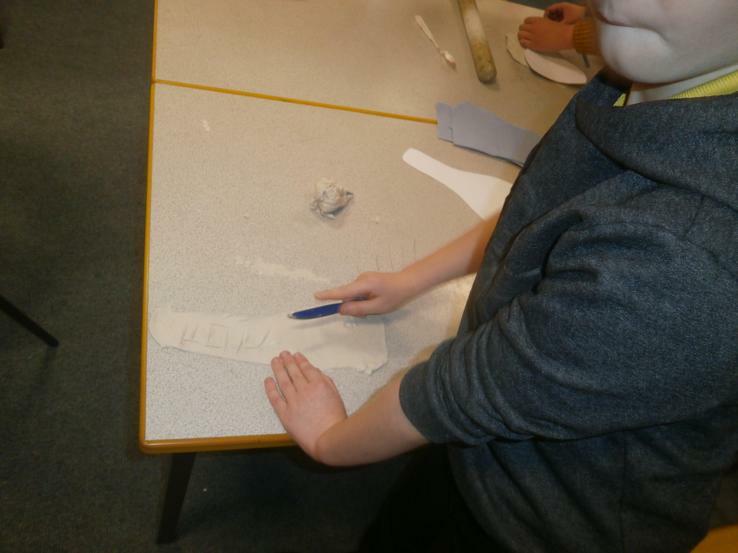 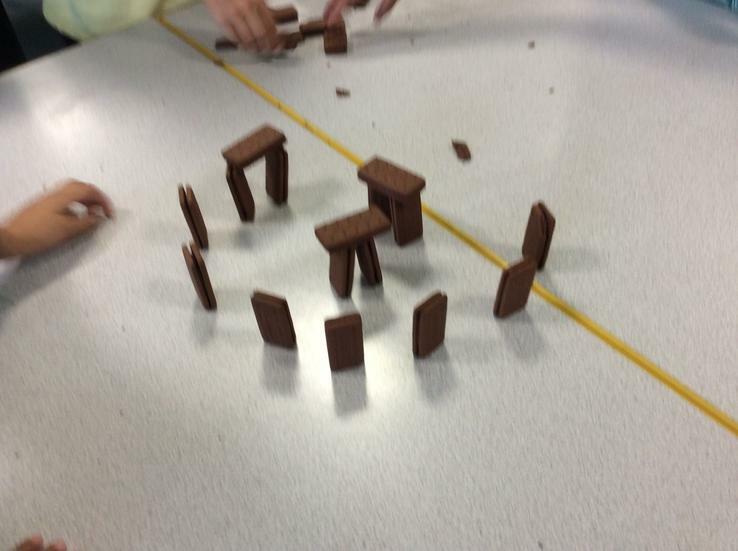 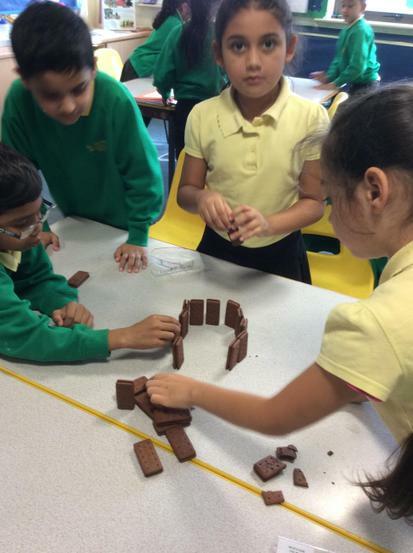 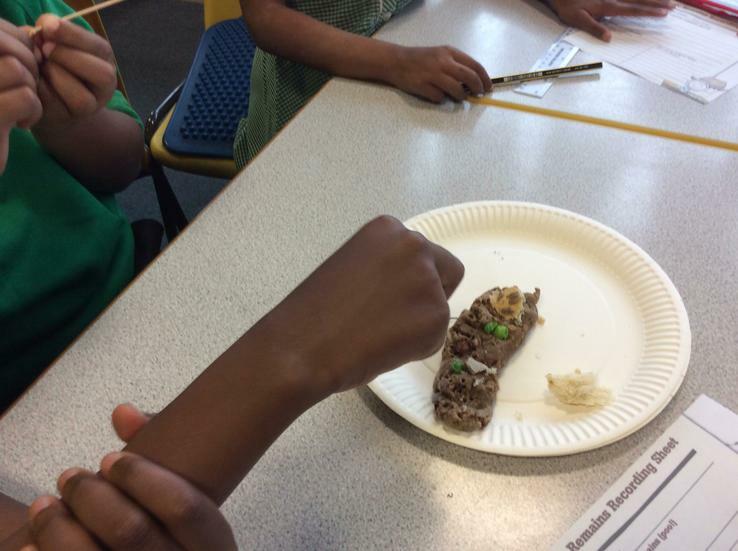 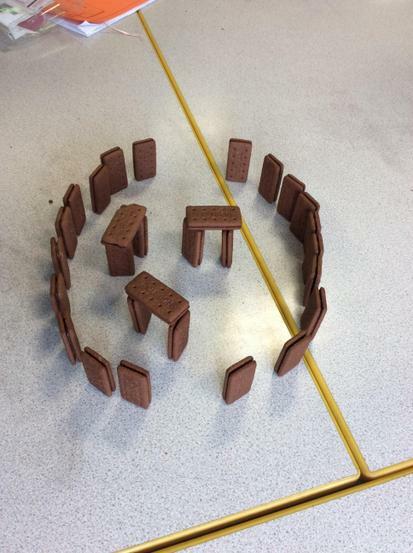 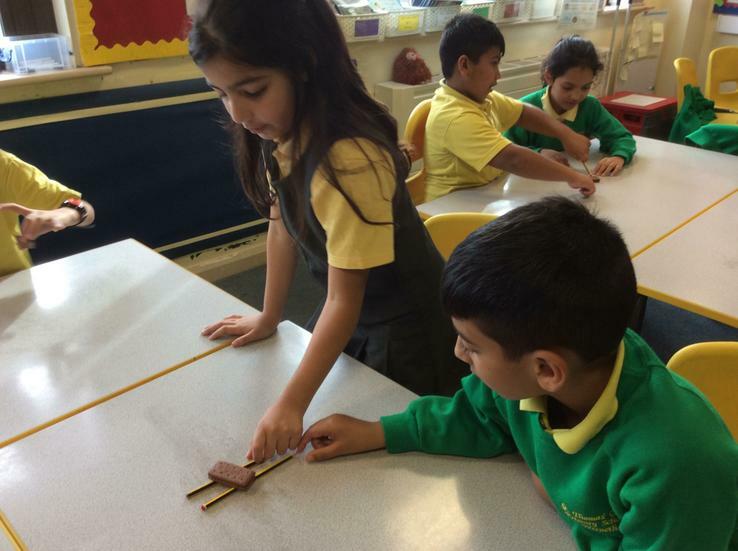 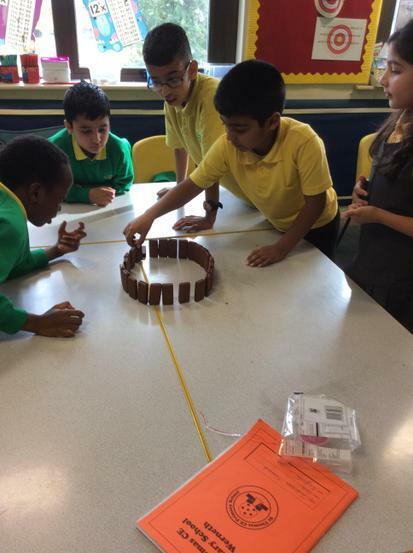 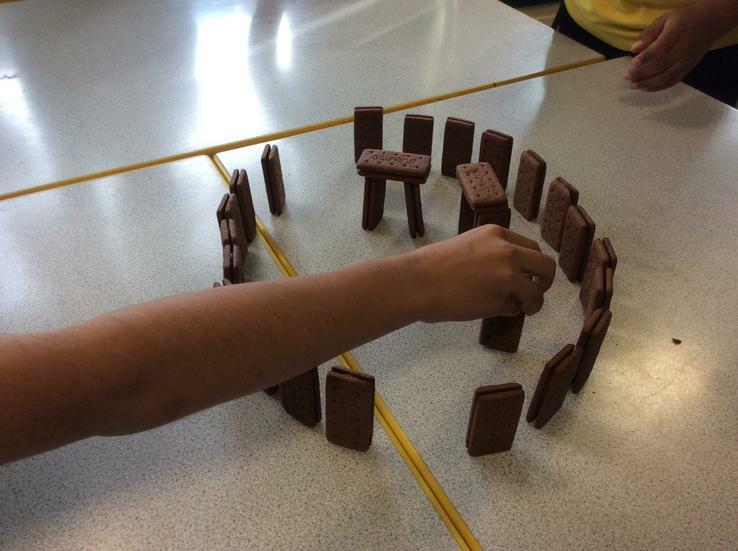 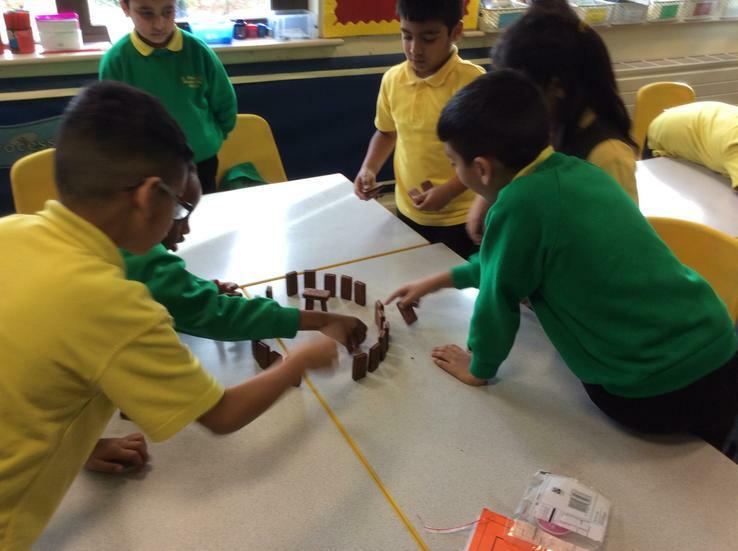 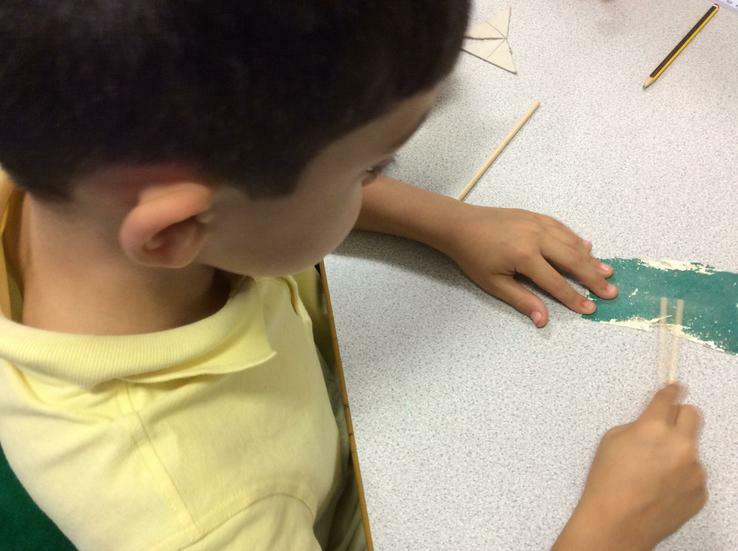 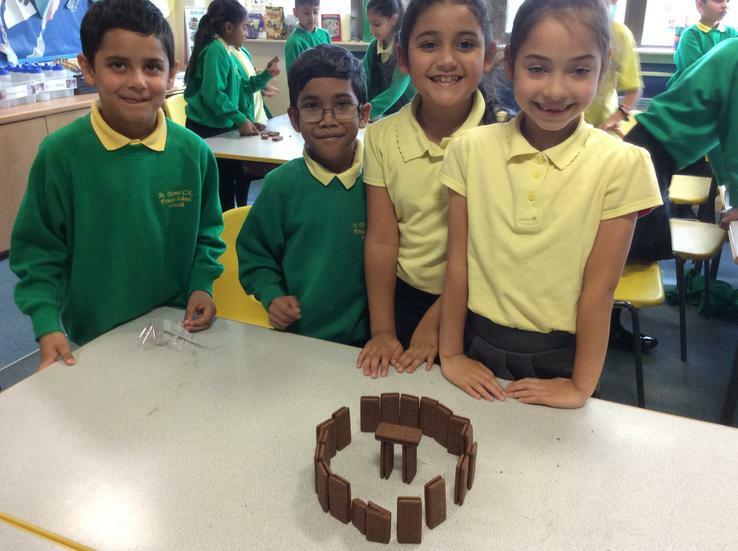 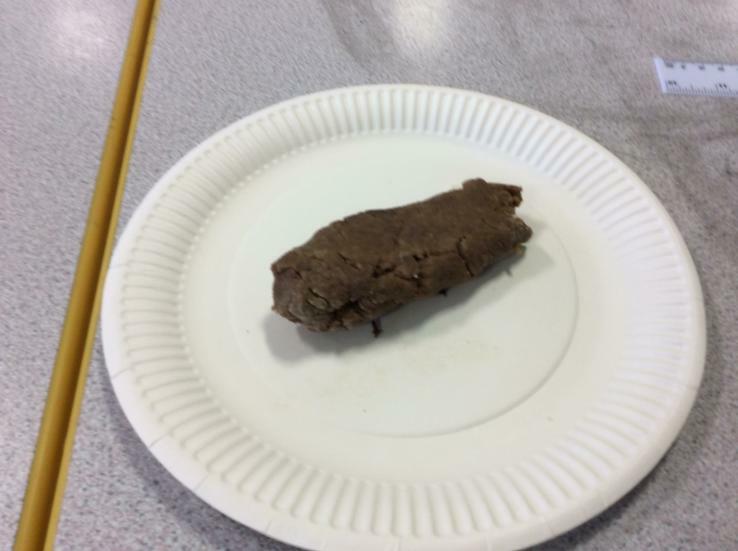 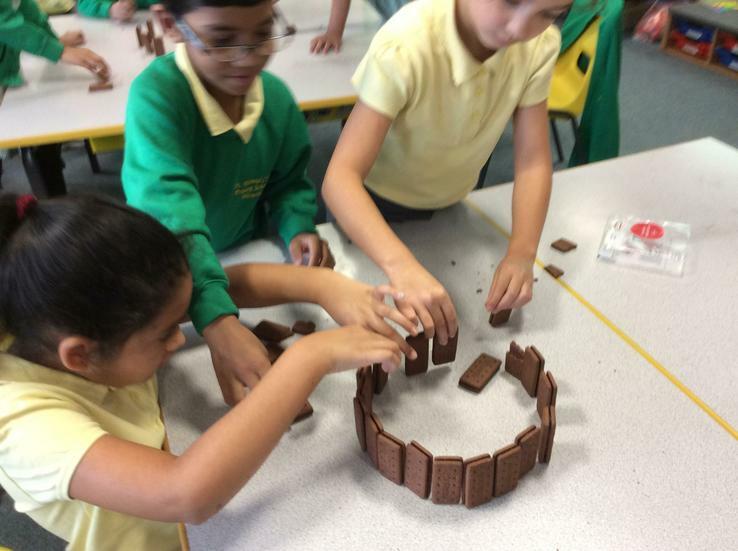 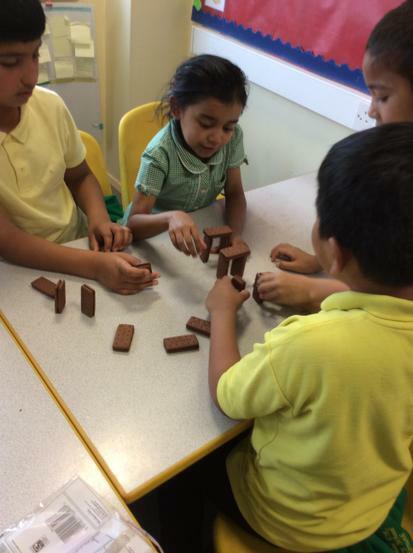 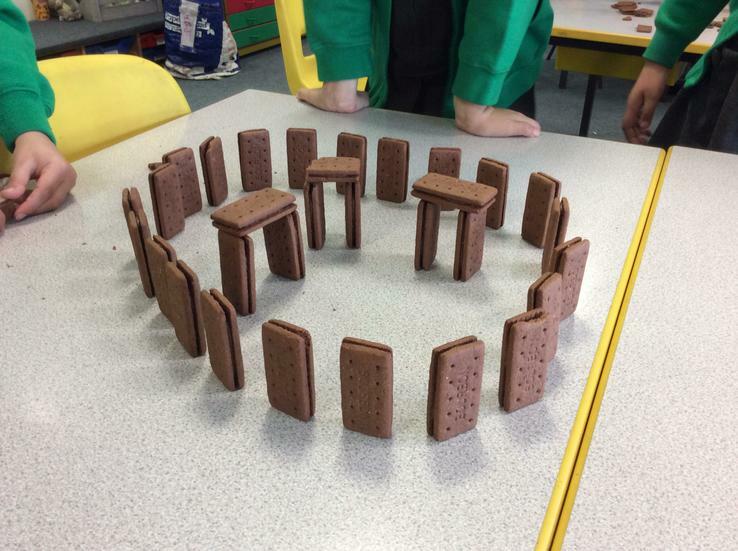 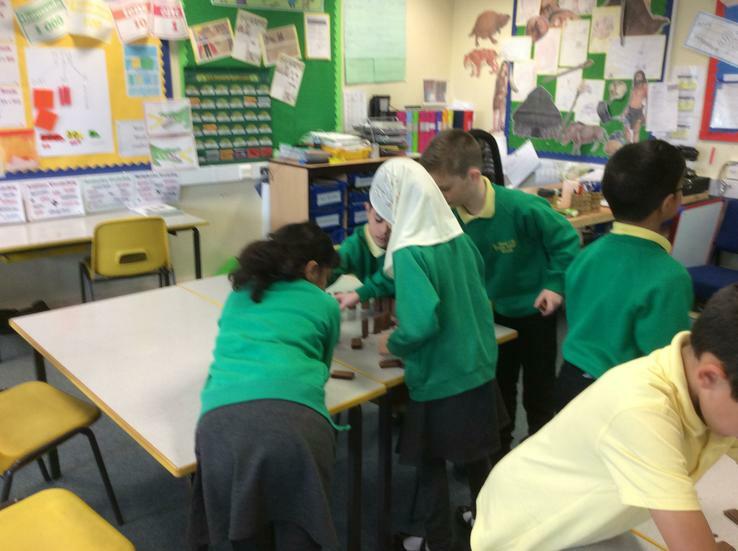 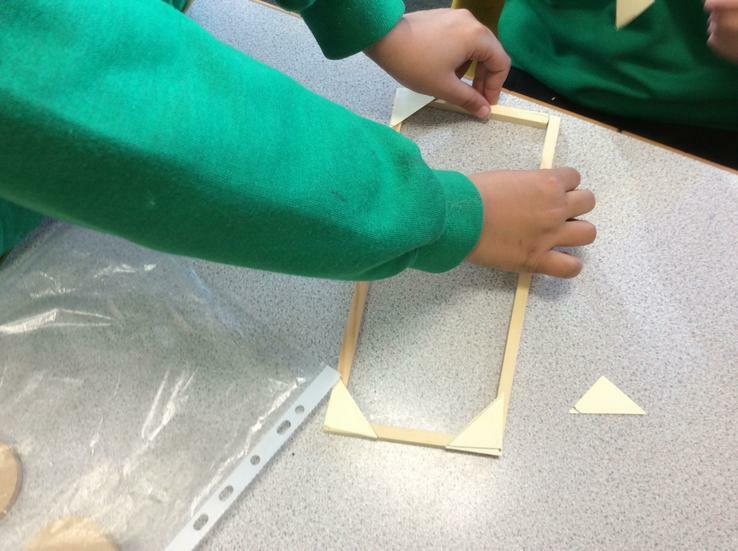 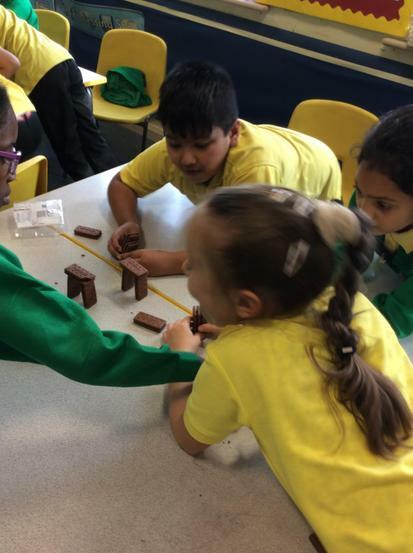 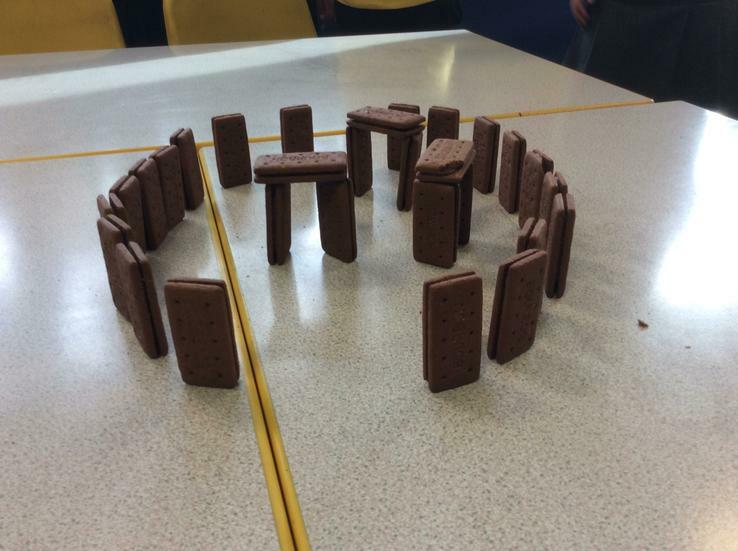 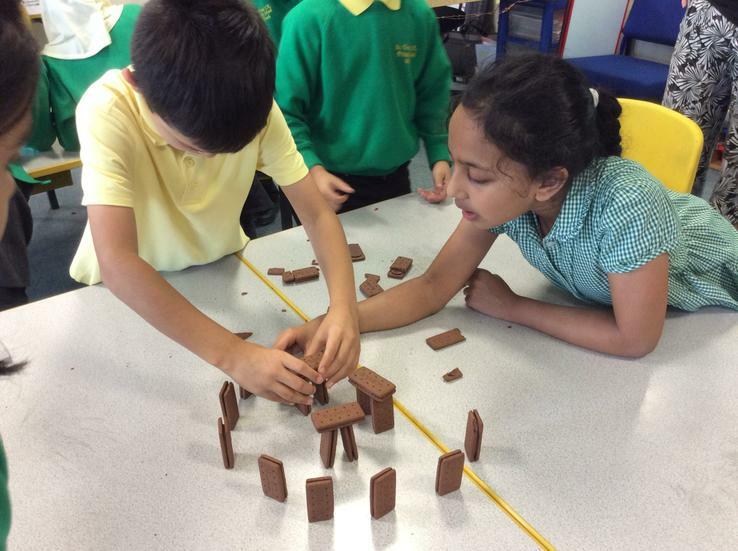 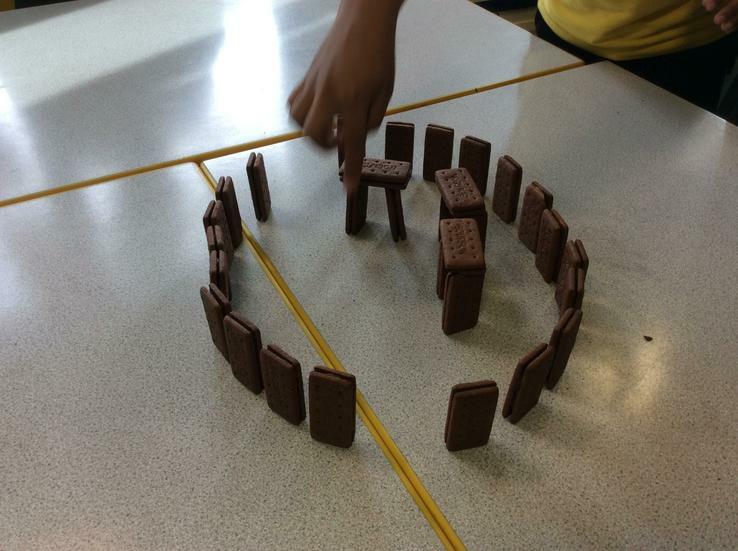 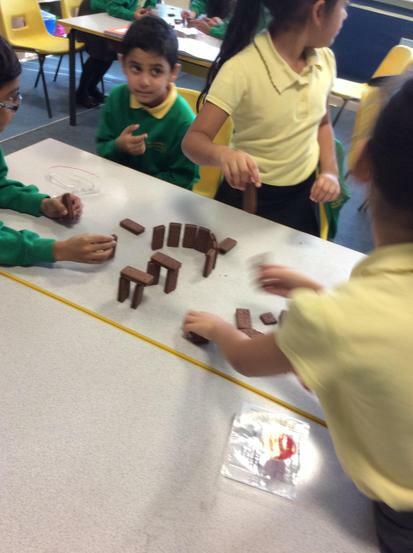 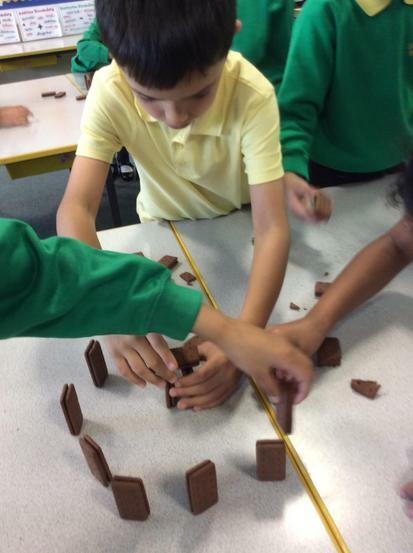 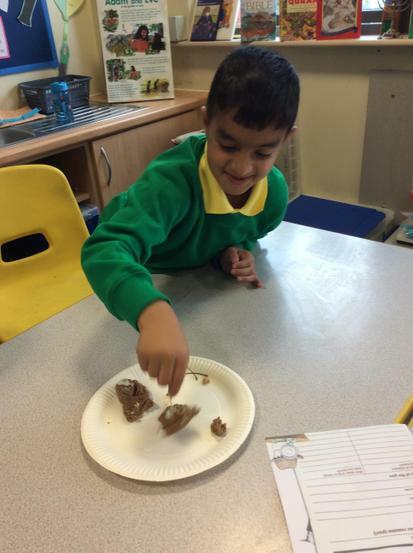 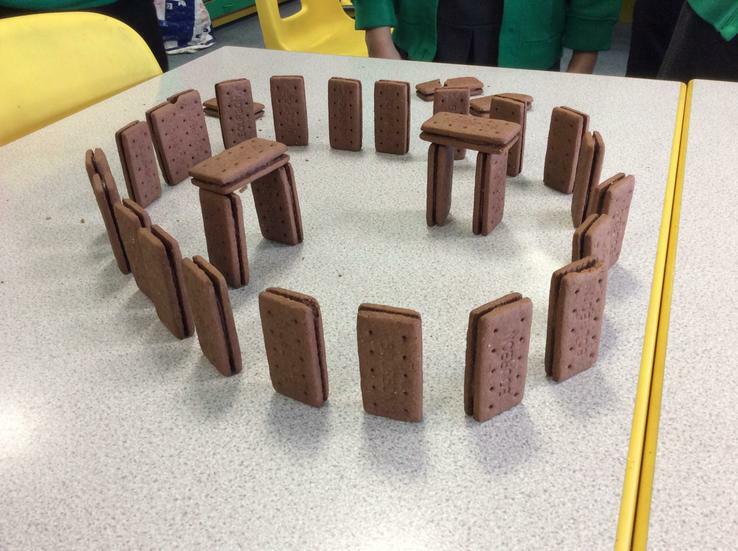 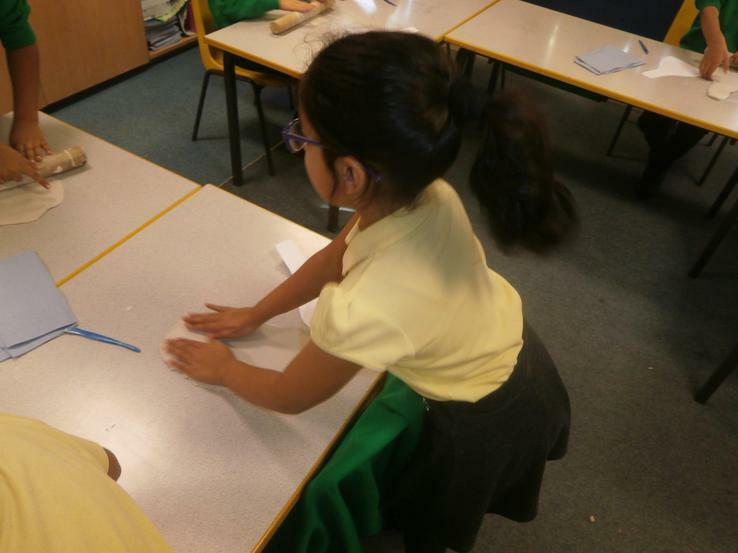 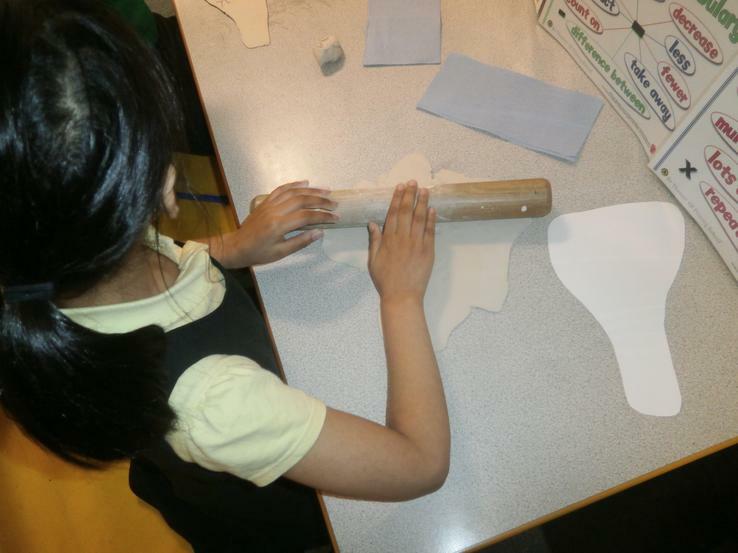 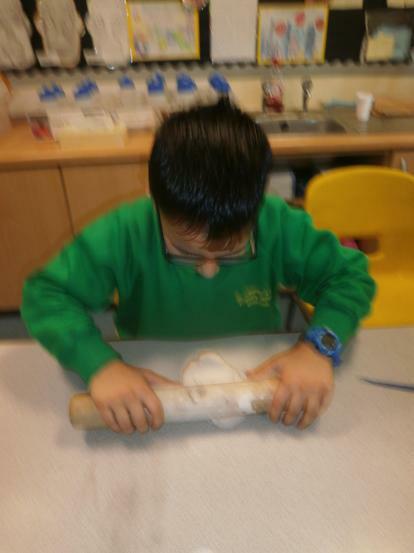 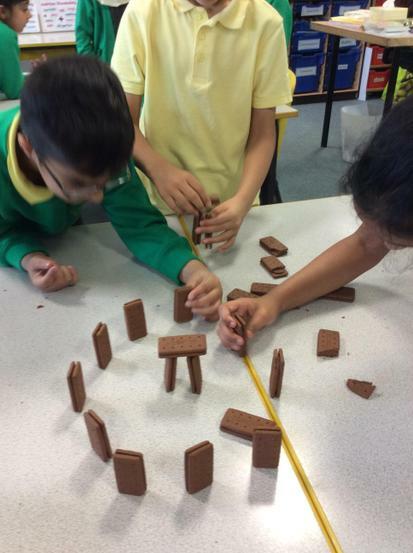 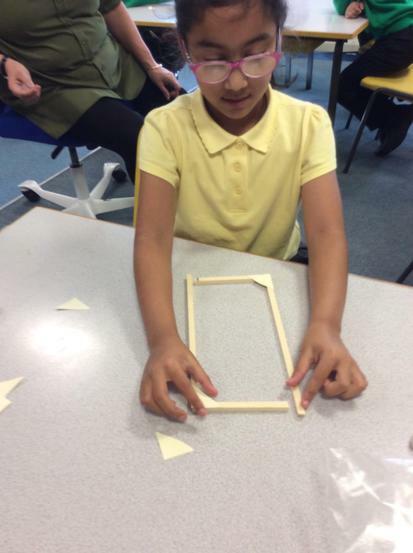 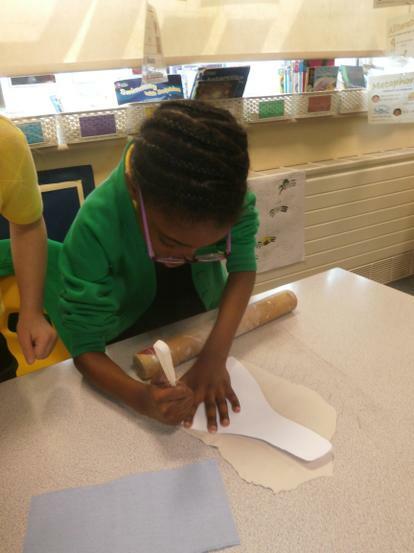 Stonehenge - the children learnt all about the mysterious stone structure, then had a go at making their own. 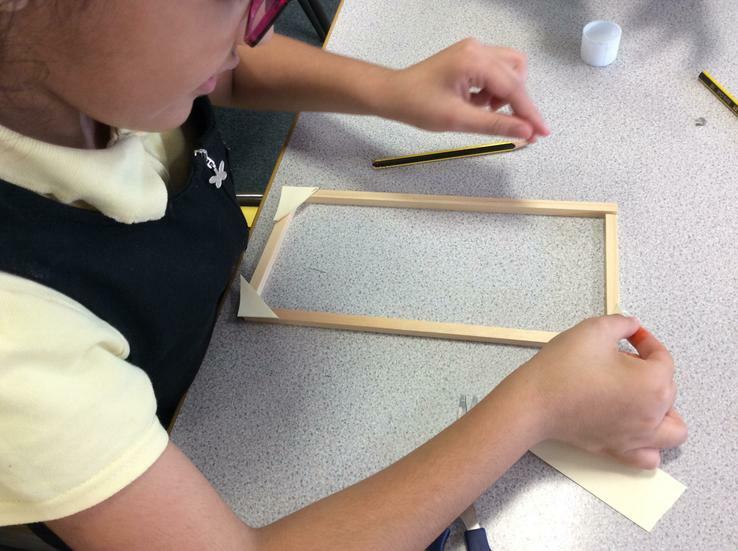 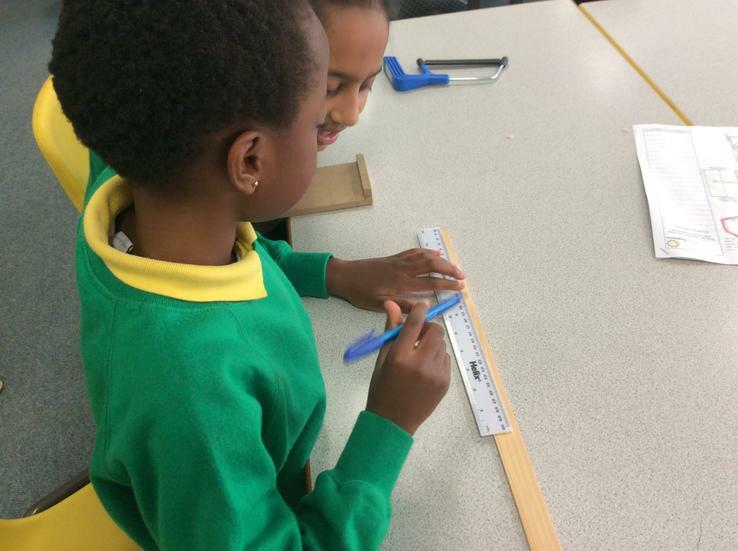 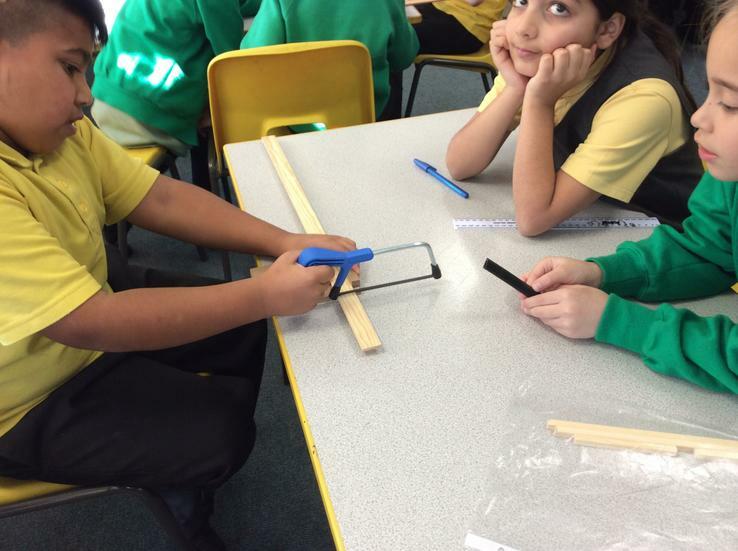 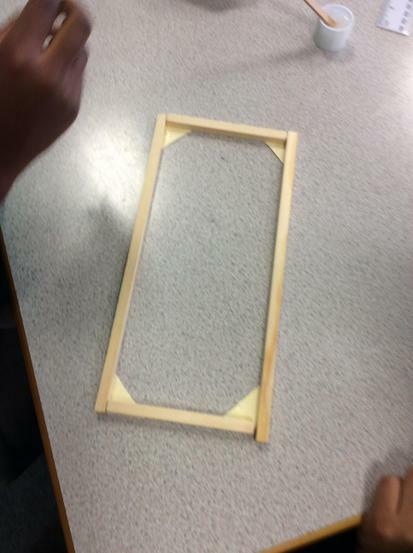 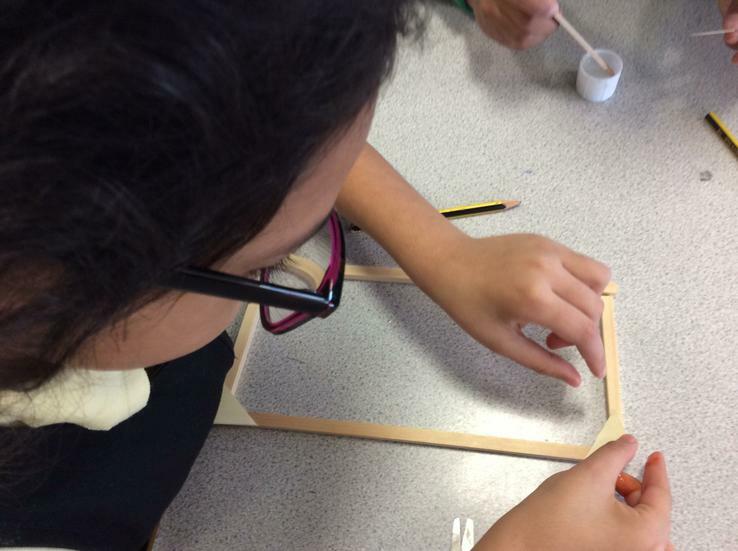 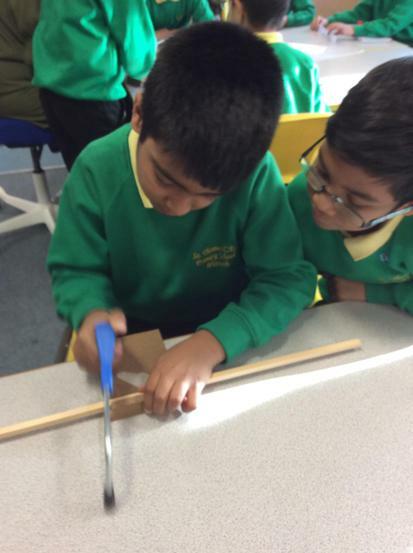 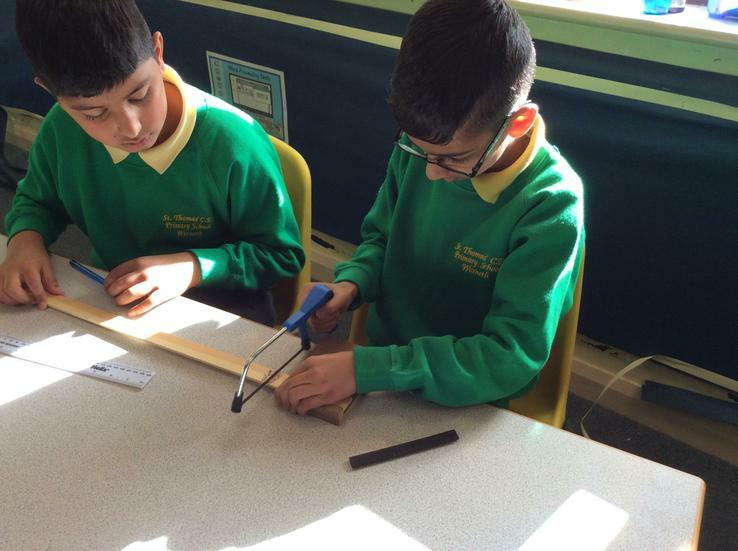 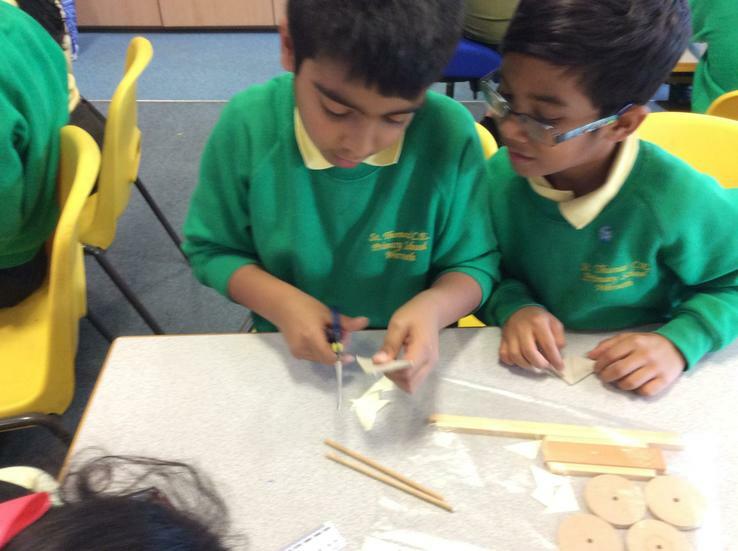 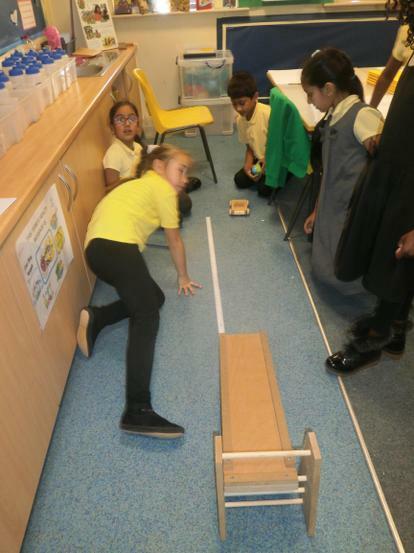 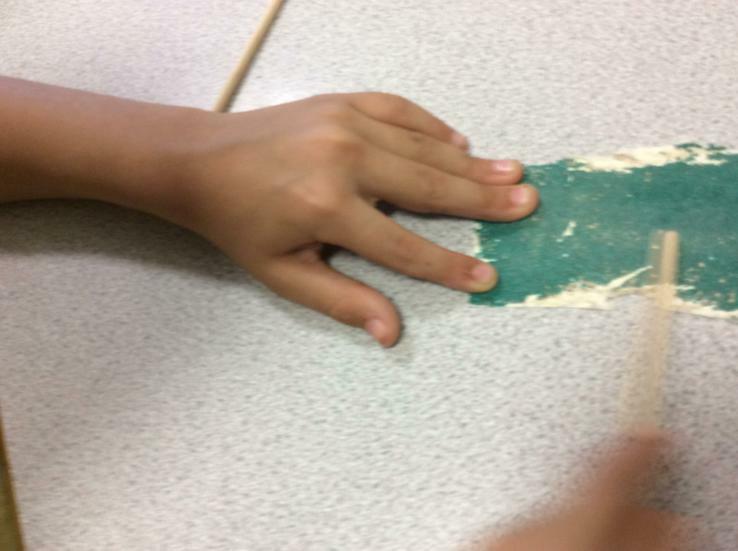 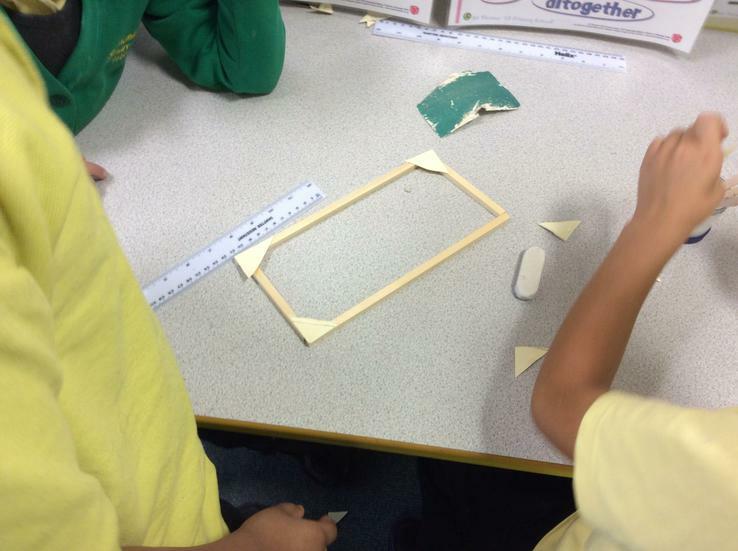 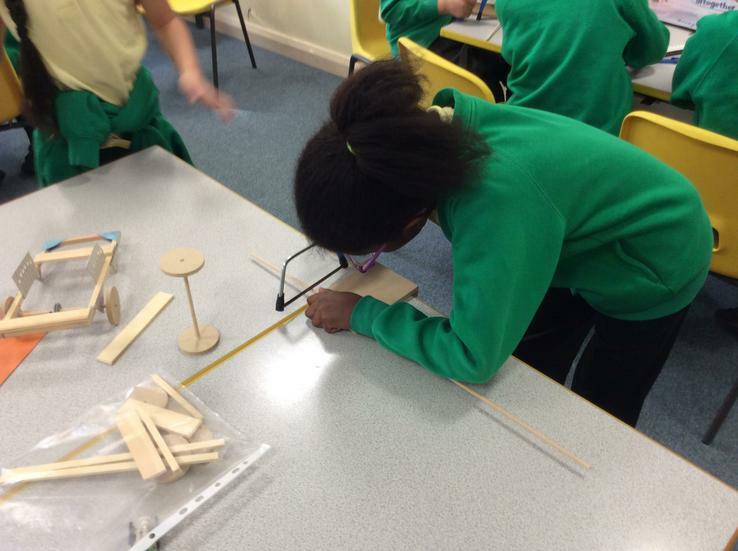 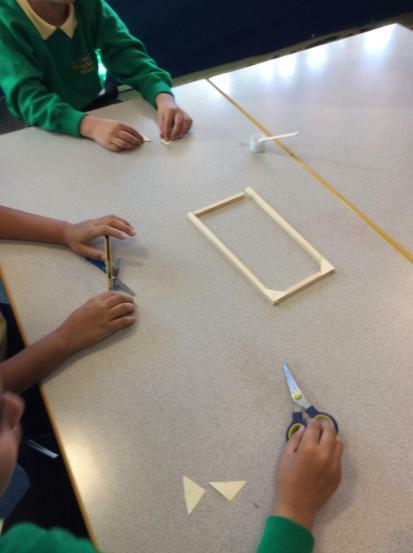 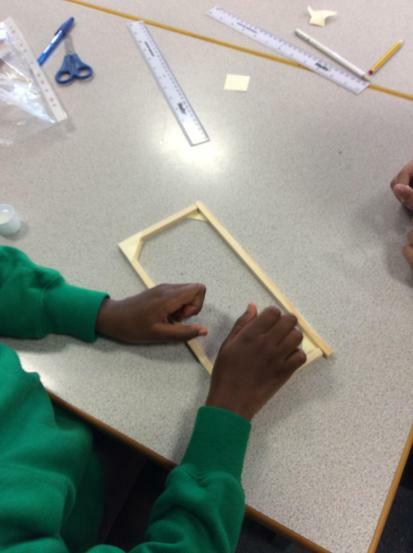 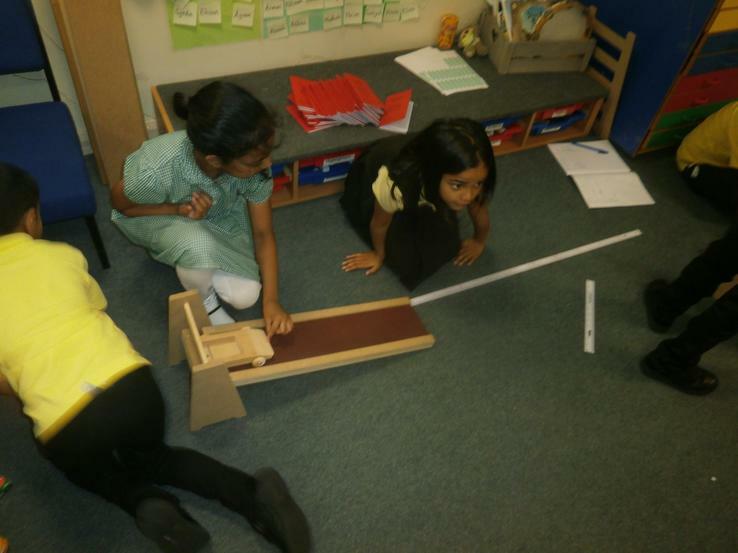 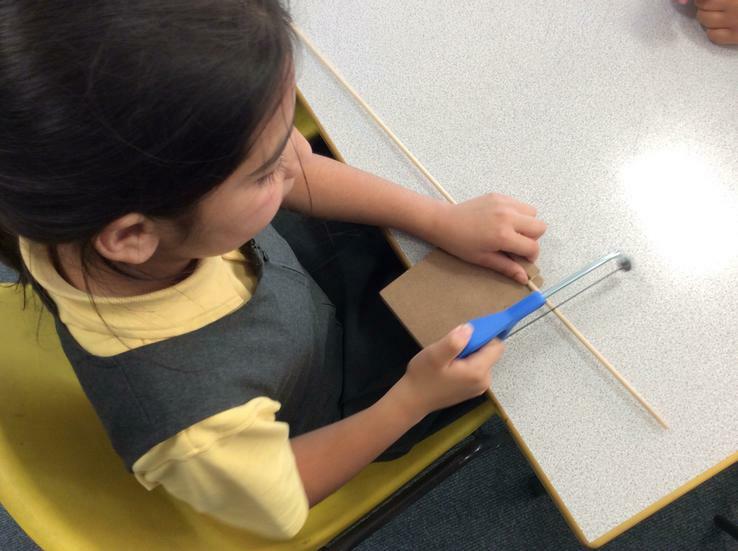 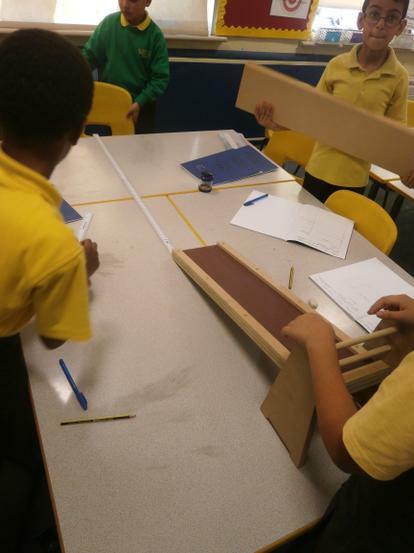 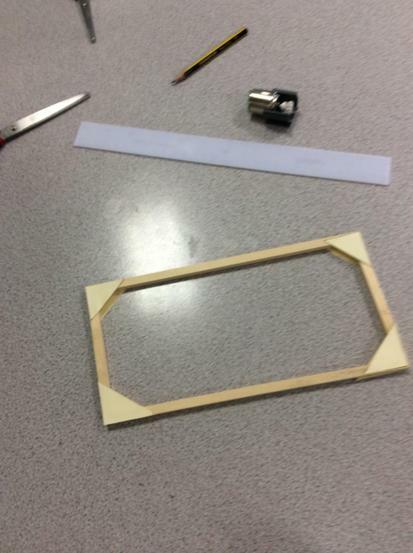 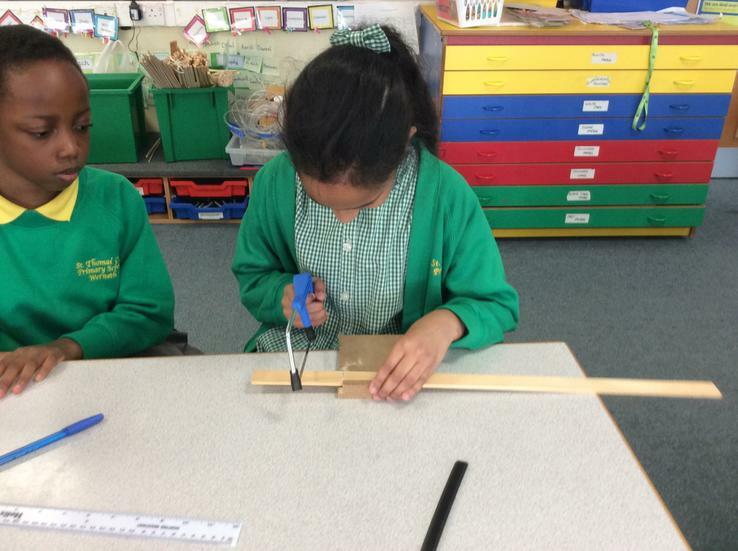 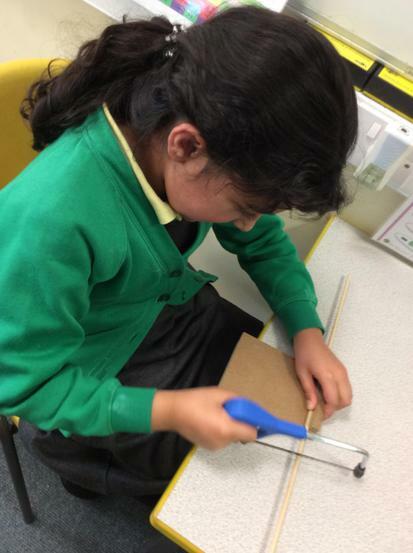 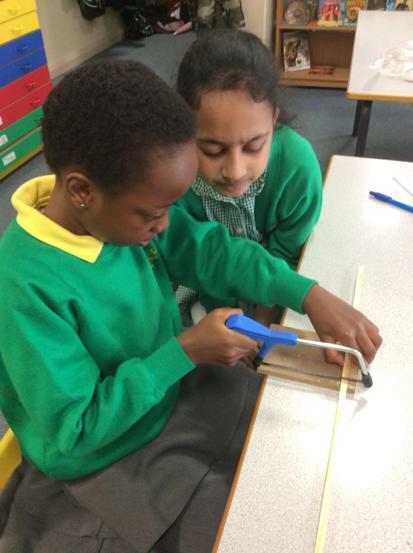 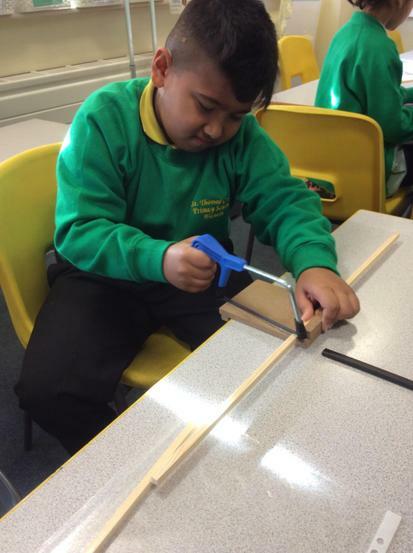 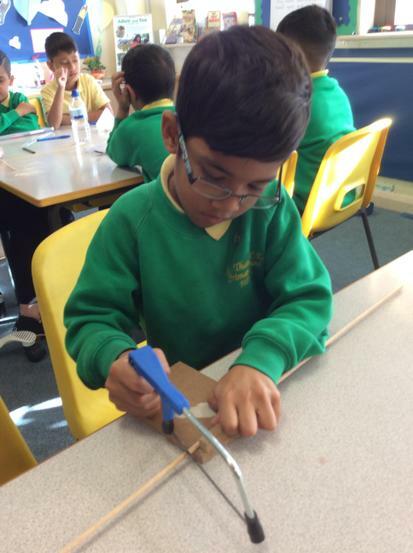 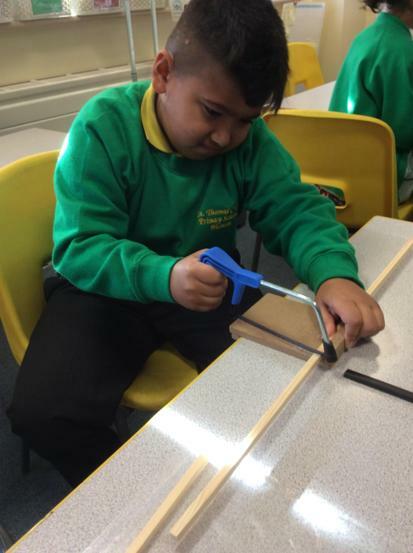 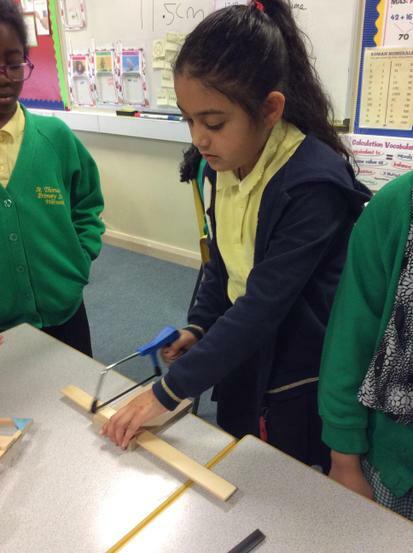 Design Technology - the pupils measured and cut various types of wood to create the chassis for the start of their car. 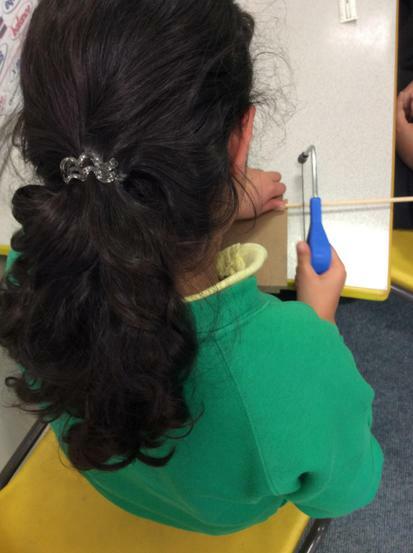 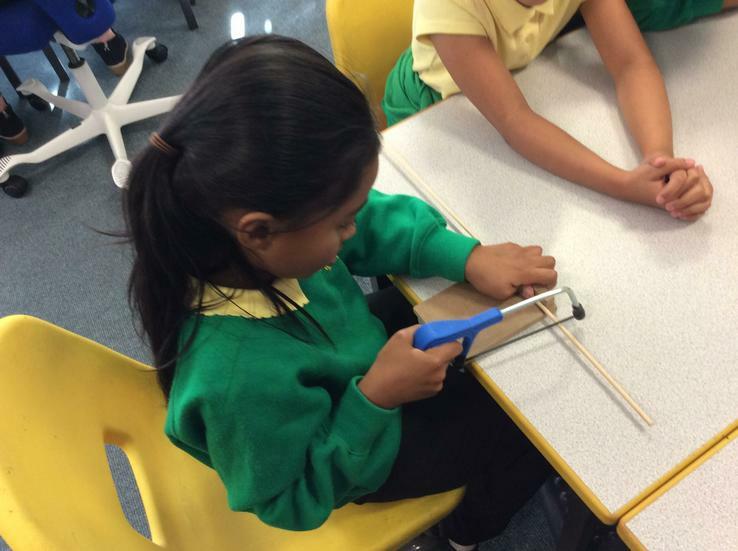 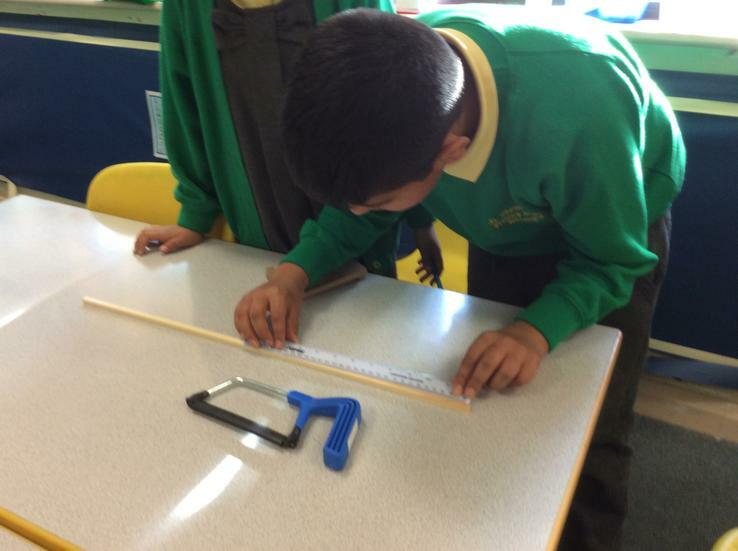 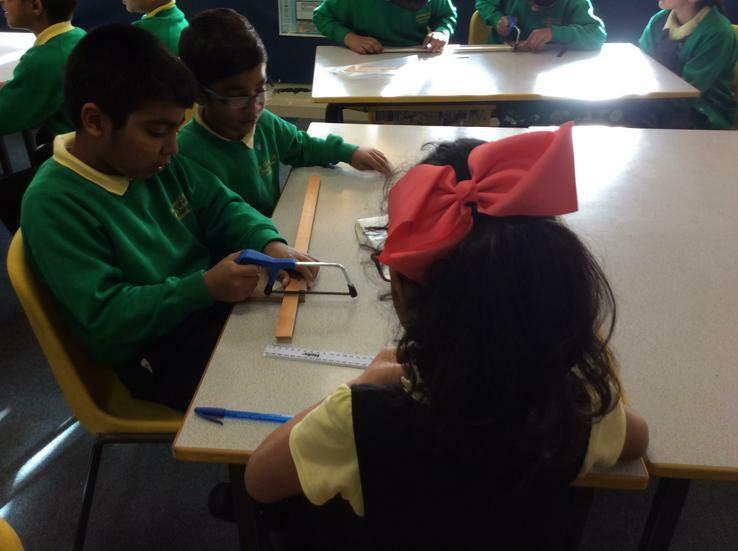 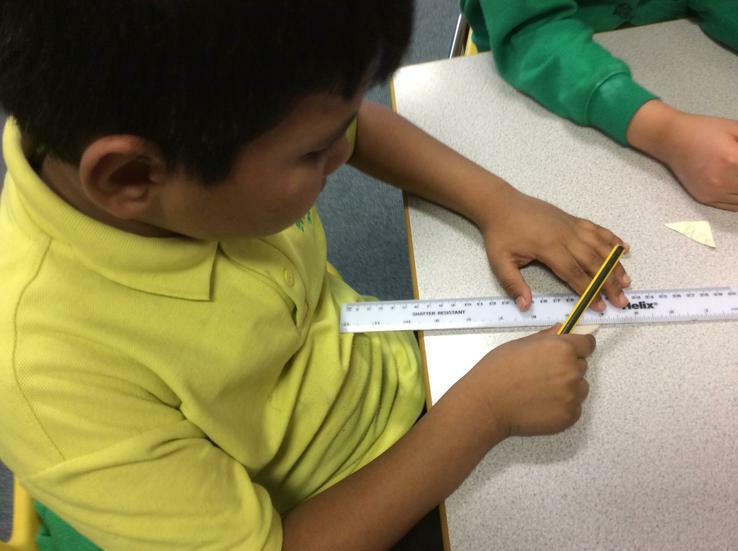 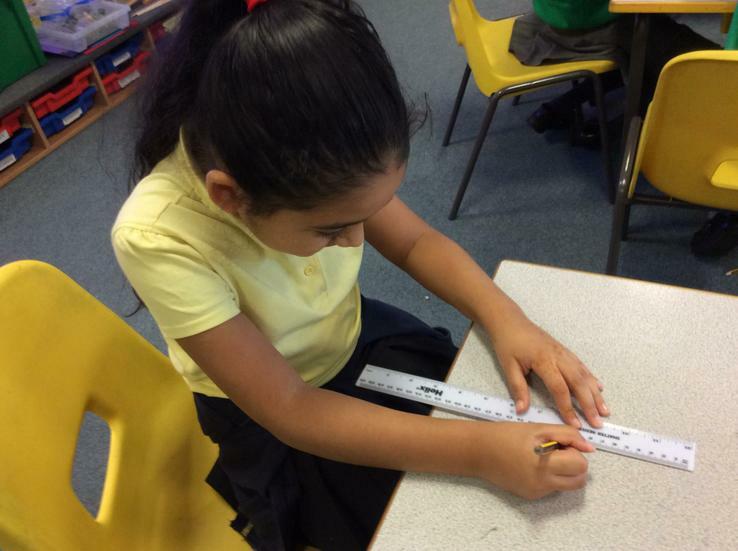 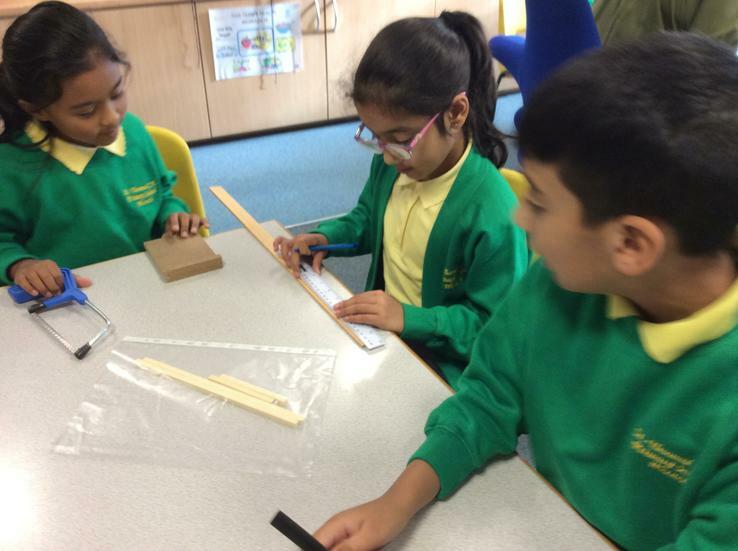 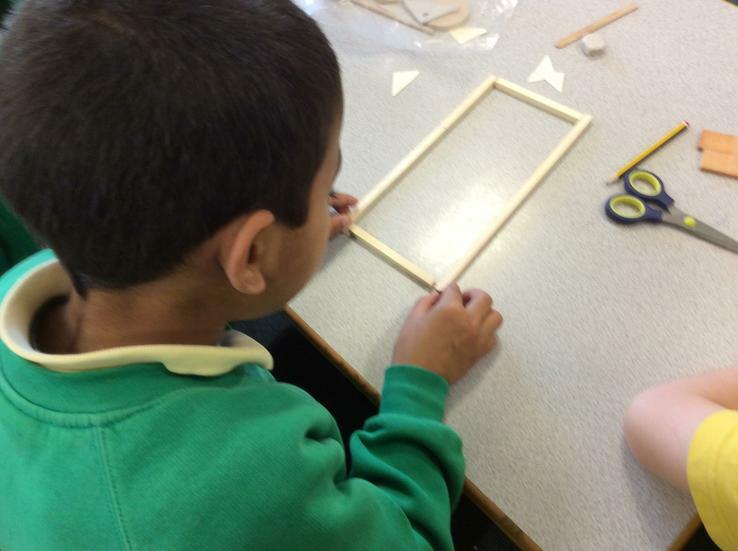 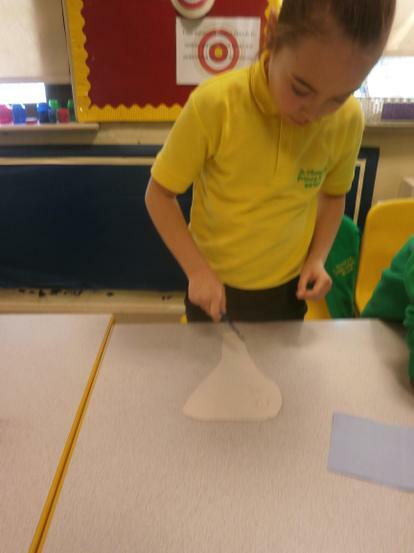 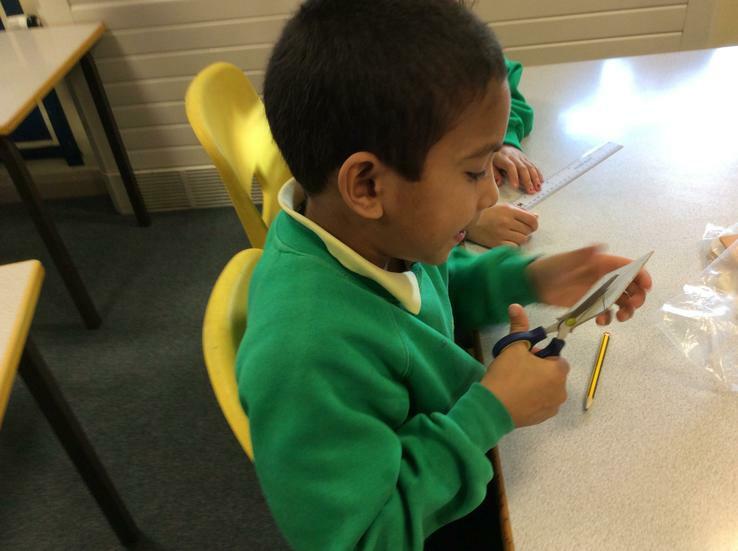 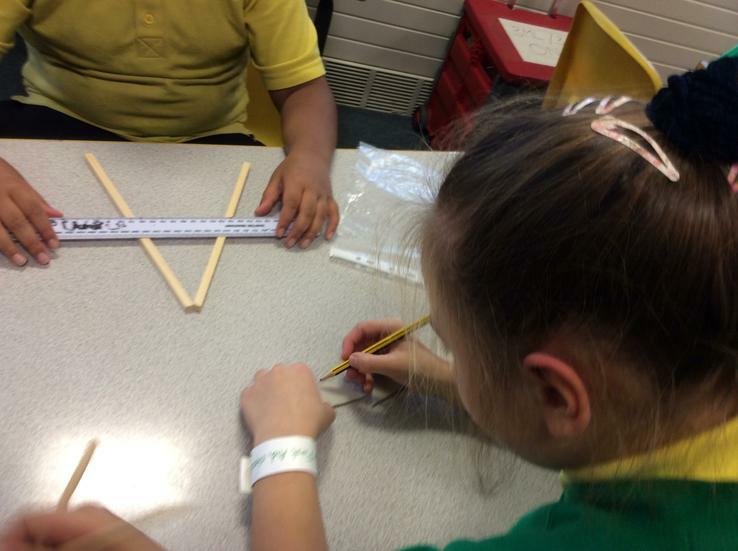 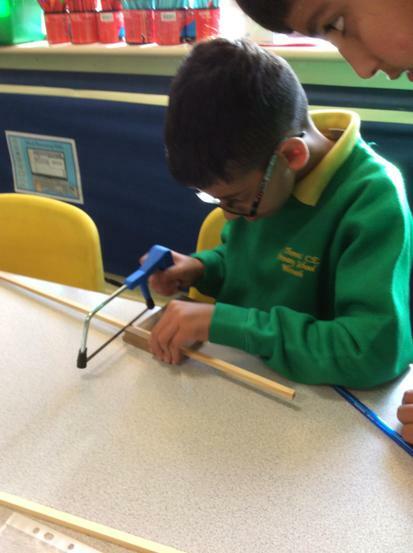 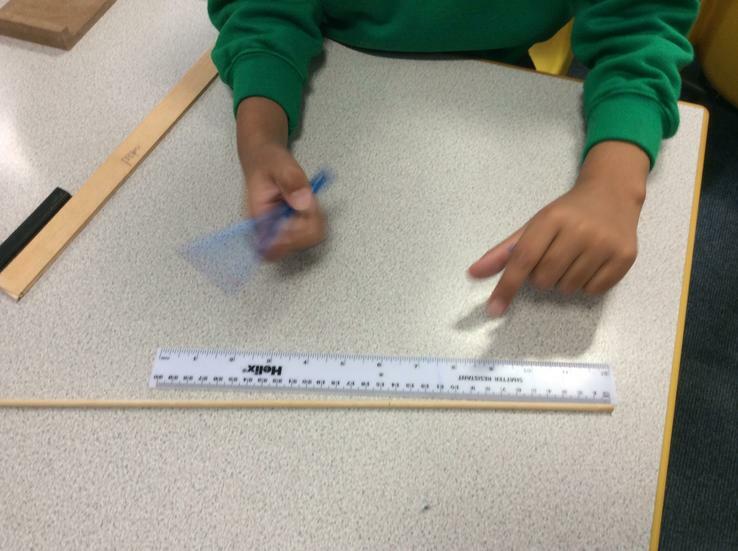 All children were very safe and really enjoyed using a variety of tools.